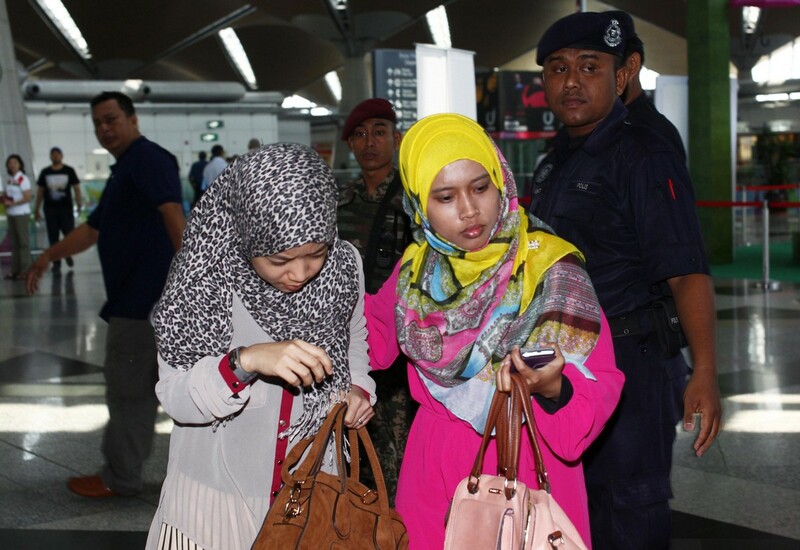 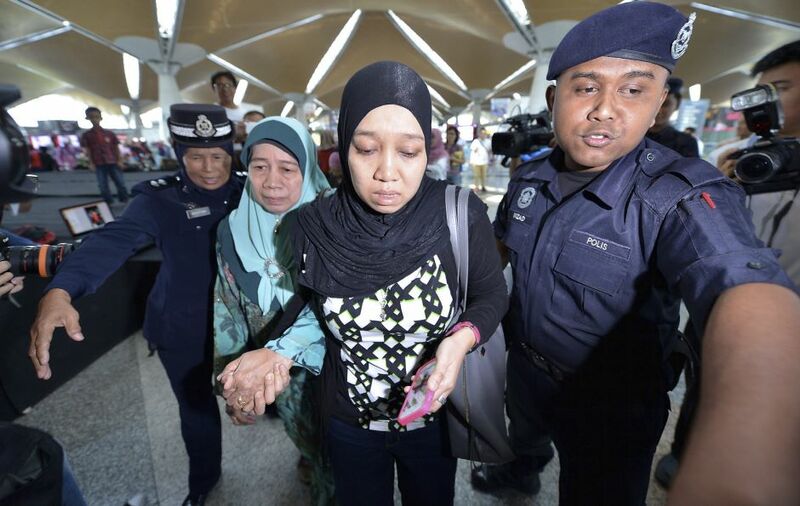 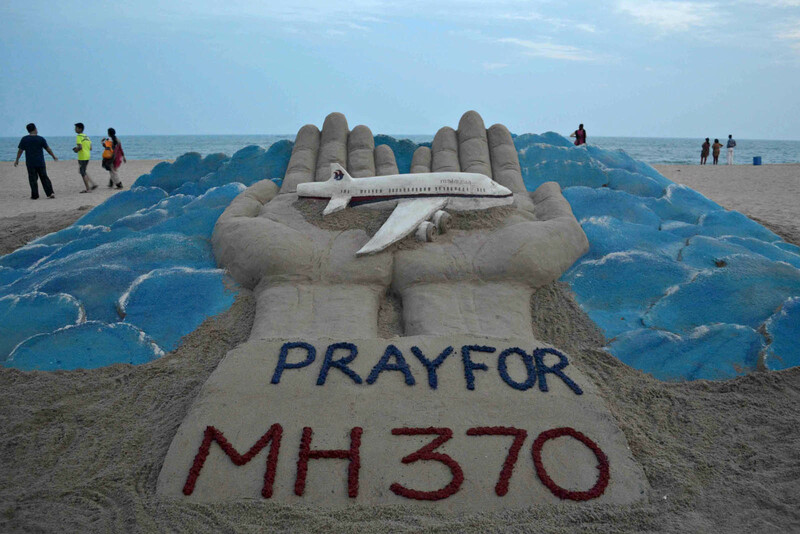 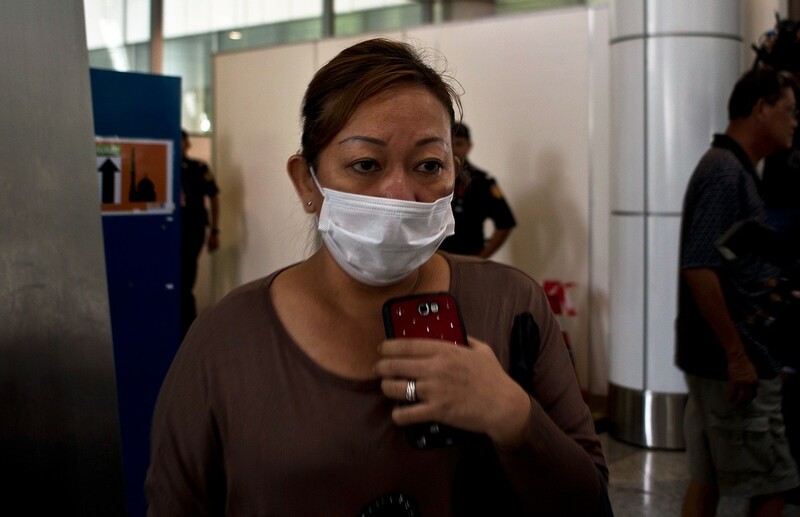 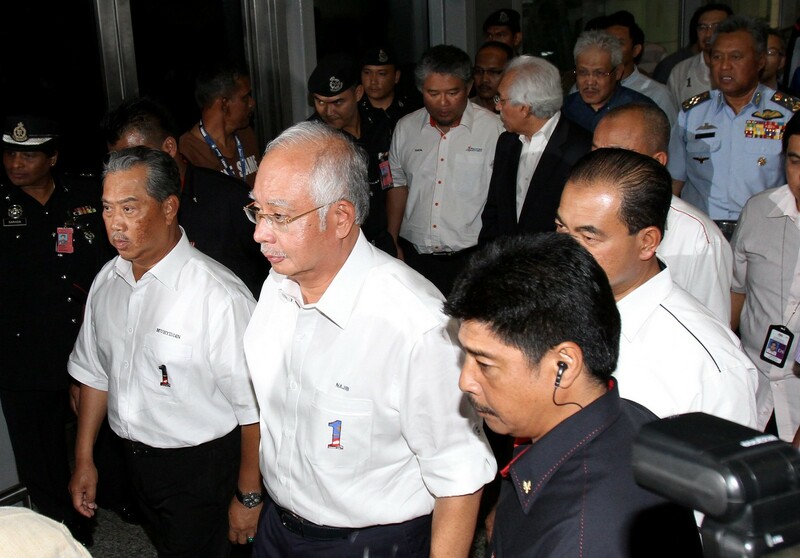 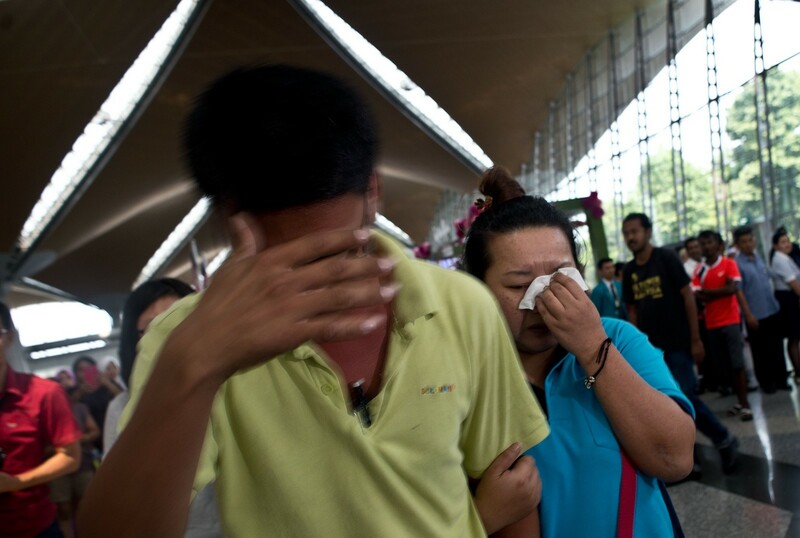 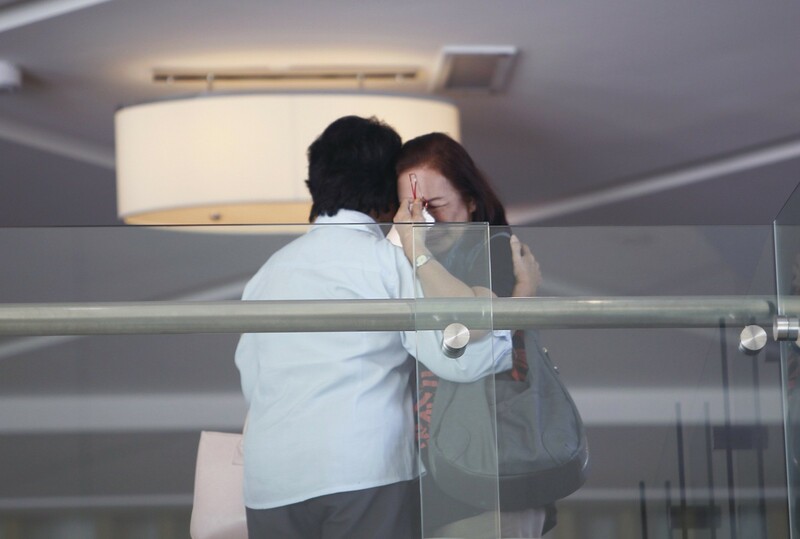 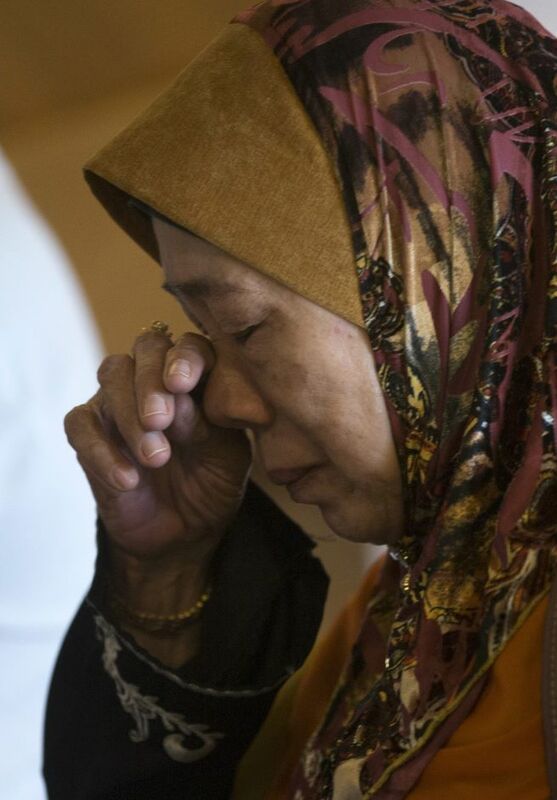 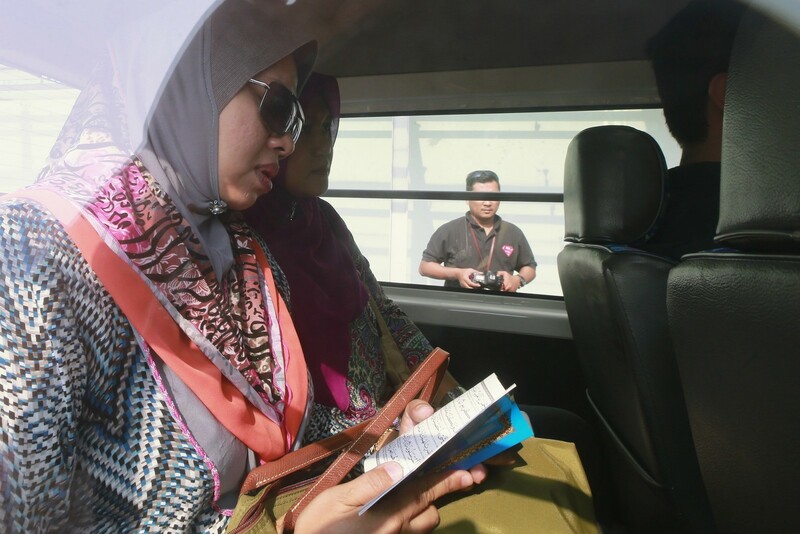 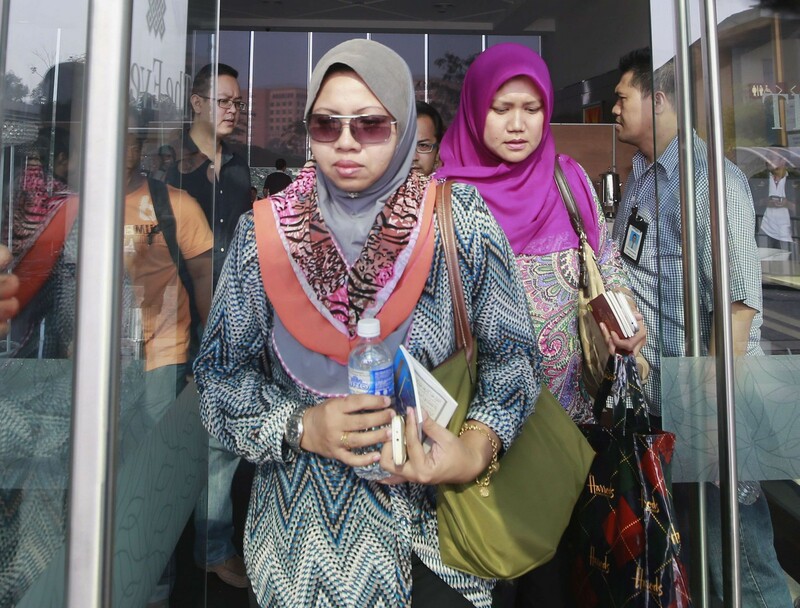 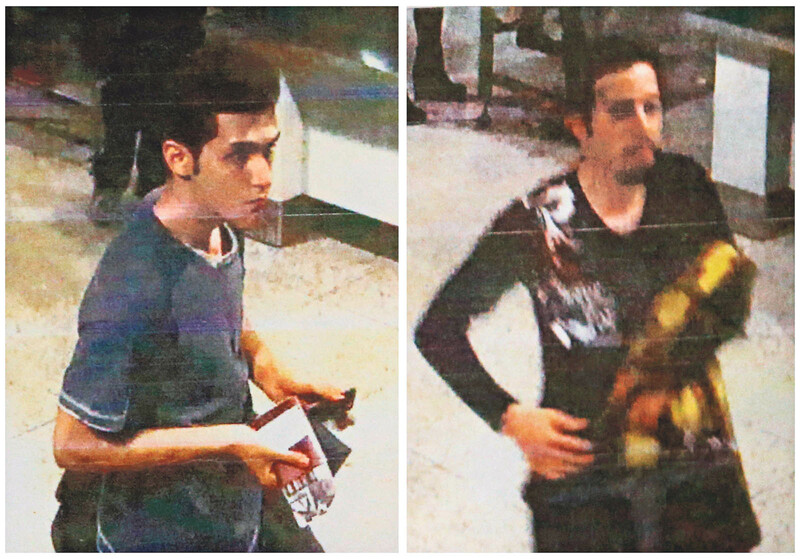 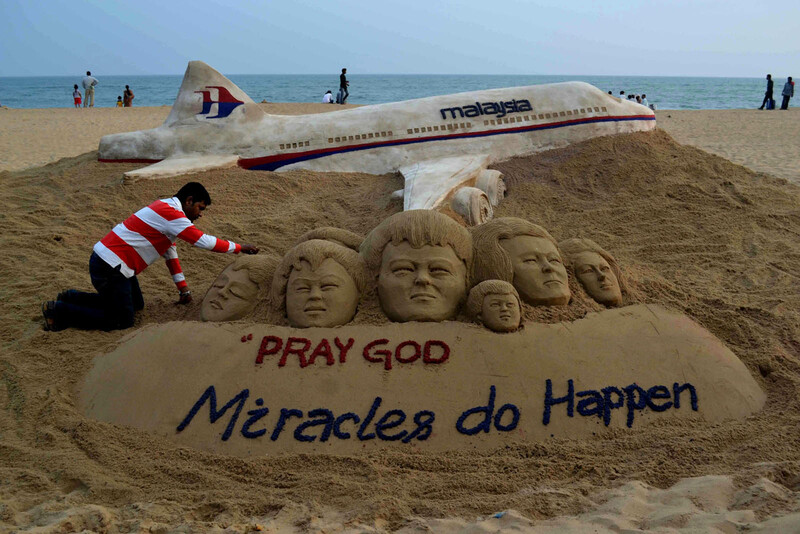 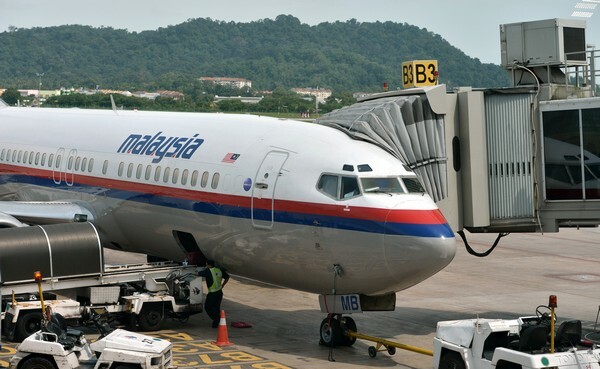 SEPANG - The authorities dismissed several news reports, including one alleging that Malaysia Airlines flight MH370 was hijacked by terrorists. 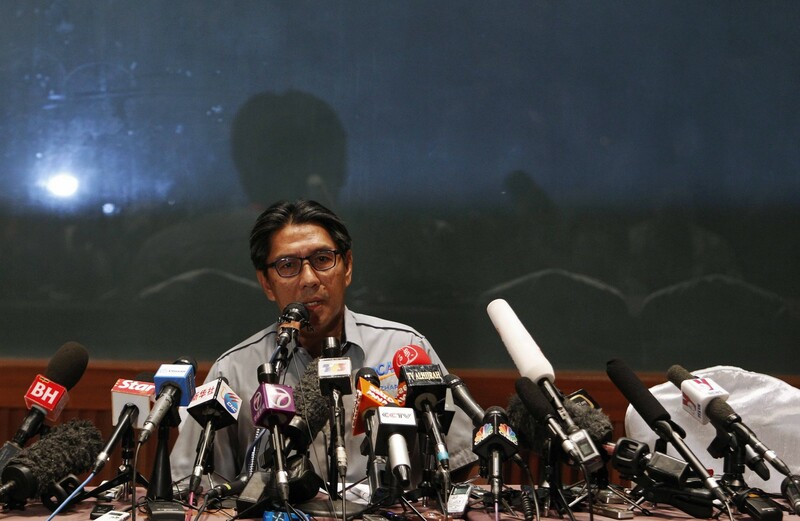 Acting Transport Minister Datuk Seri Hishammuddin Tun Hussein said there was no truth to such reports. 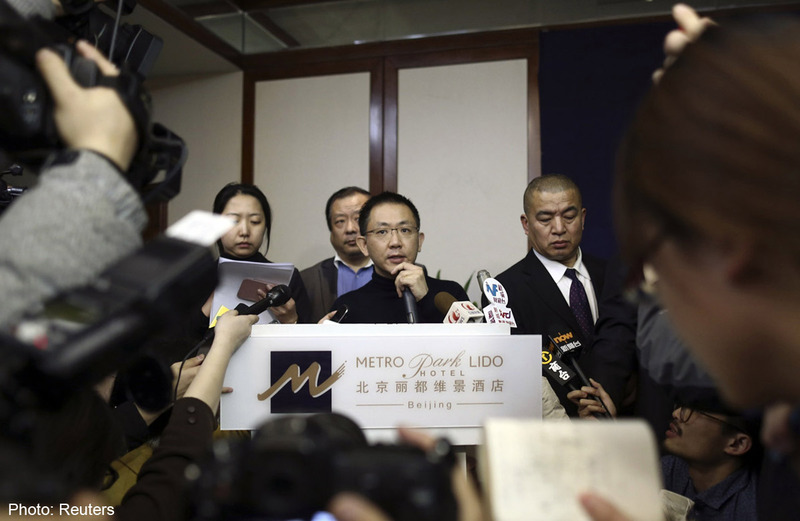 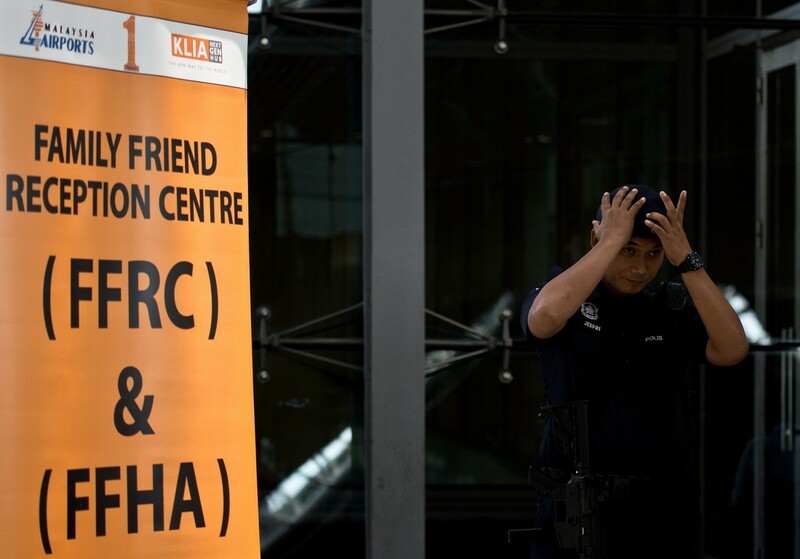 "Such unverified reports and rumours will disrupt our search and rescue operation," he told a press conference yesterday. 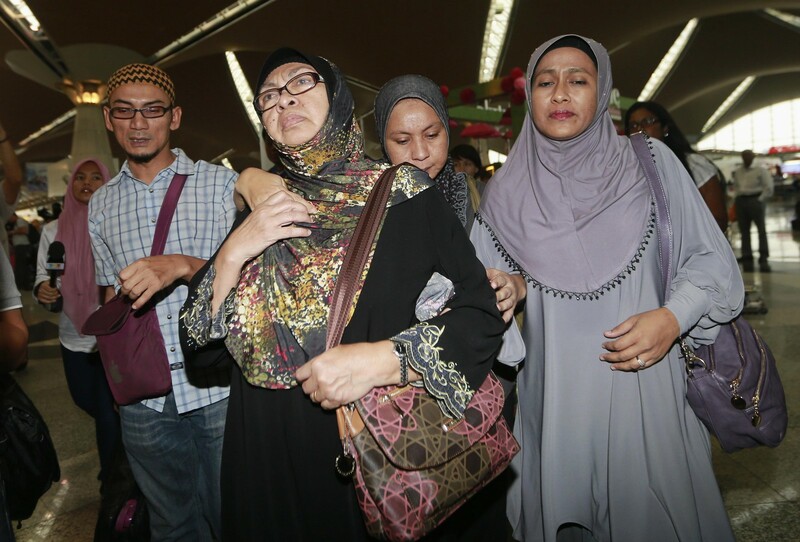 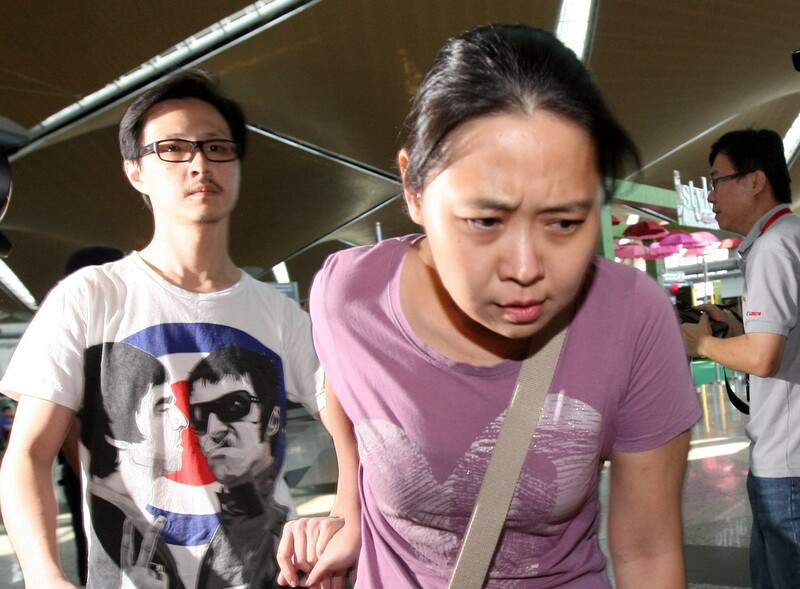 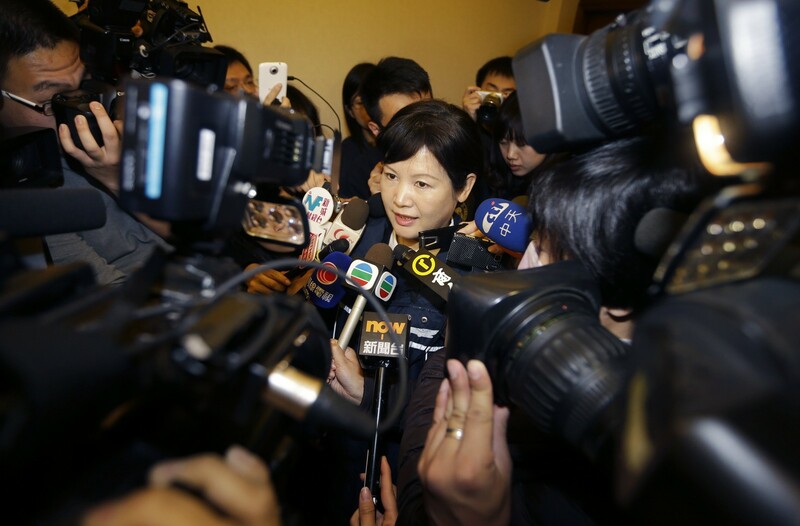 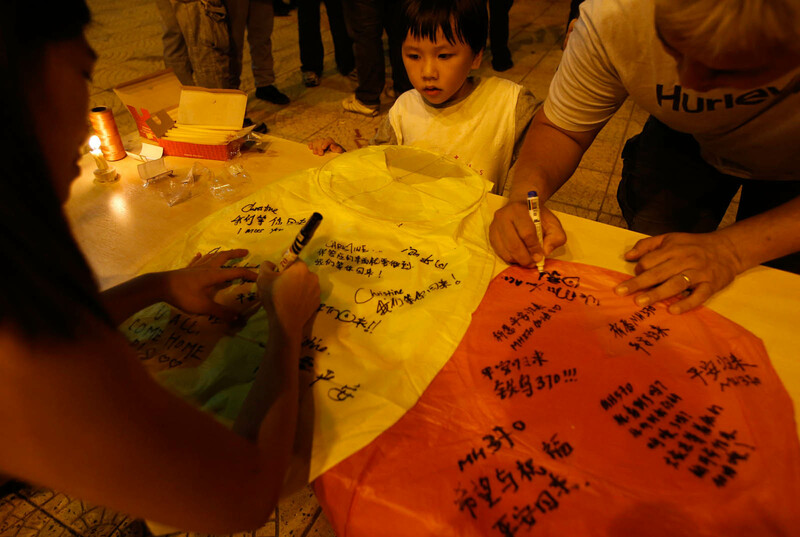 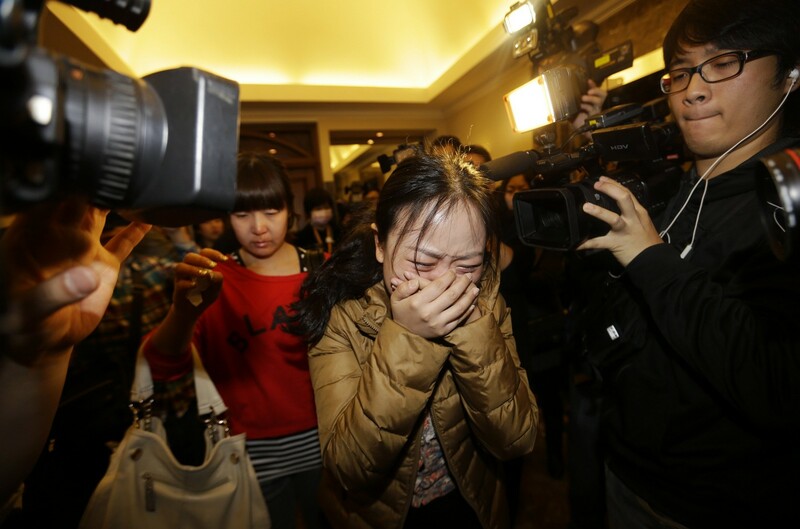 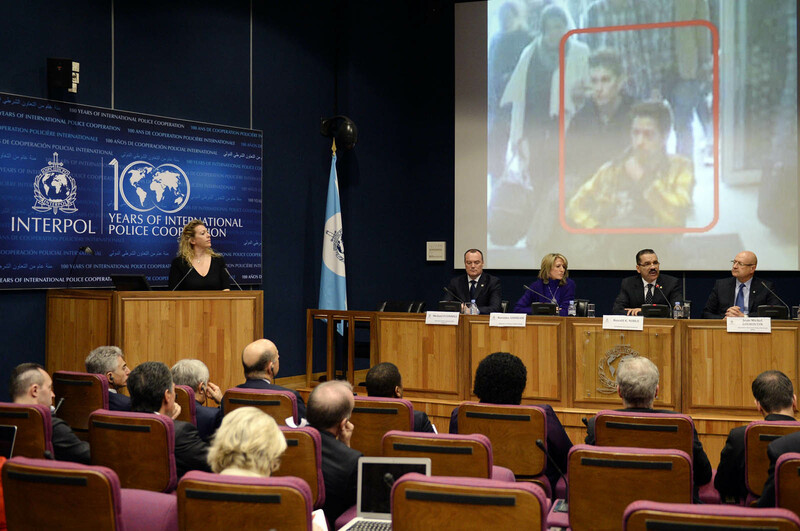 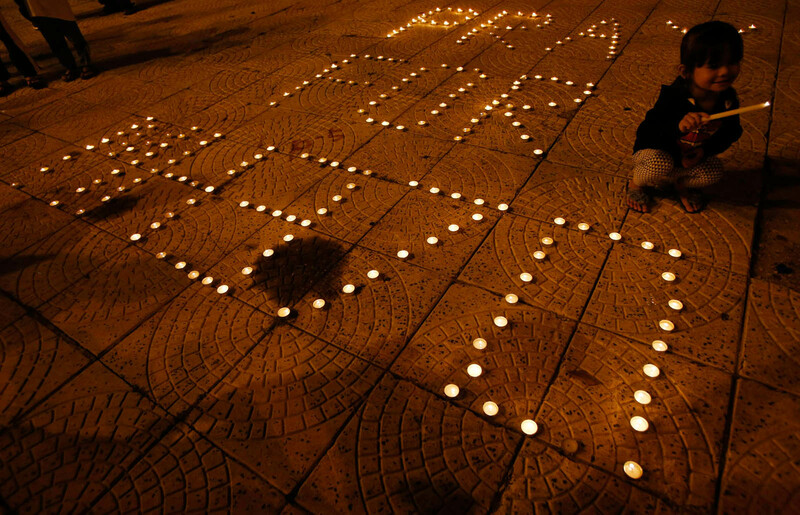 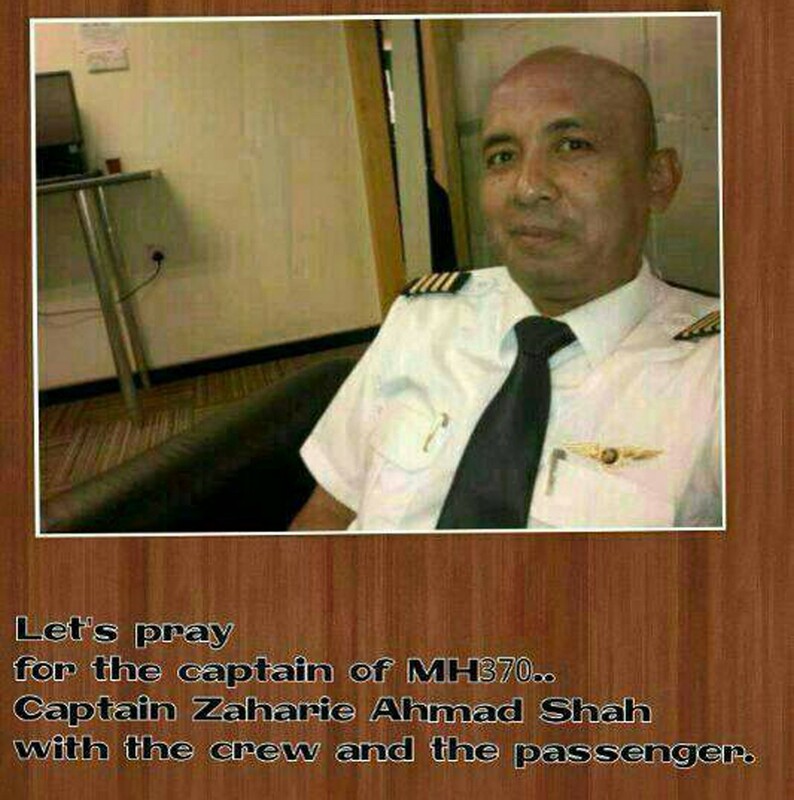 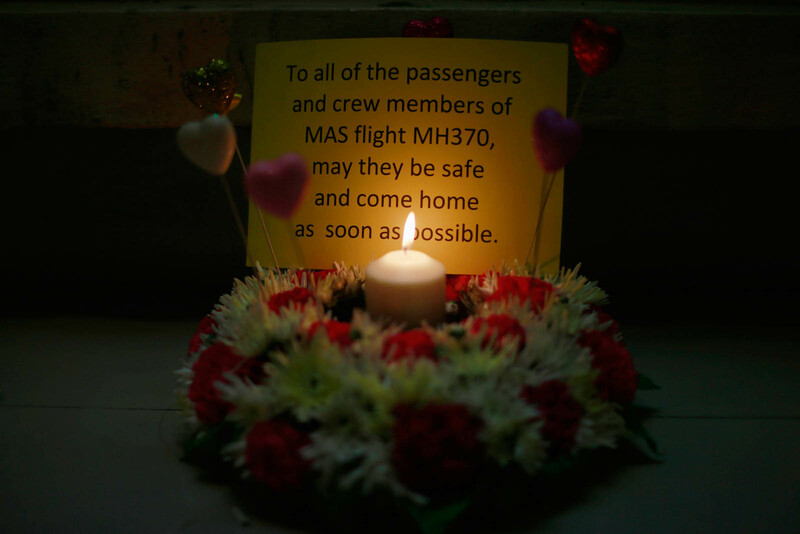 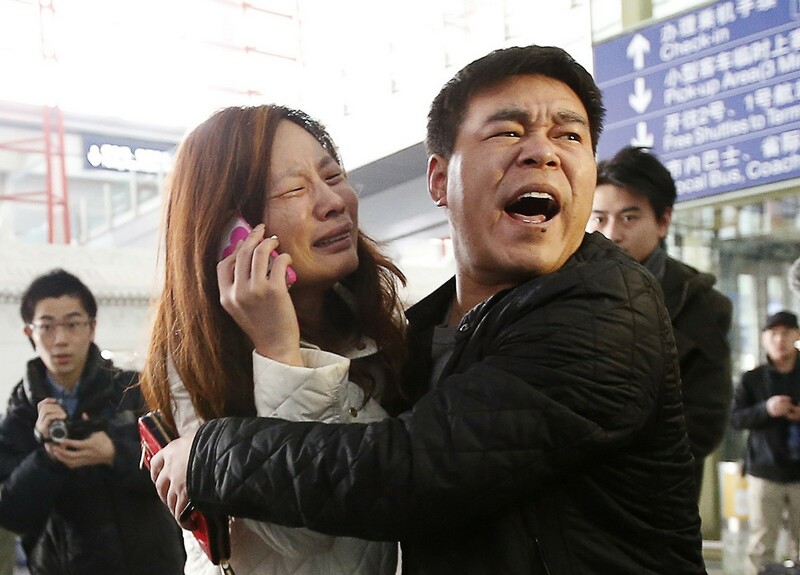 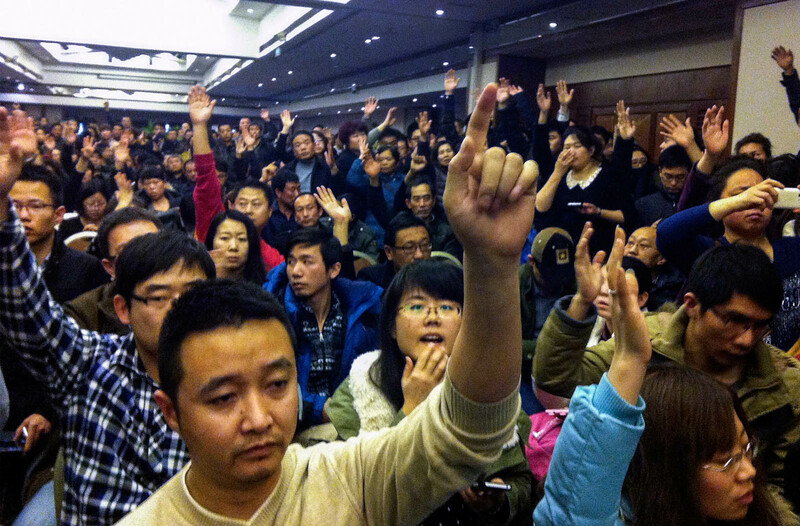 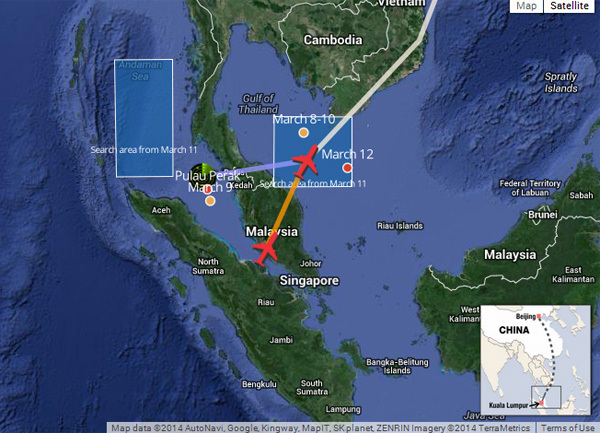 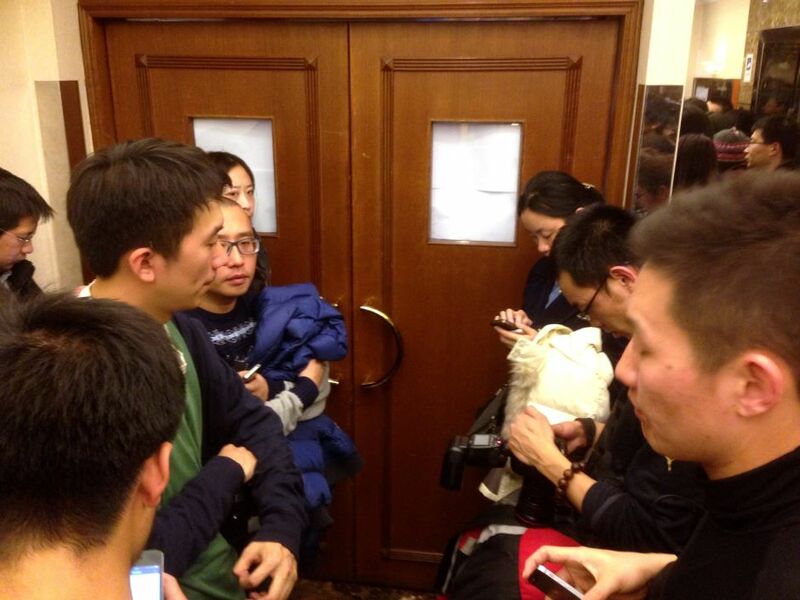 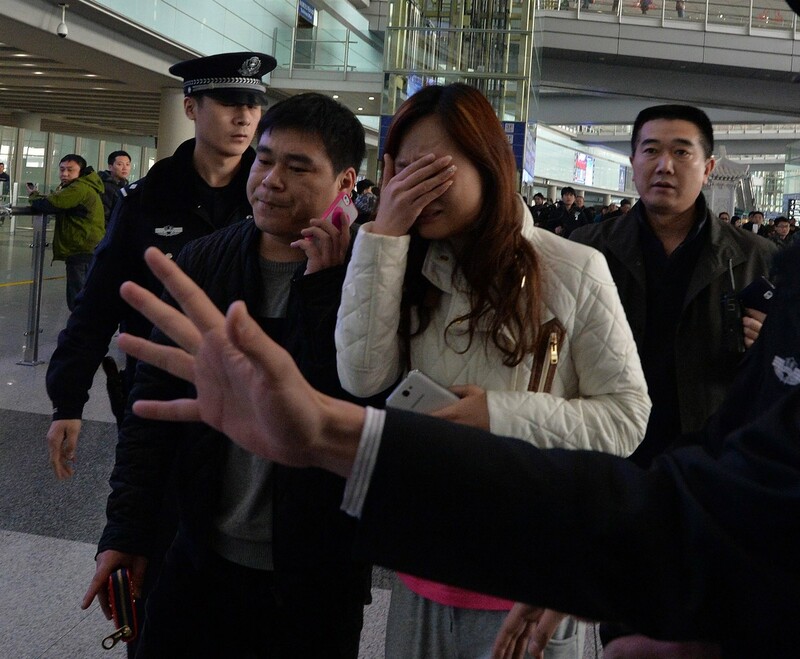 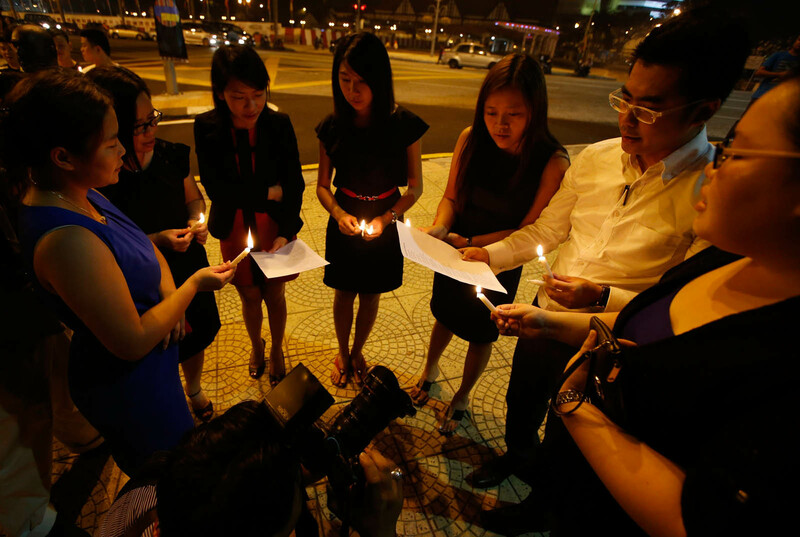 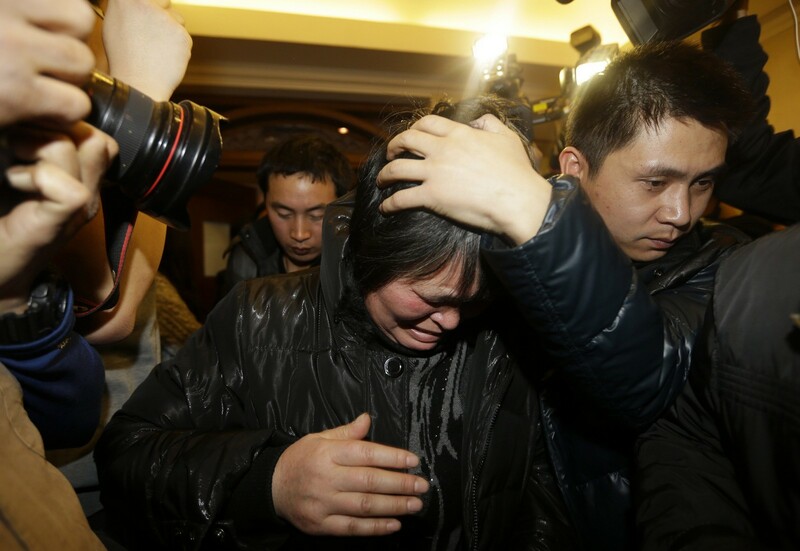 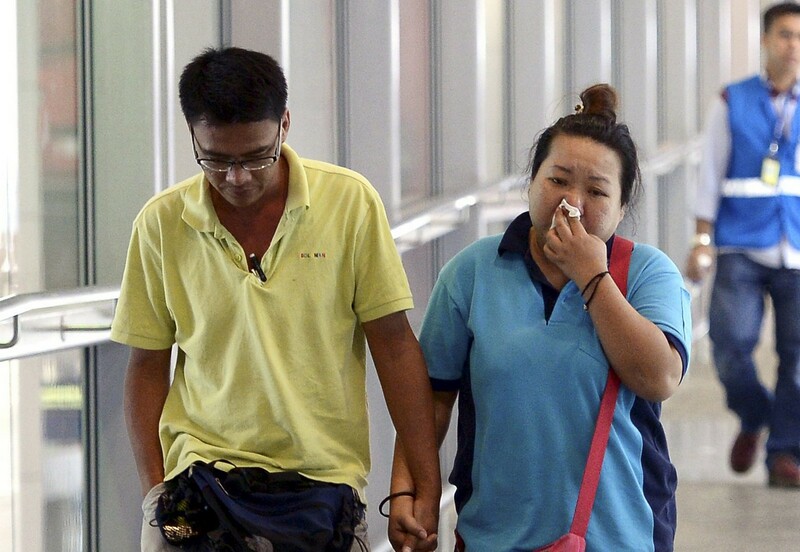 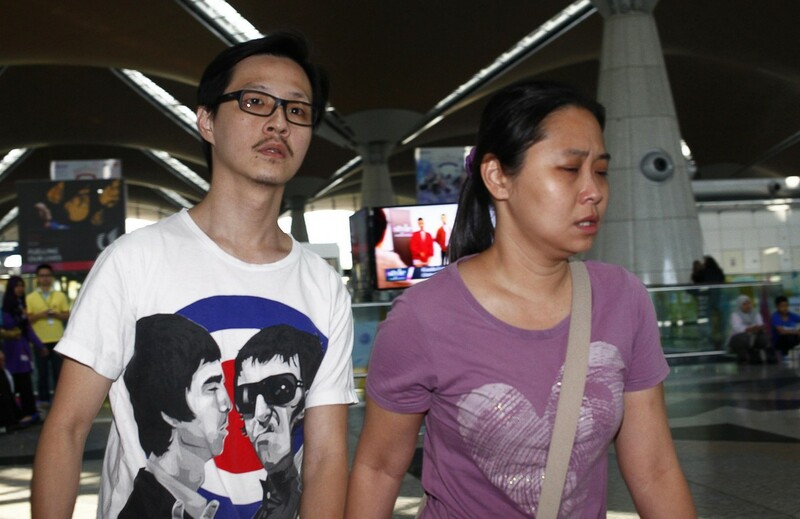 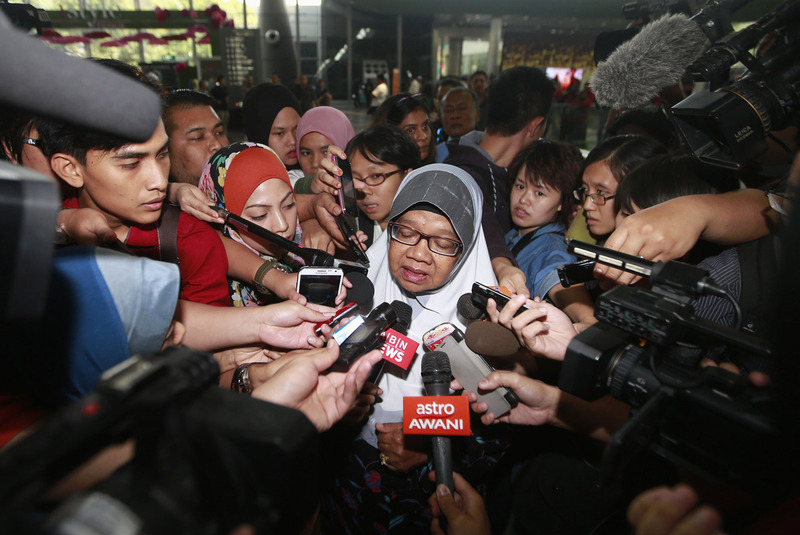 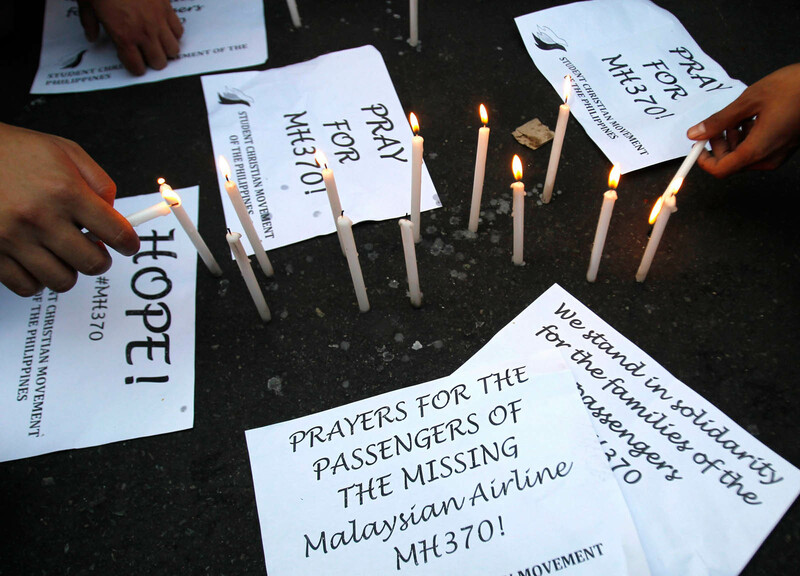 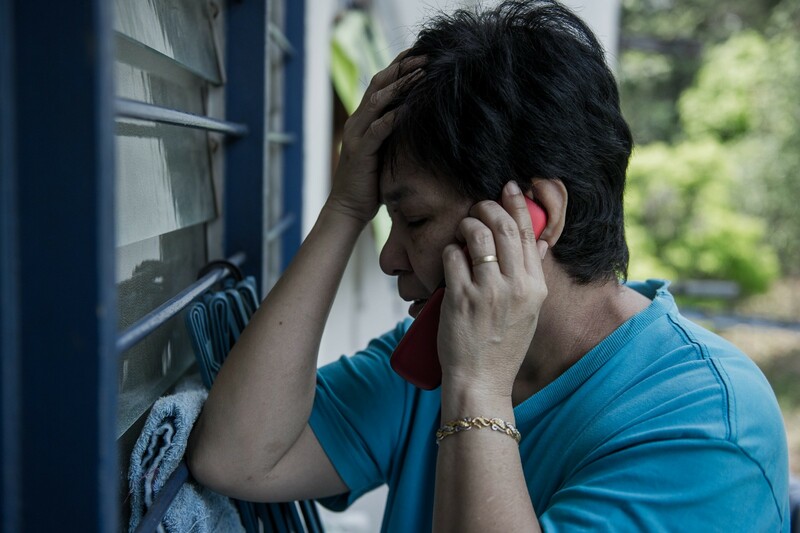 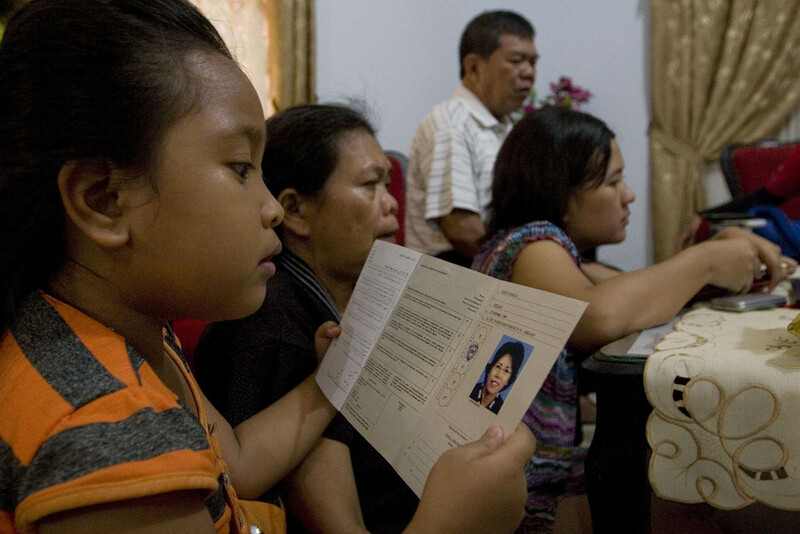 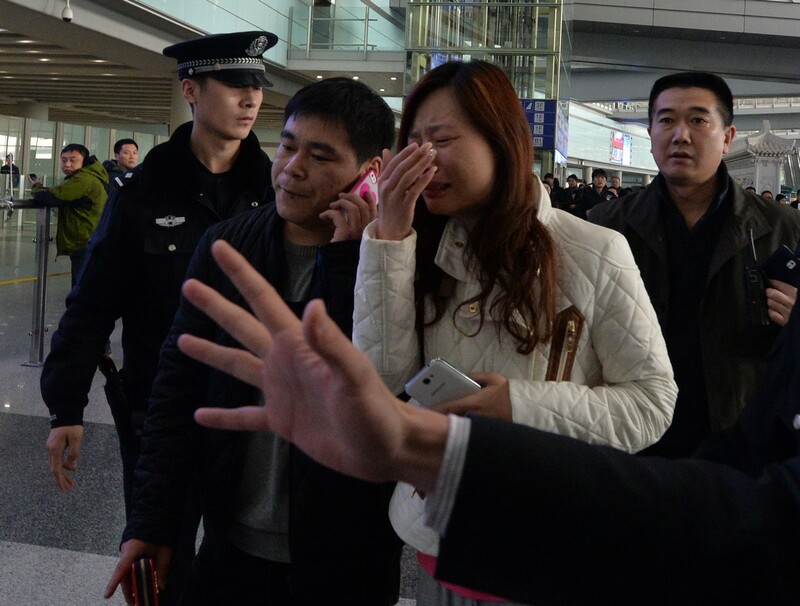 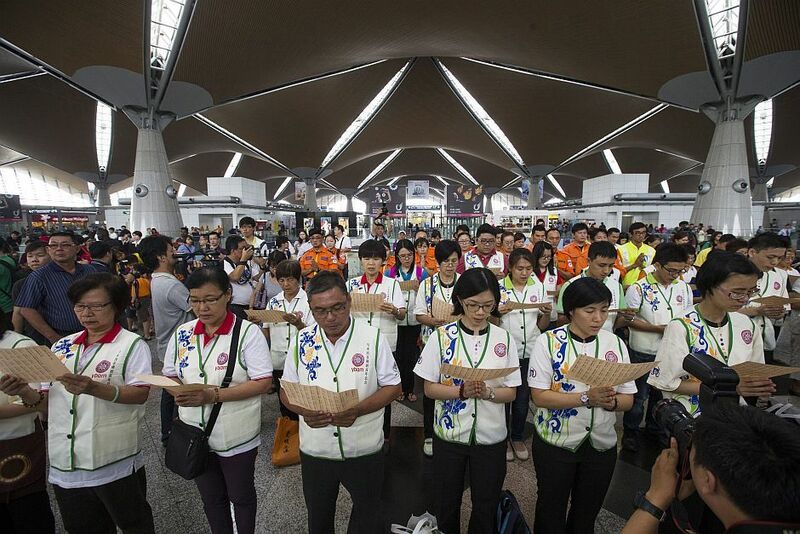 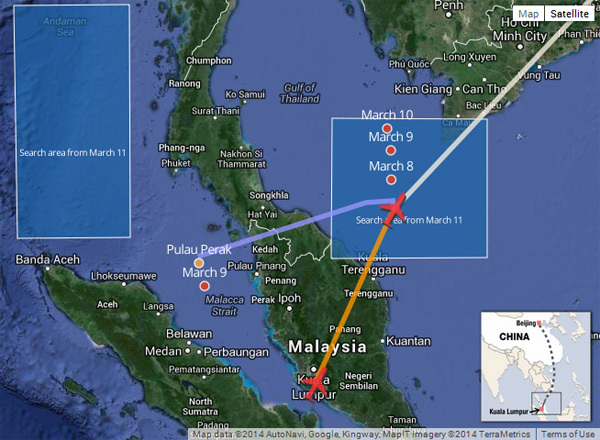 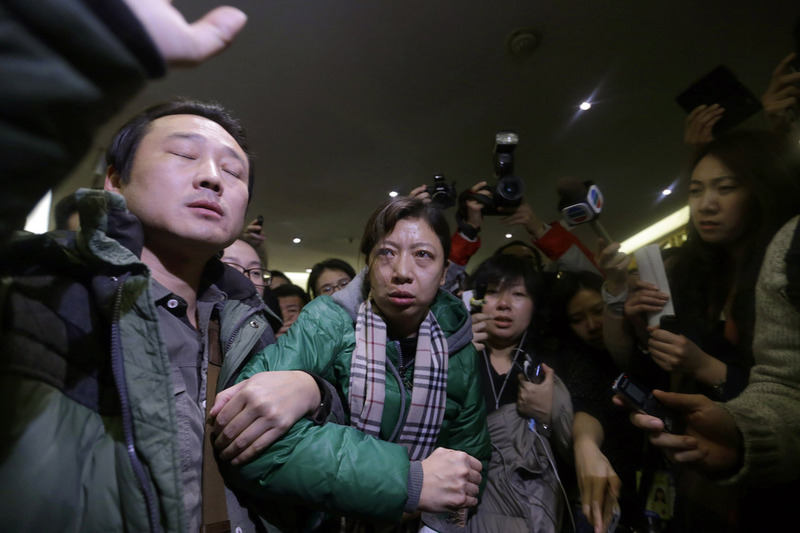 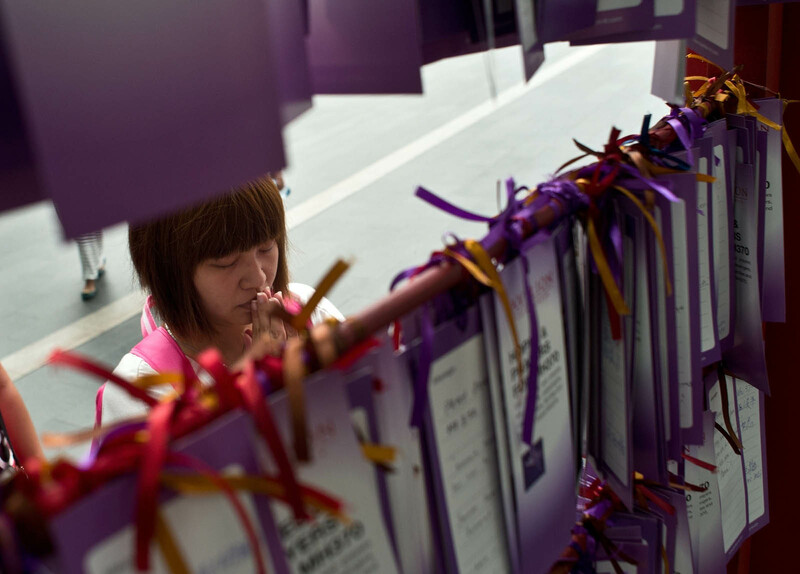 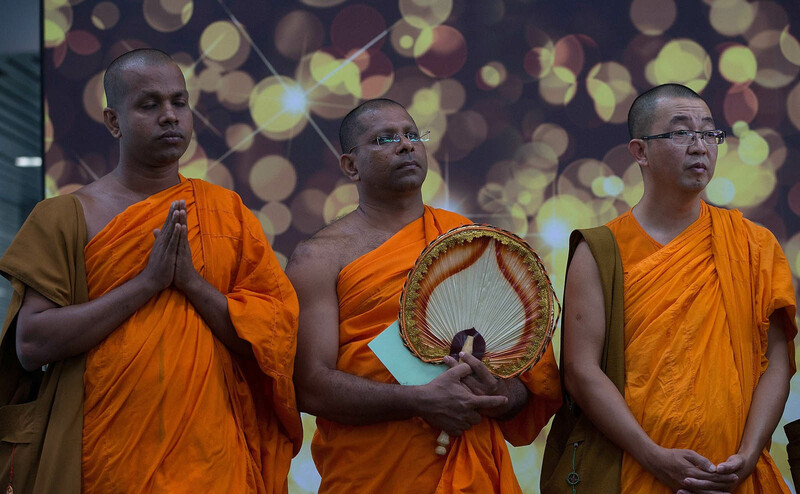 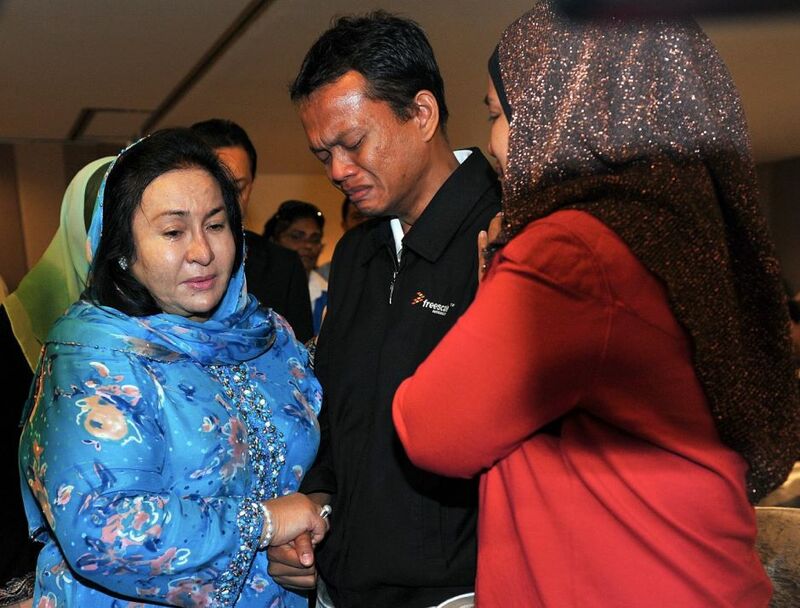 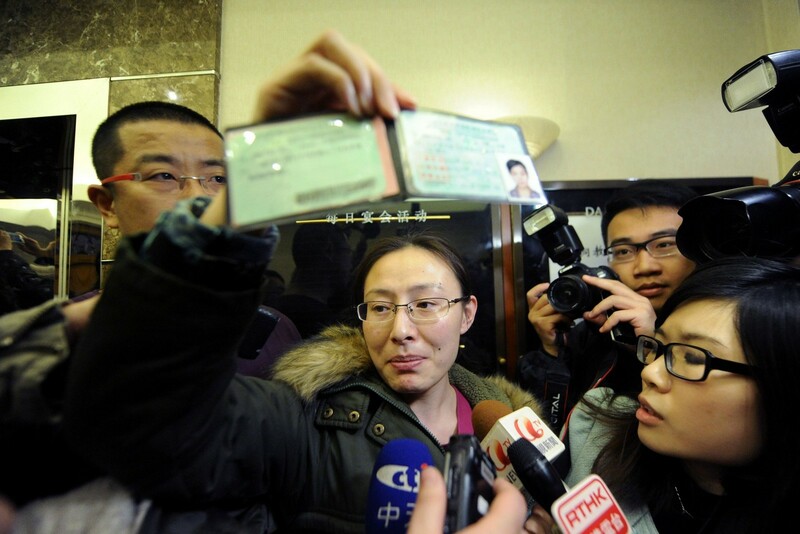 "Irresponsible acts such as these will affect the families (of MH370's passengers and crew) as well." 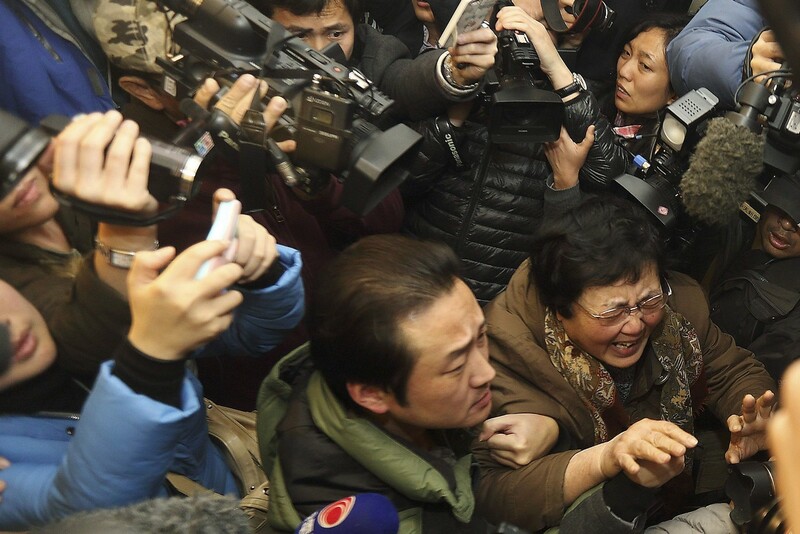 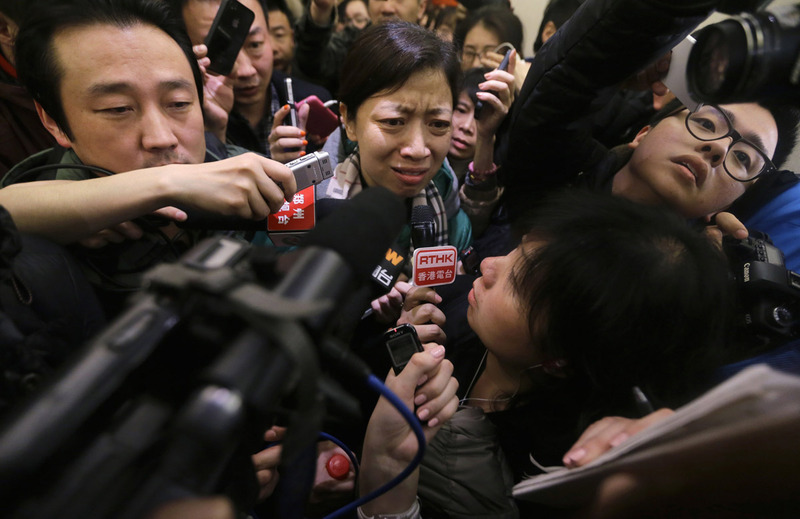 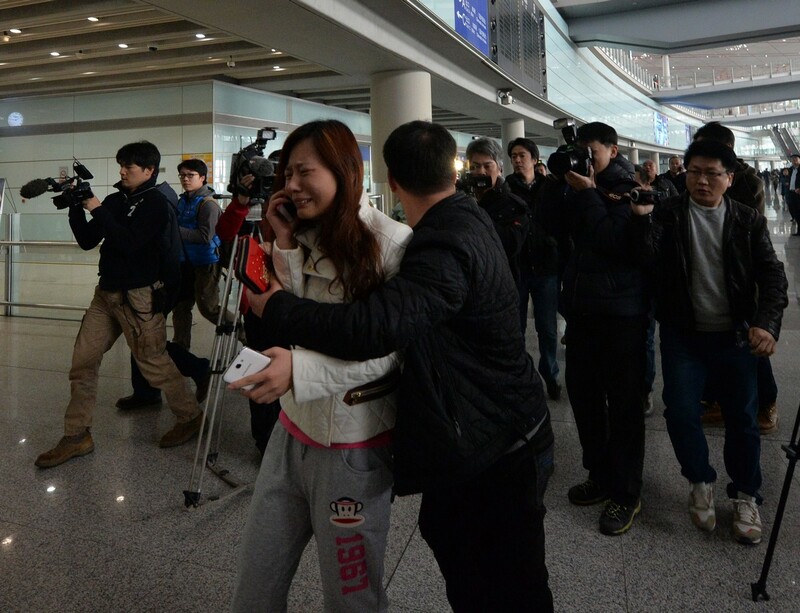 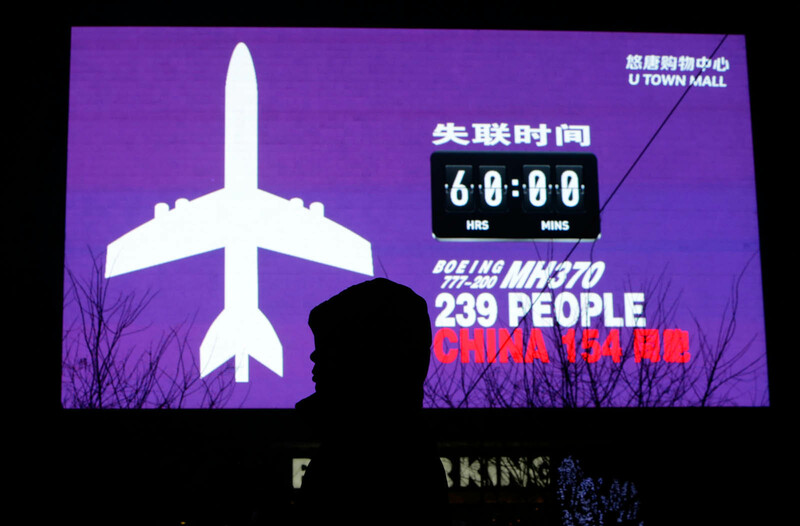 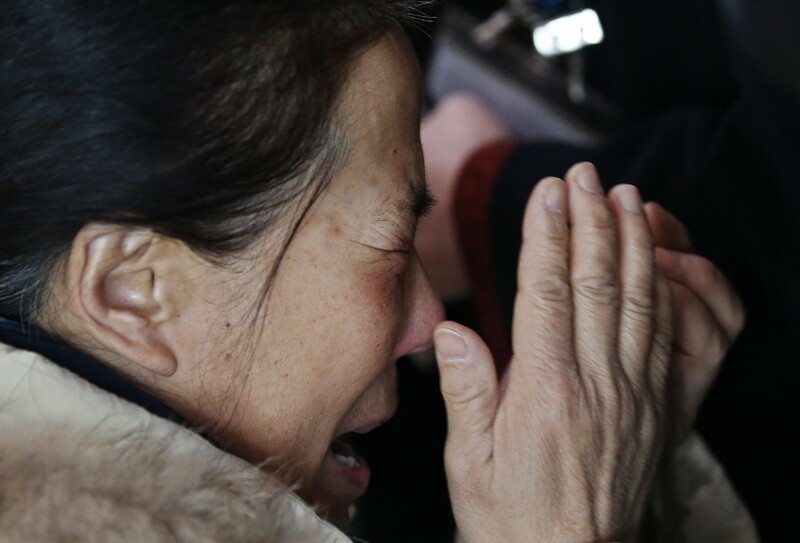 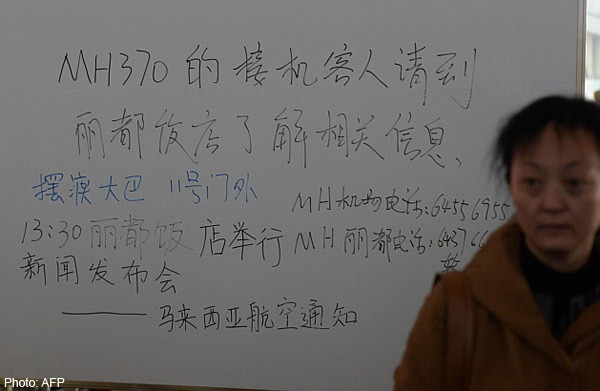 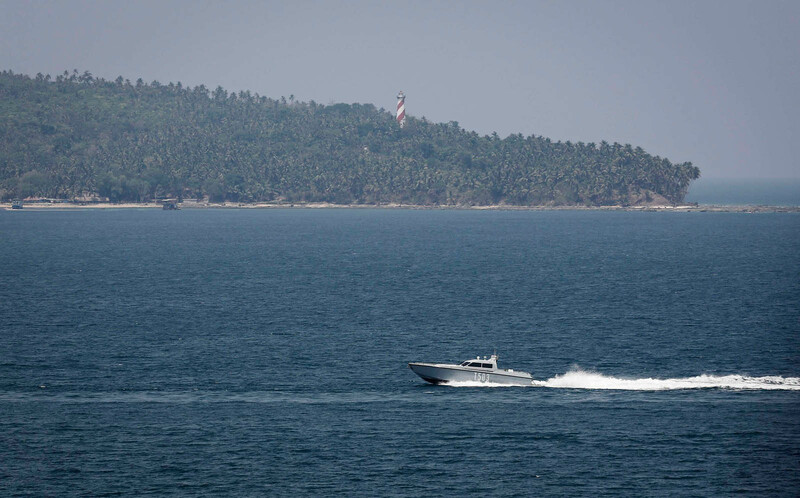 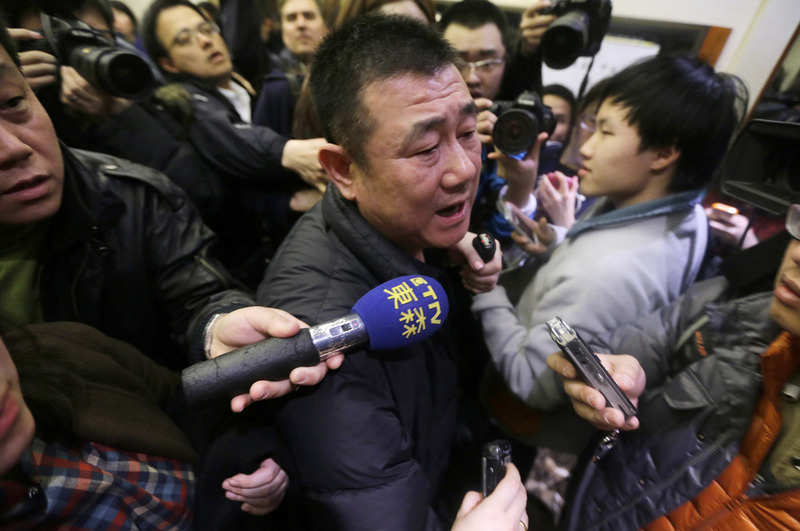 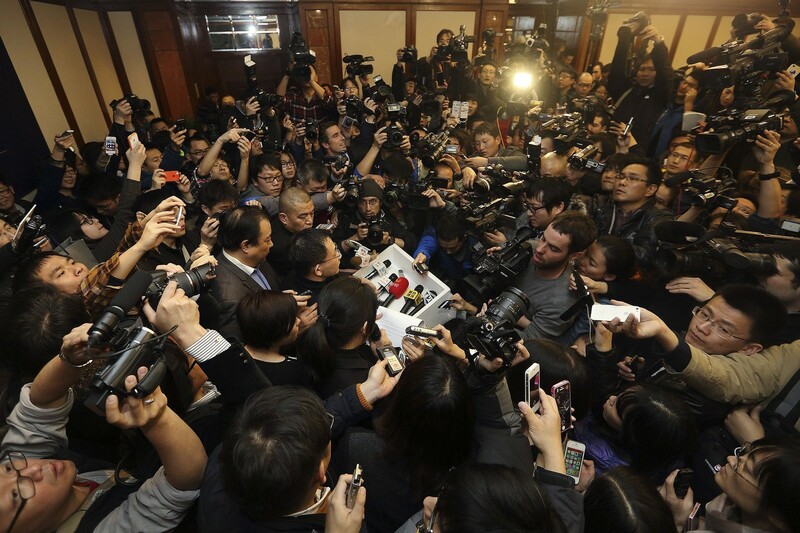 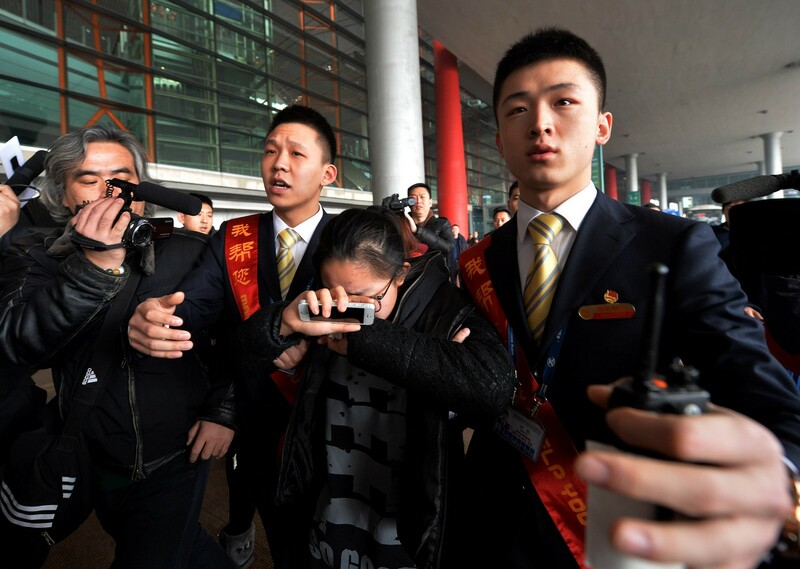 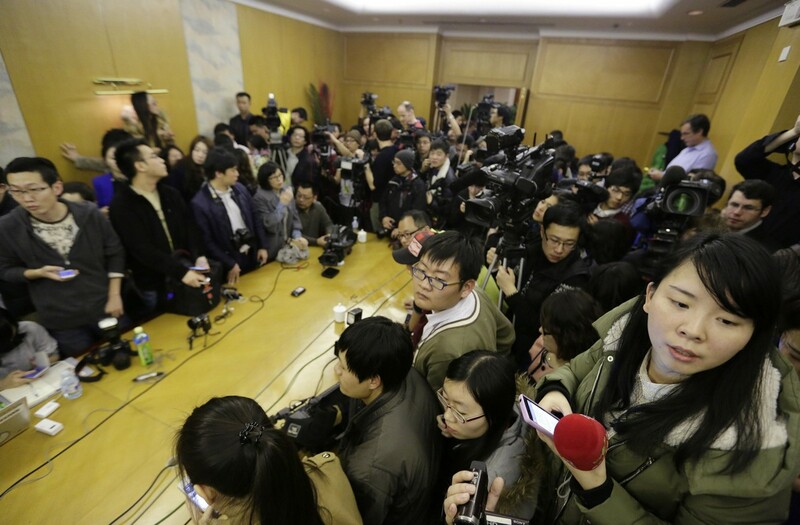 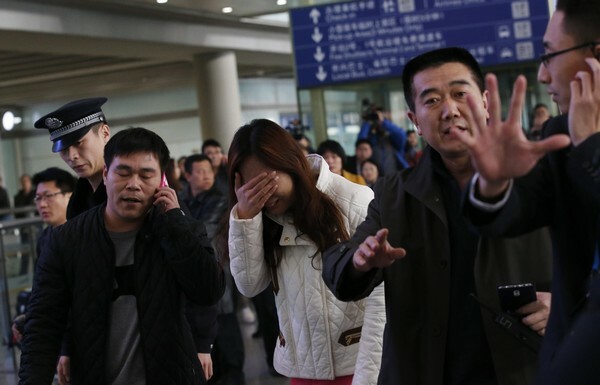 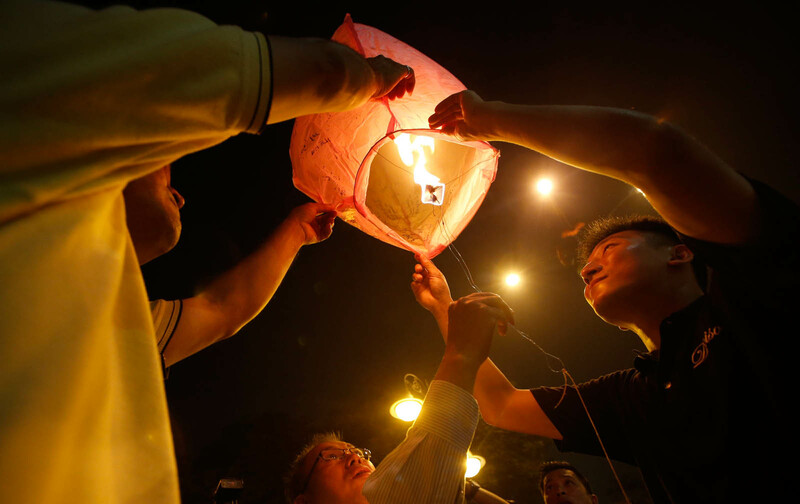 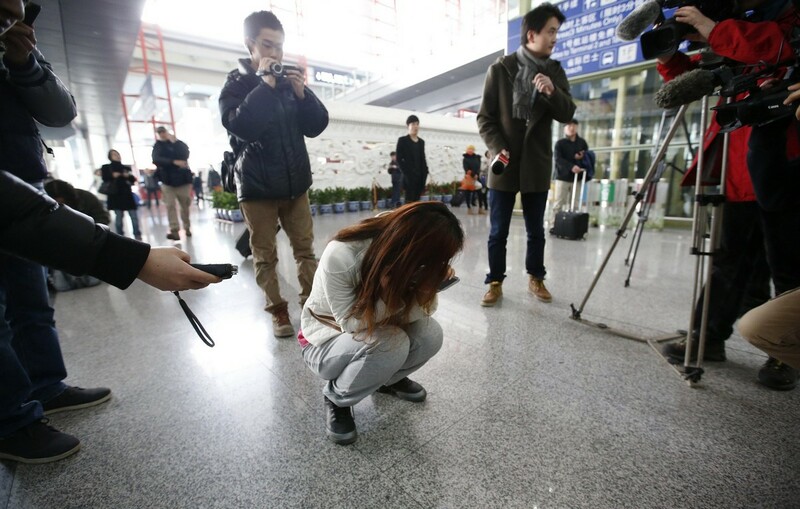 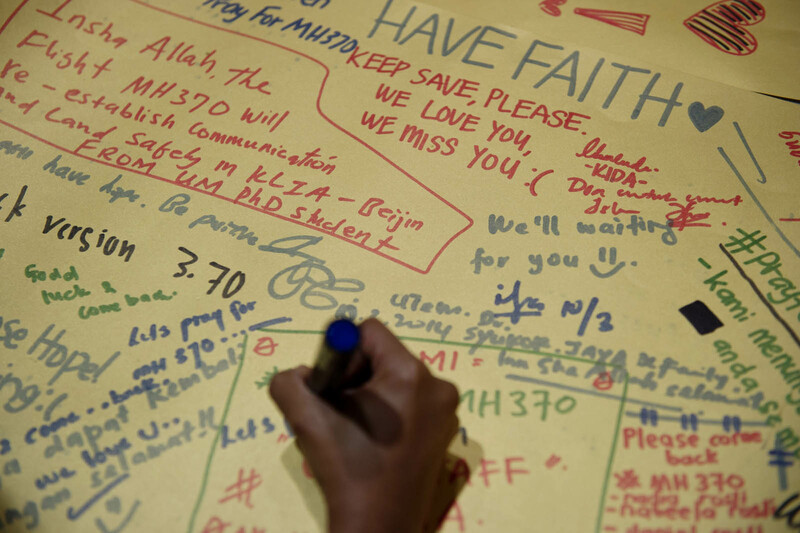 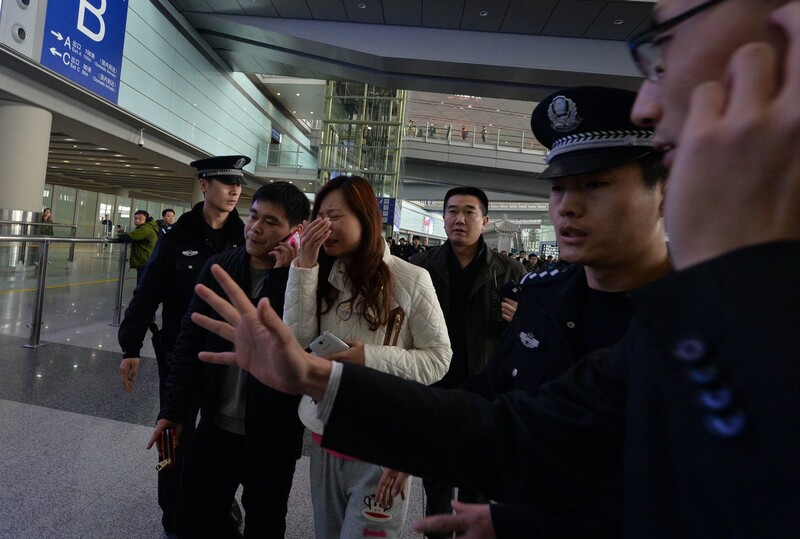 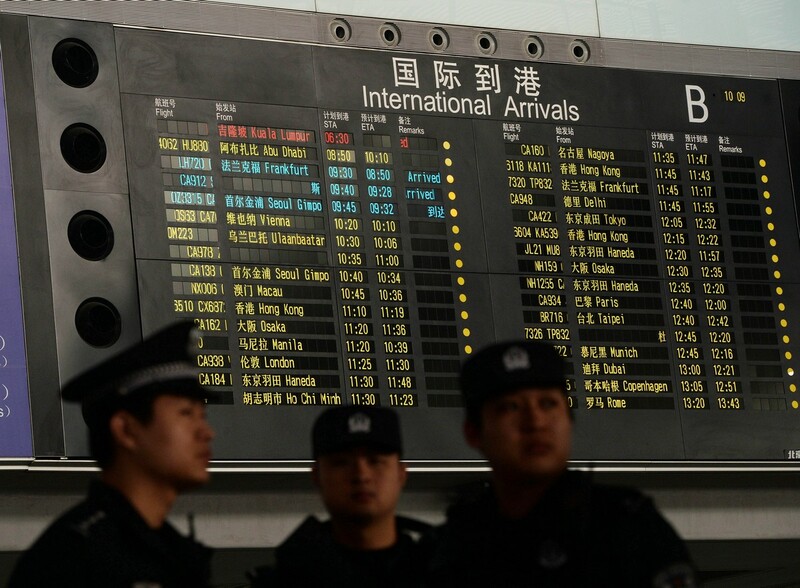 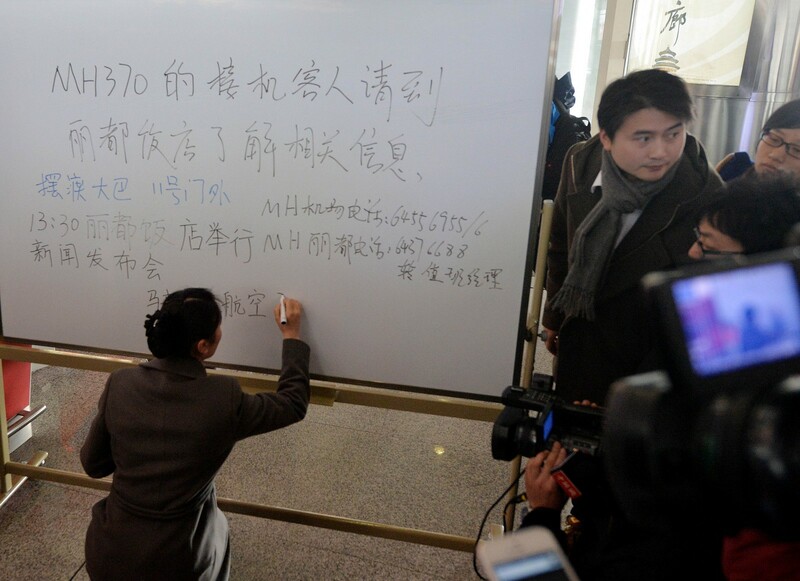 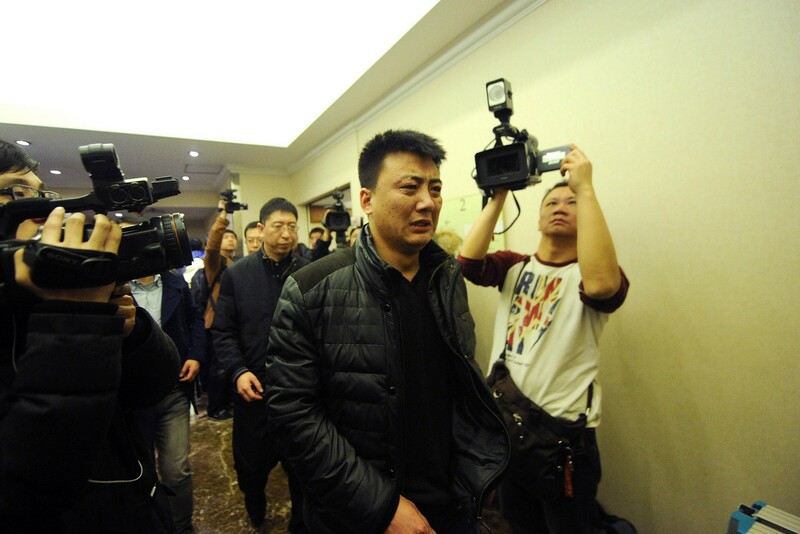 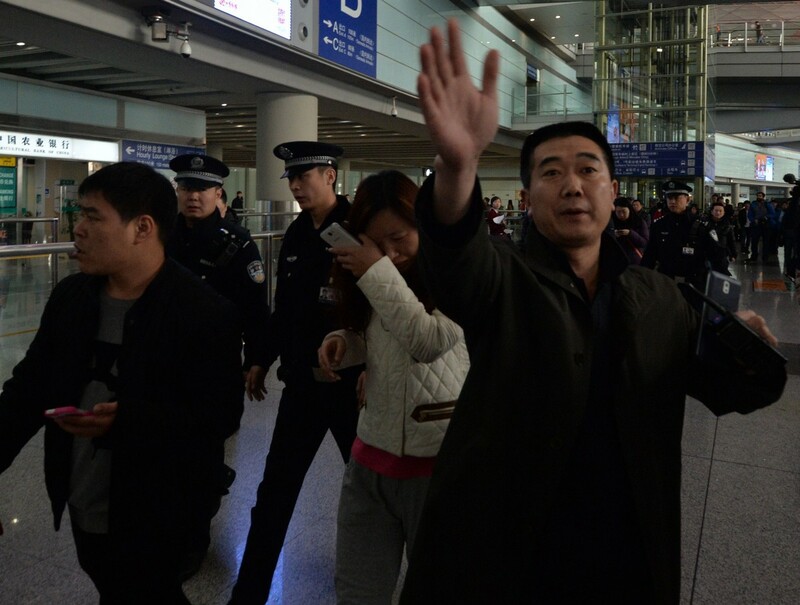 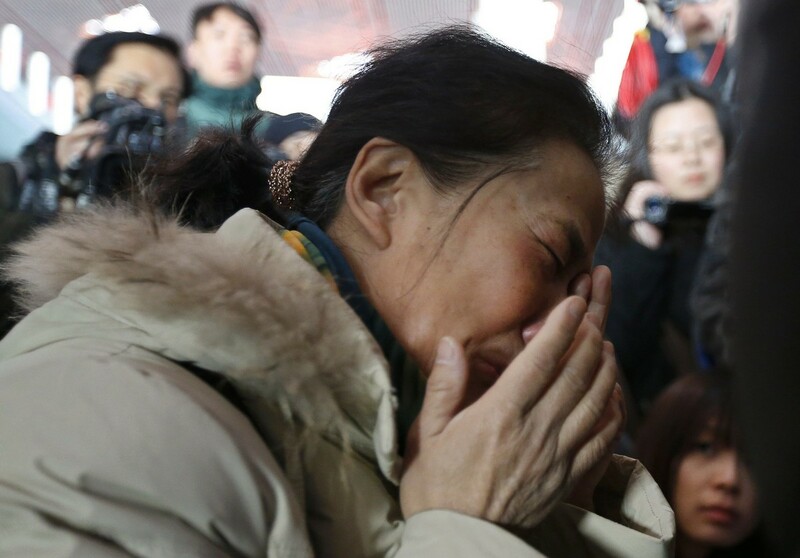 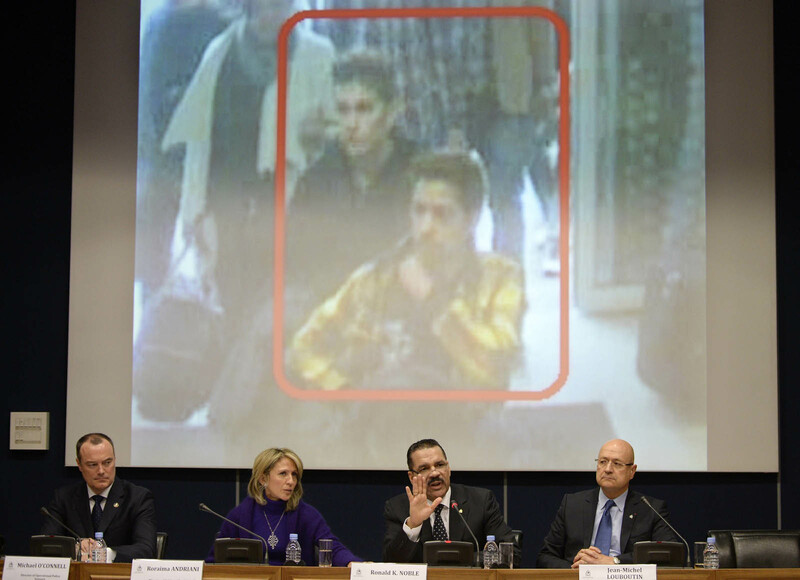 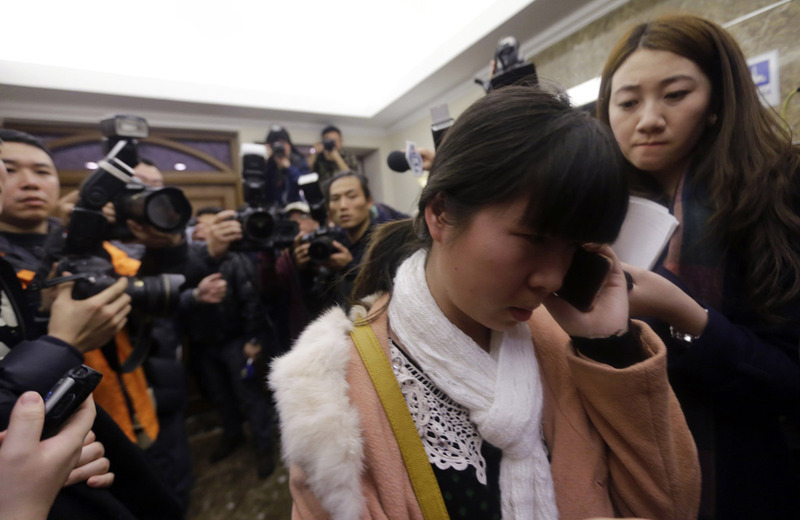 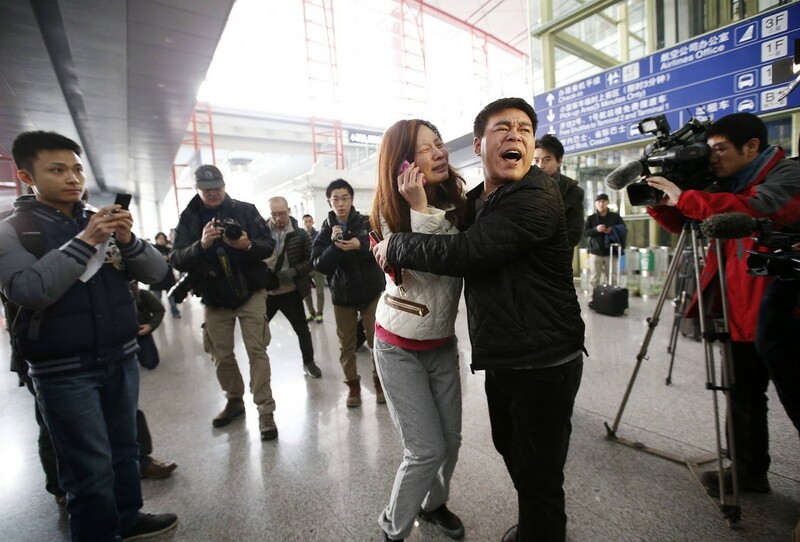 Foreign media reported that US investigators were pursuing the possibility that the missing plane and the 239 on board were being held against their will at an unknown location. 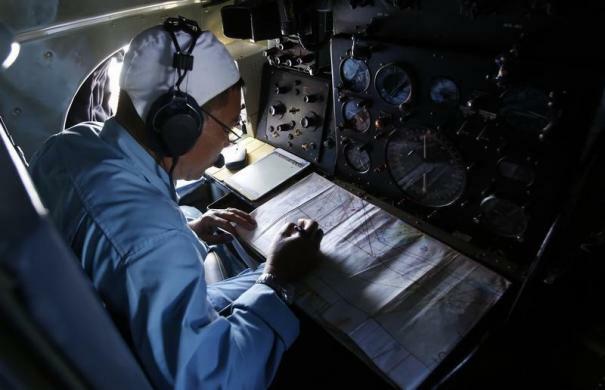 The Wall Street Journal also published a sensational piece that counter-terrorism officials believed that somebody on board had deliberately turned off the plane's transponder to avoid radar detection. 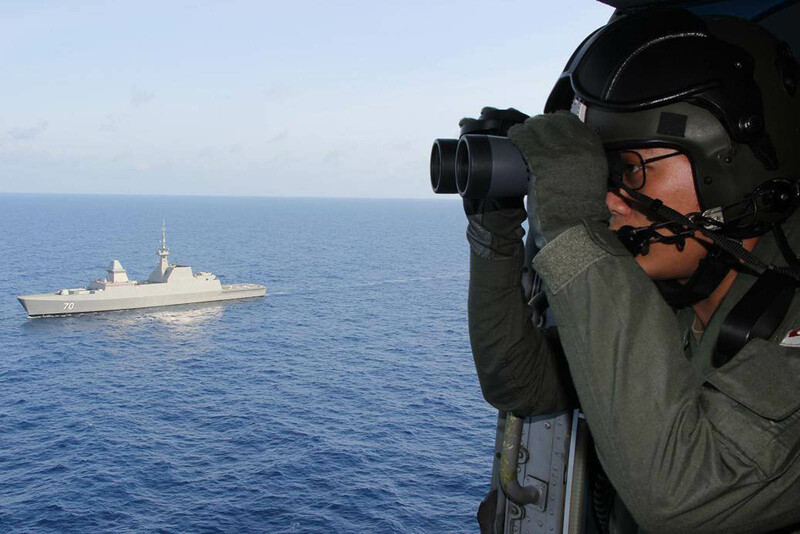 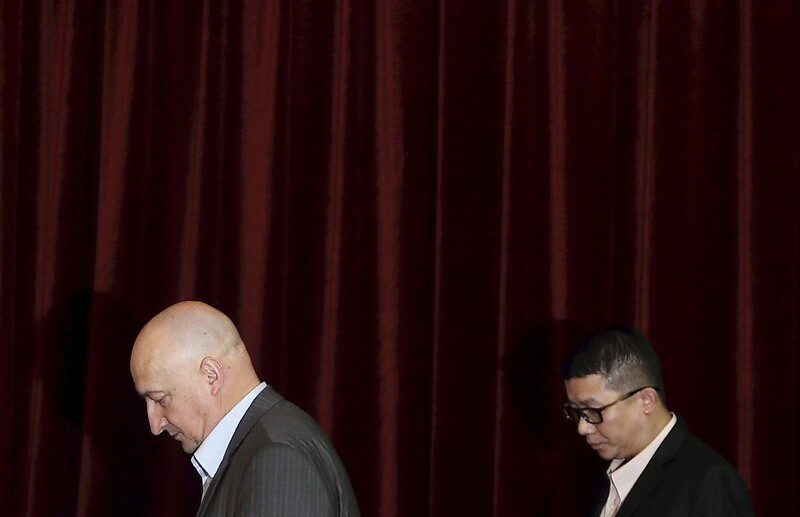 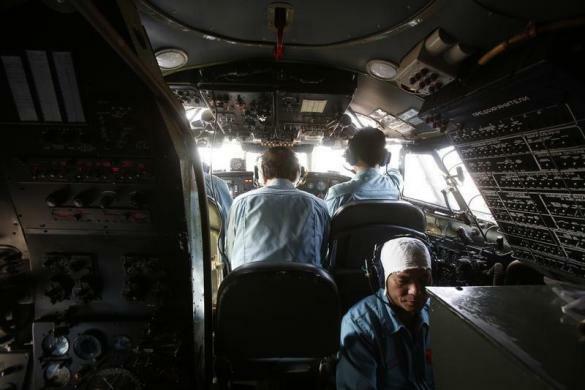 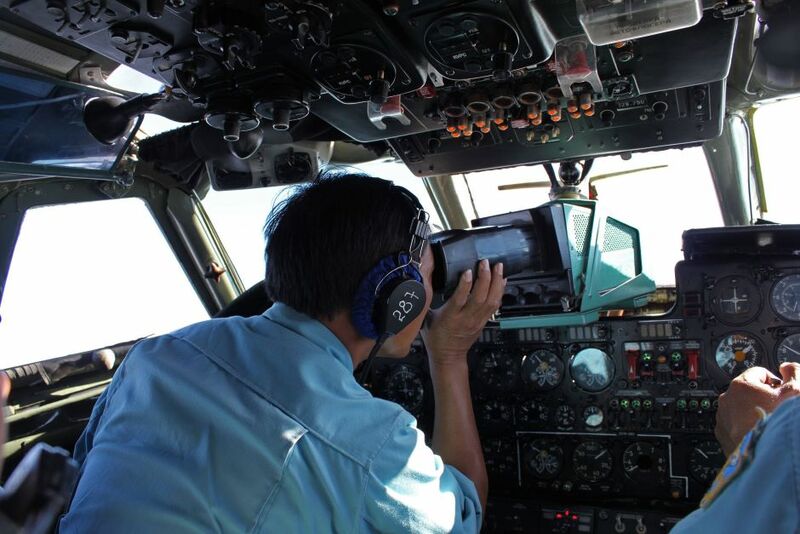 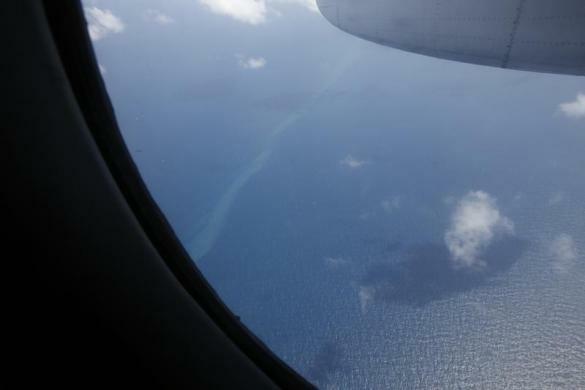 Hishammuddin also said a Malaysian Maritime Enforcement Agency plane had been dispatched to investigate debris in the sea near where MH370 disappeared. 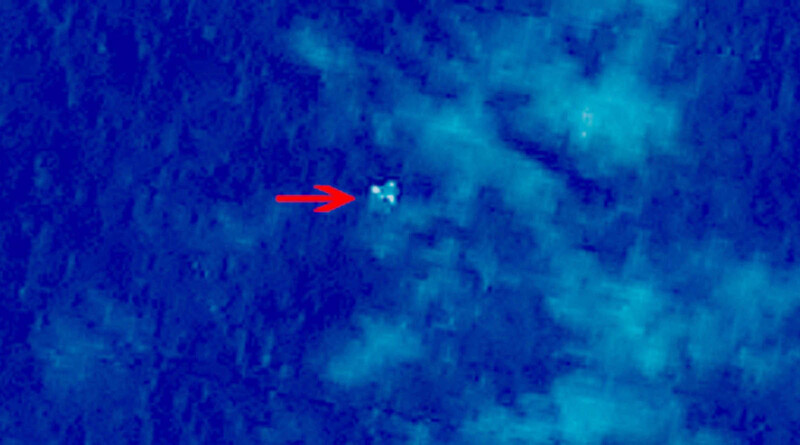 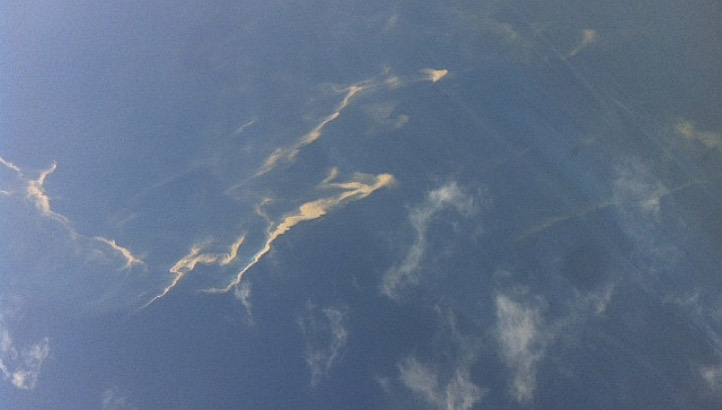 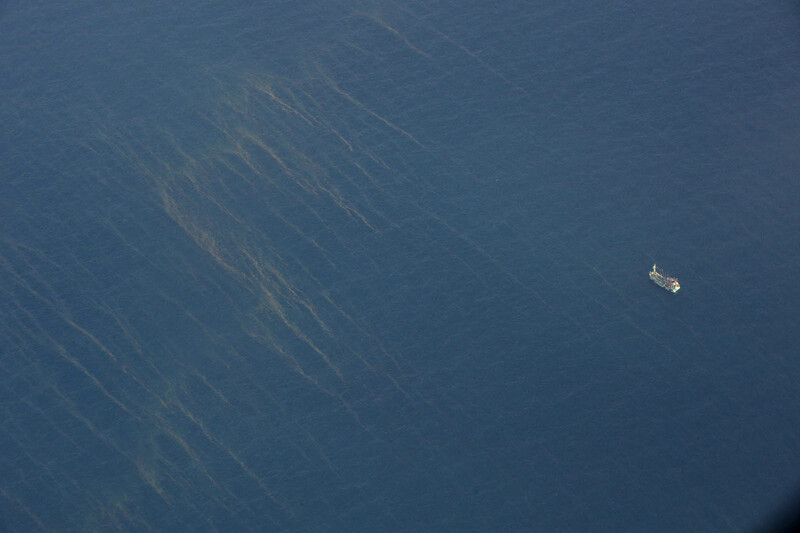 The debris had been photographed by a Chinese satellite. 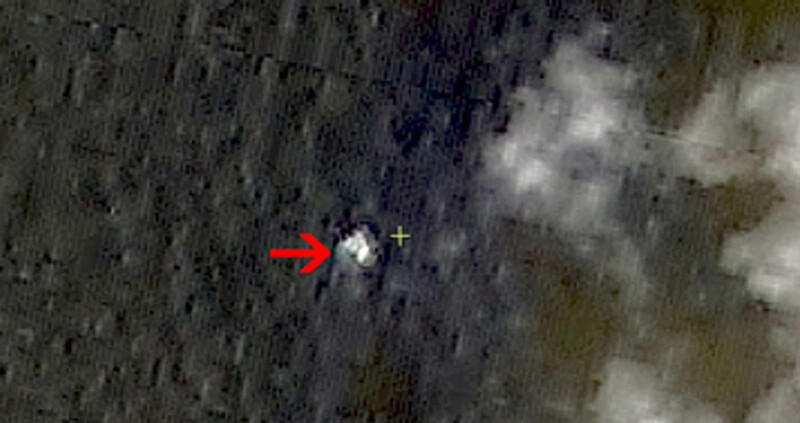 "But we found nothing at the site," he said. 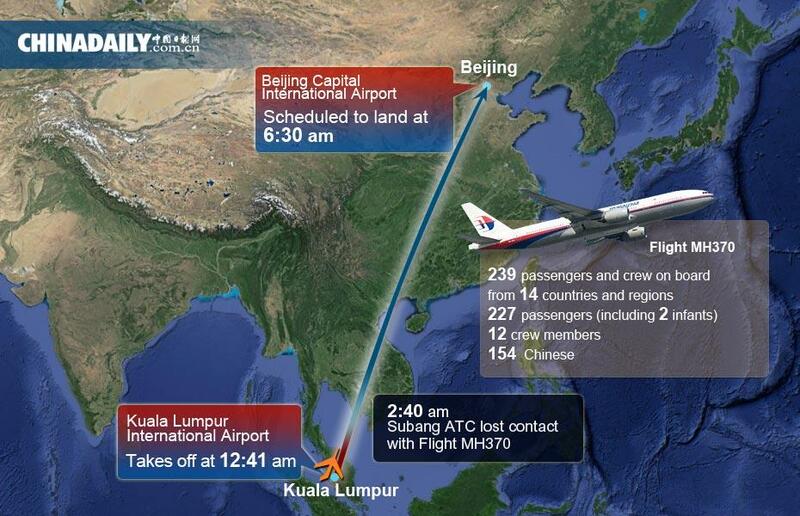 "The Chinese Embassy later notified us that the images were released by mistake and that the debris was not from MH370." 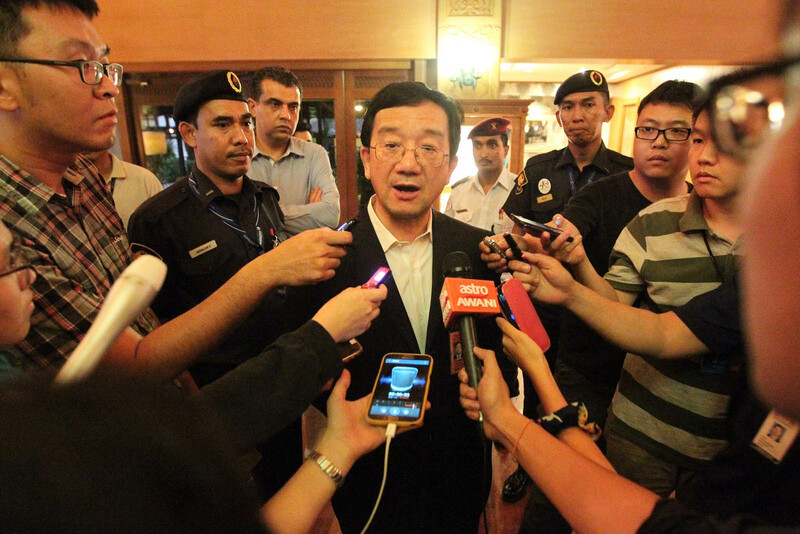 Huang Huikang, the Chinese Ambassador to Malaysia, has sent a note to Hishammuddin, apologising for the mistake. 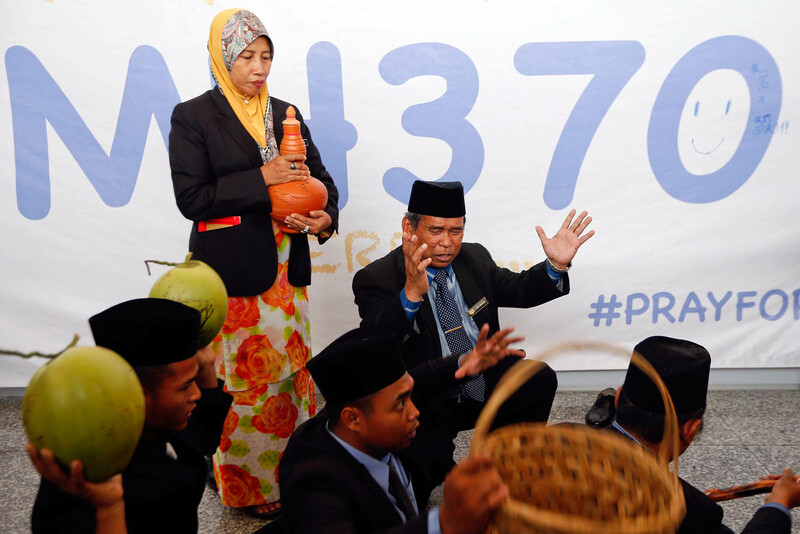 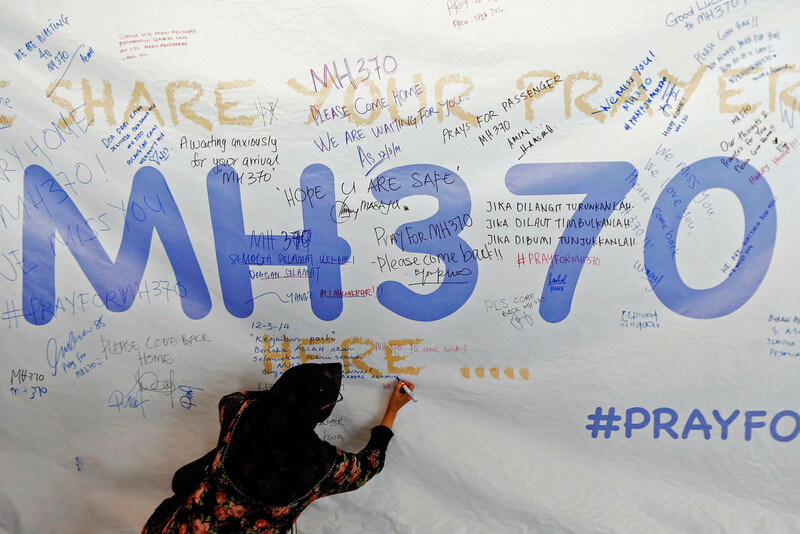 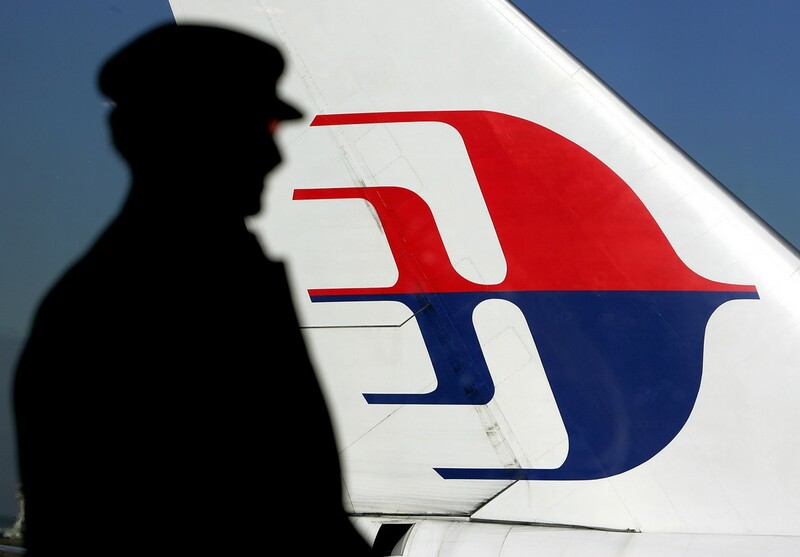 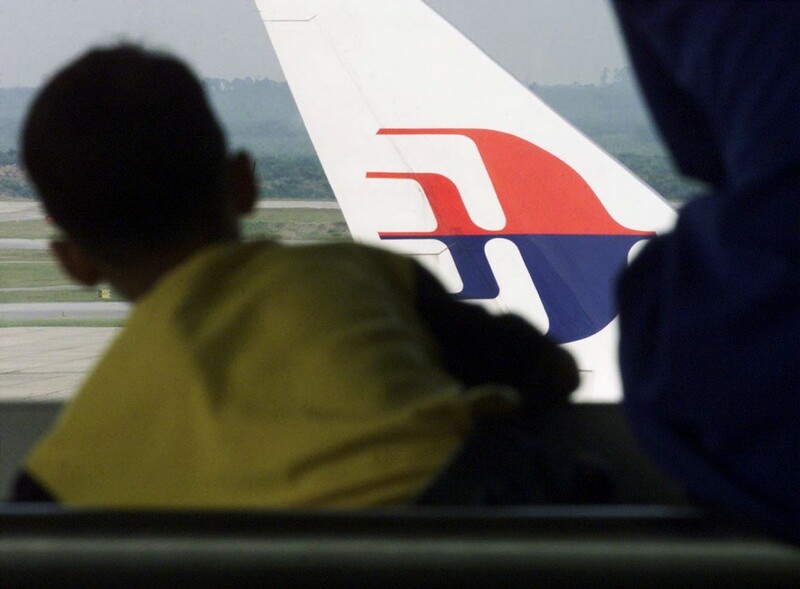 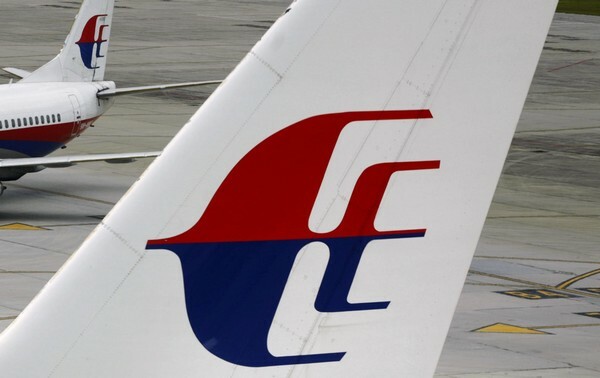 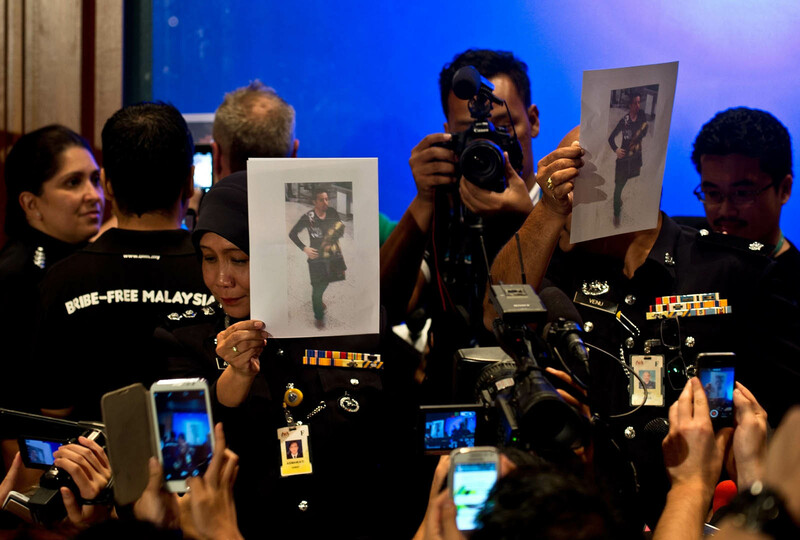 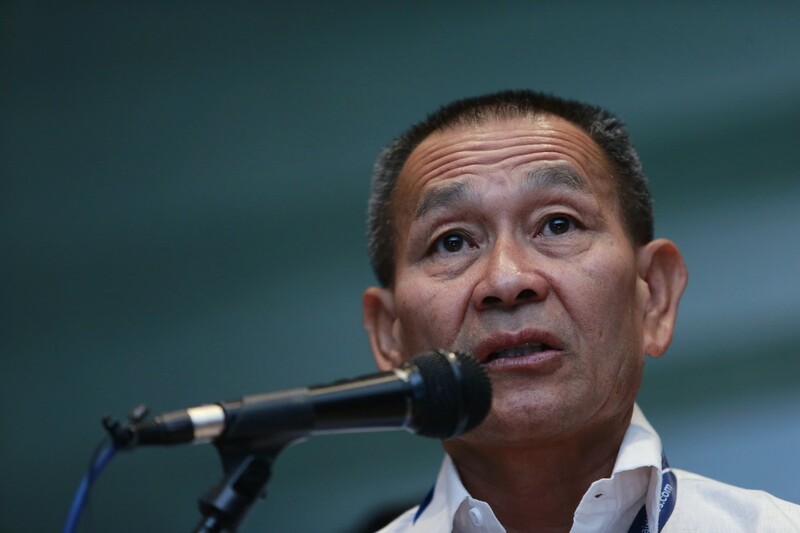 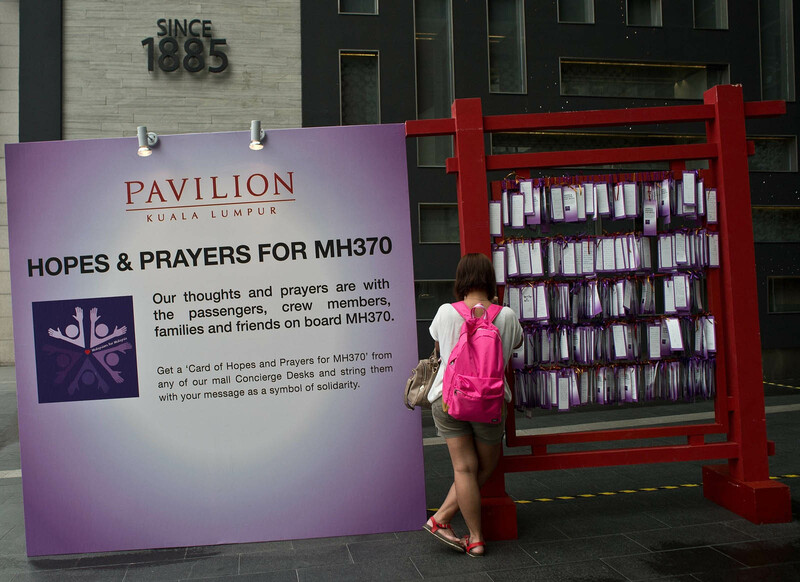 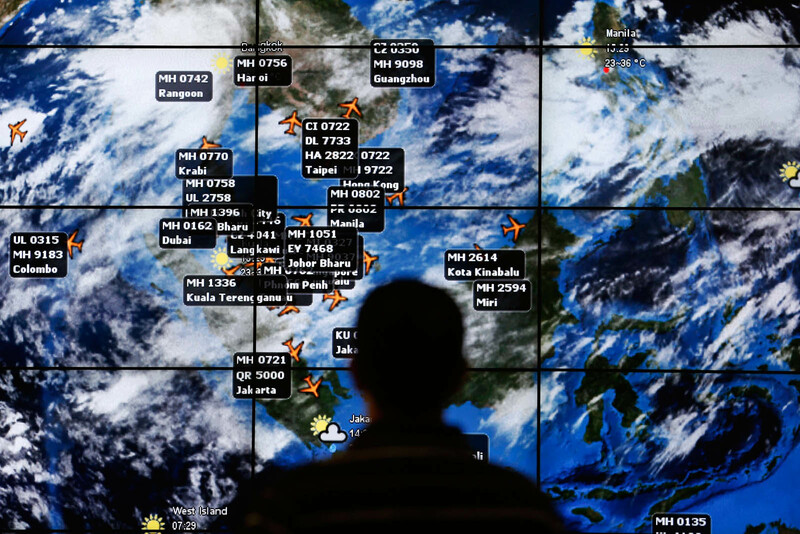 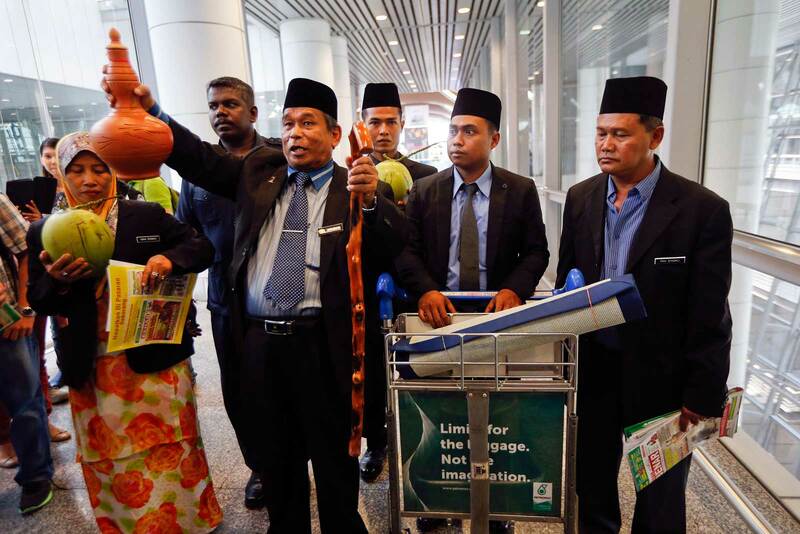 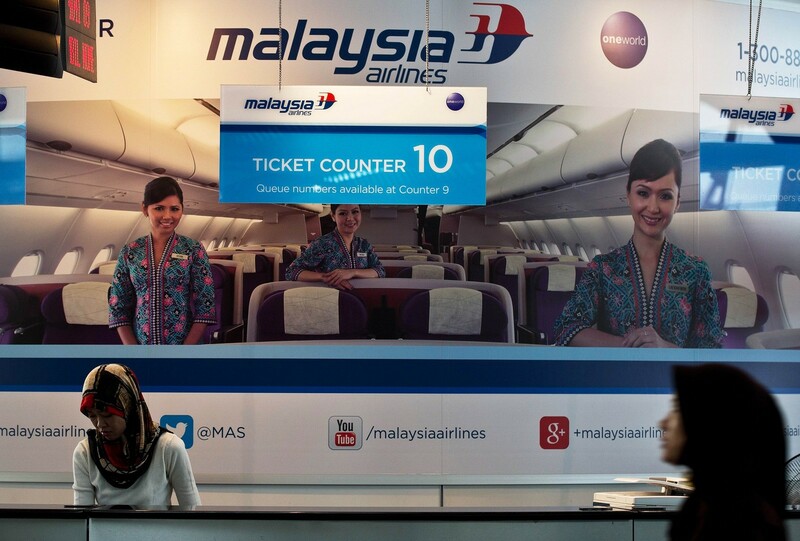 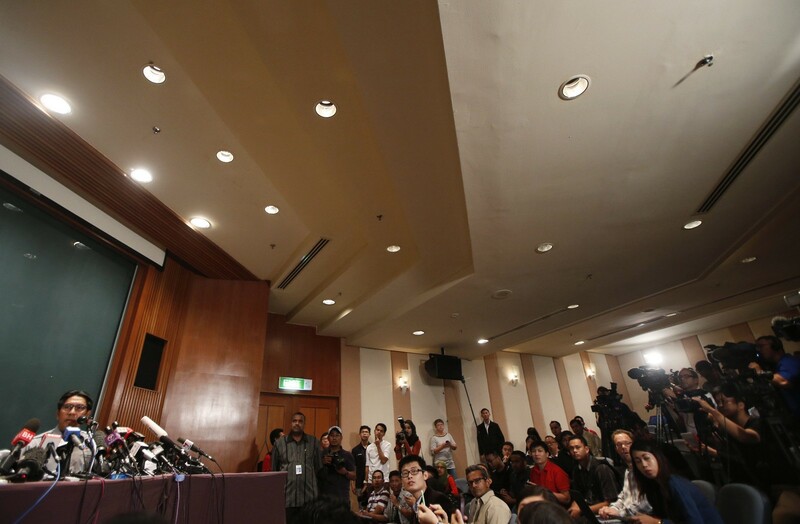 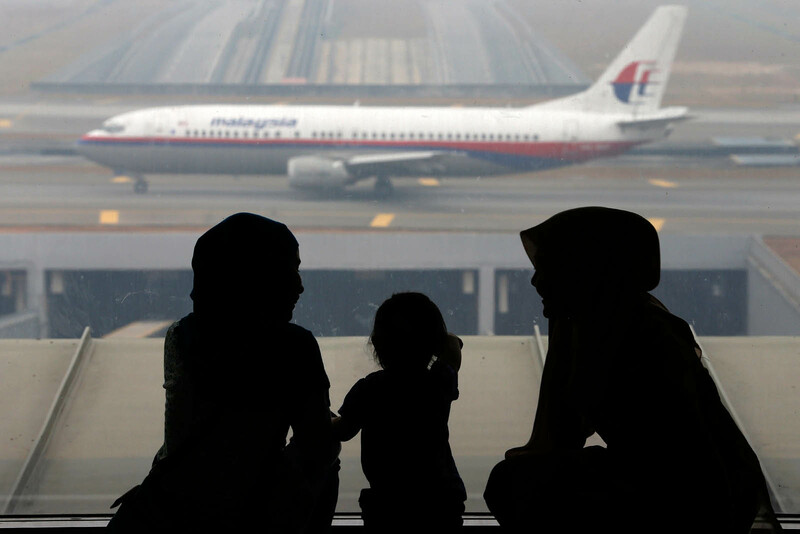 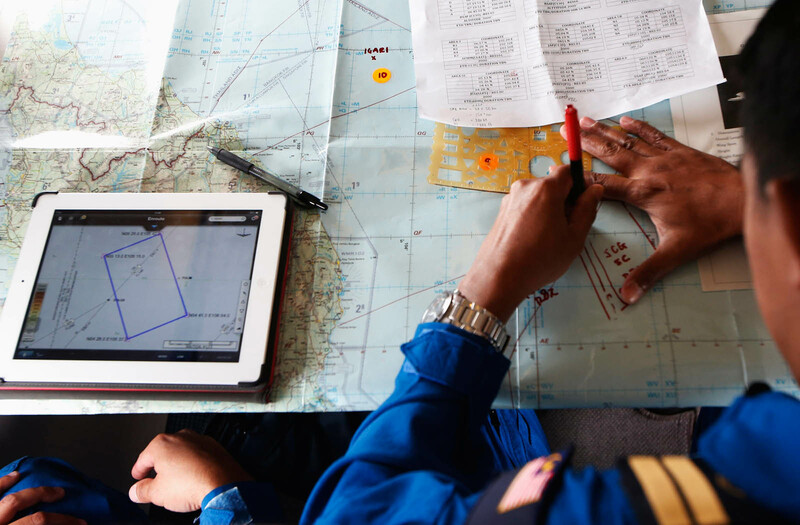 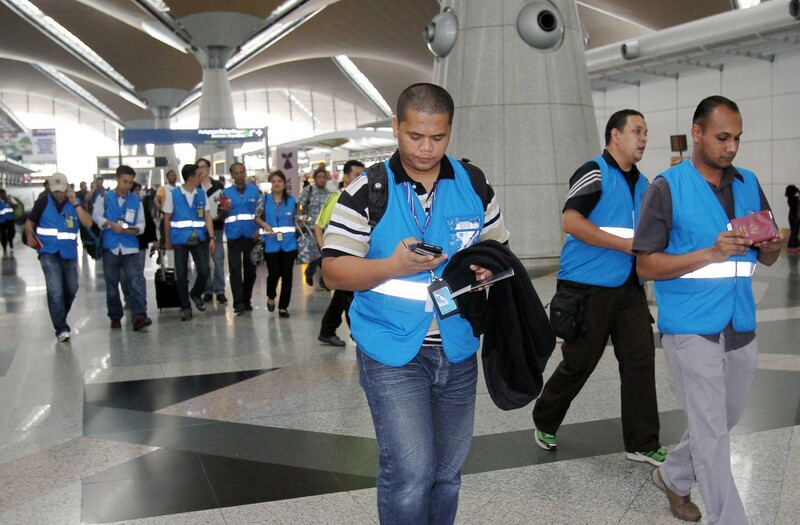 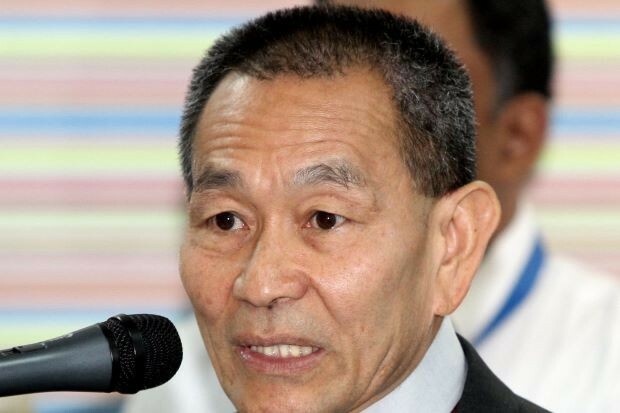 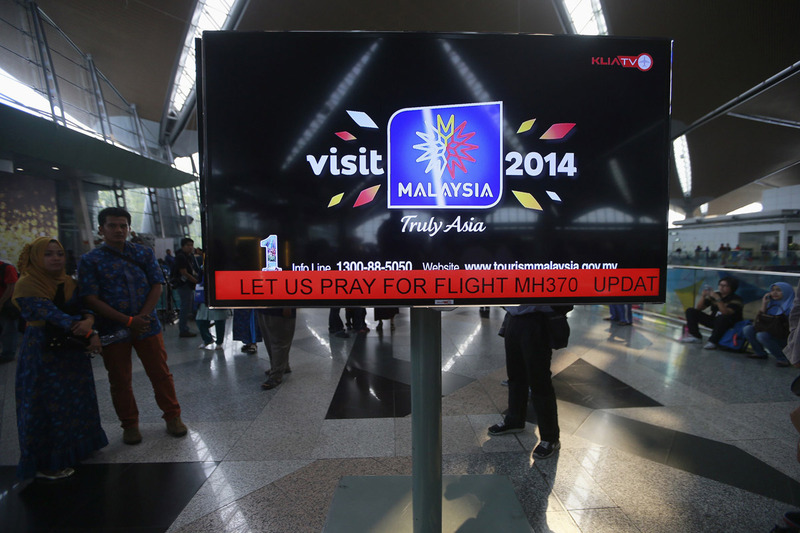 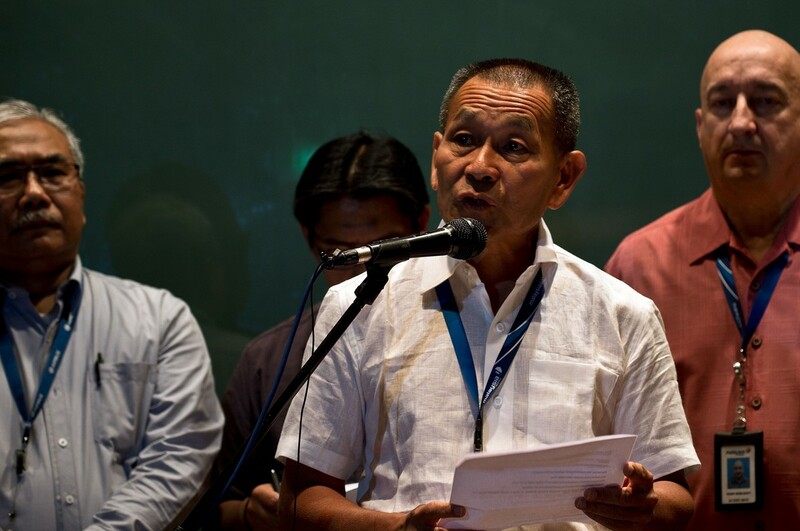 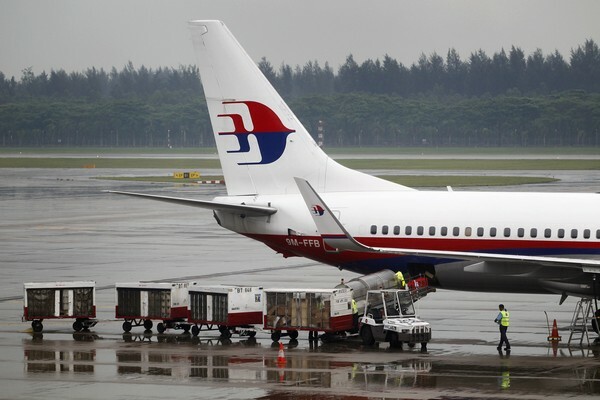 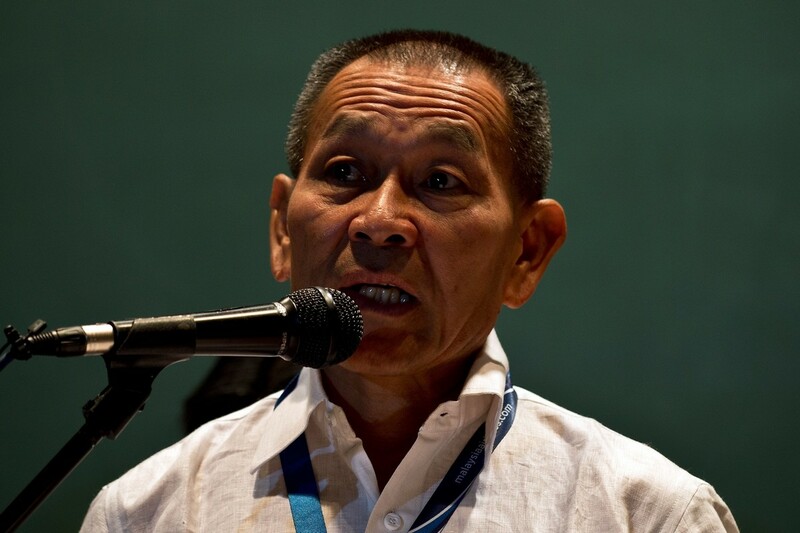 During the press conference, MAS chief executive officer Ahmad Jauhari Yahya dismissed a report that suggested the plane could have been flying for four hours after disappearing from civilian radar. 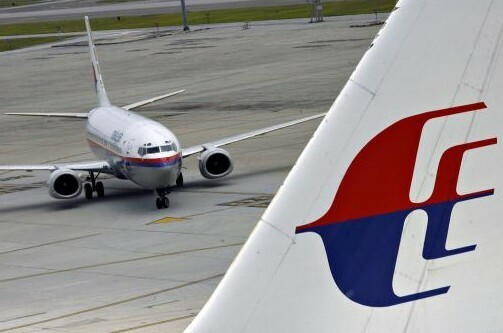 He said the engine manufacturer, Roll-Royce, and aircraft maker Boeing had found the report inaccurate. 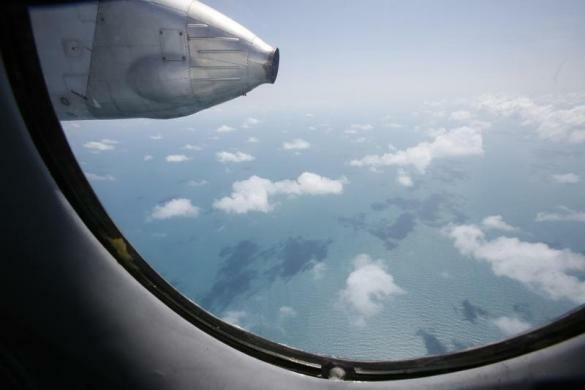 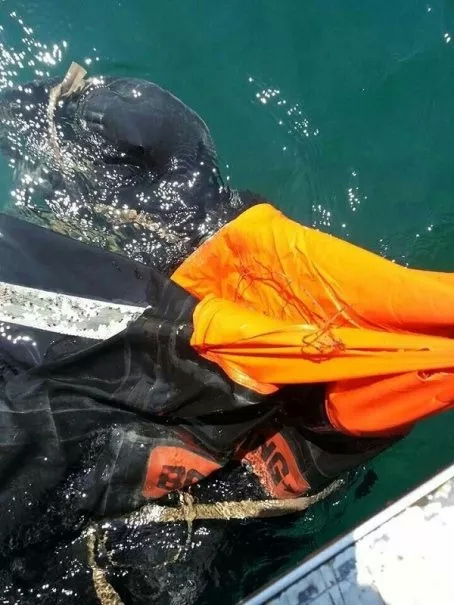 The engines of the aircraft did not continue transmitting data to the ground after it lost contact with air traffic control, he said. 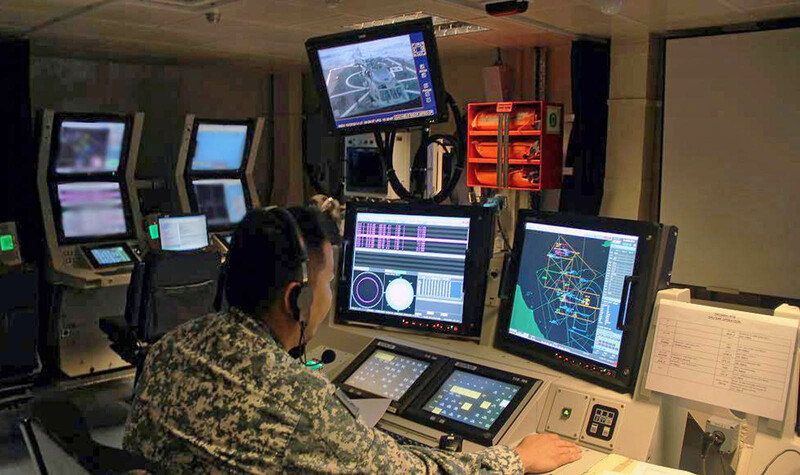 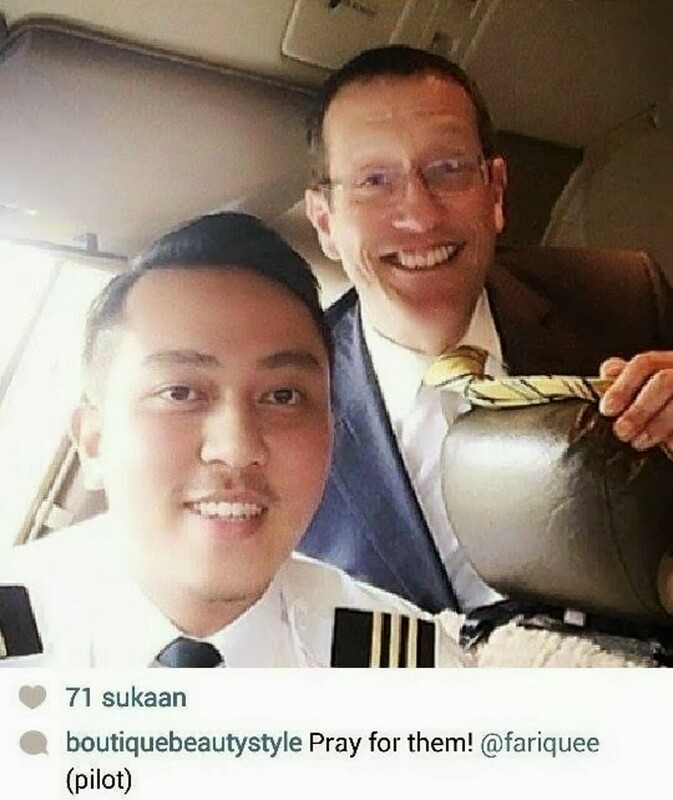 According to him, the last transmission from the plane's Aircraft Communication Addressing and Reporting System (ACARS) was at 1.07am (on Saturday). 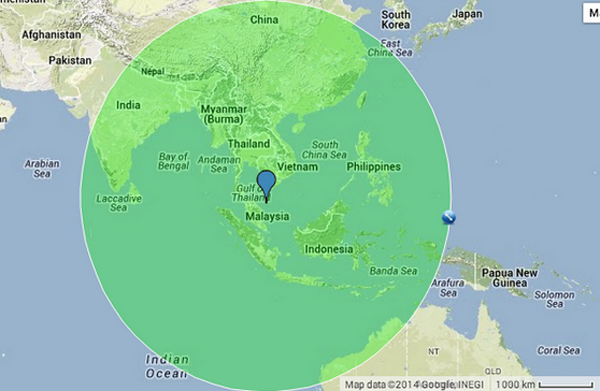 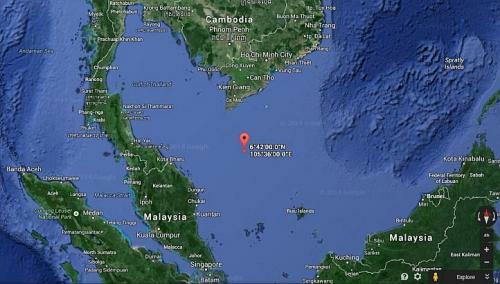 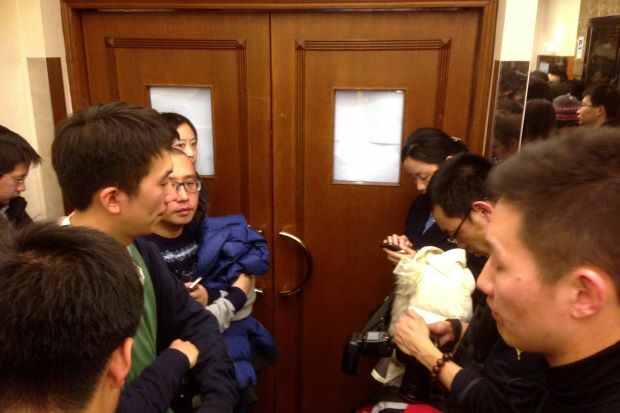 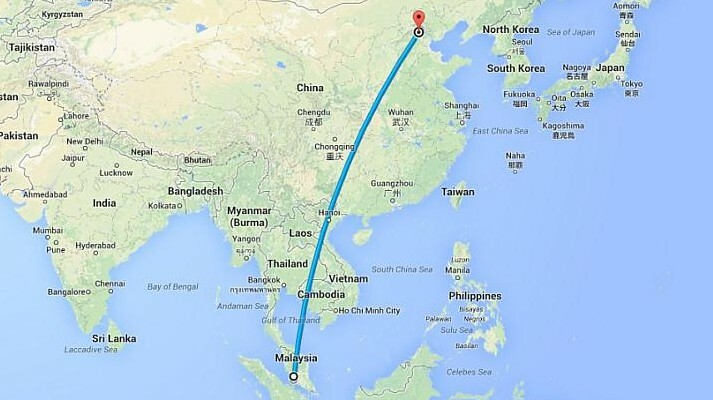 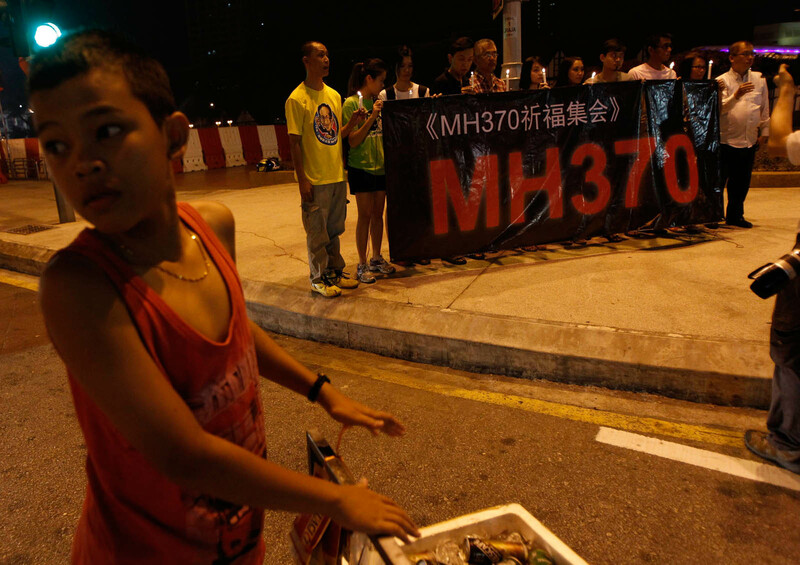 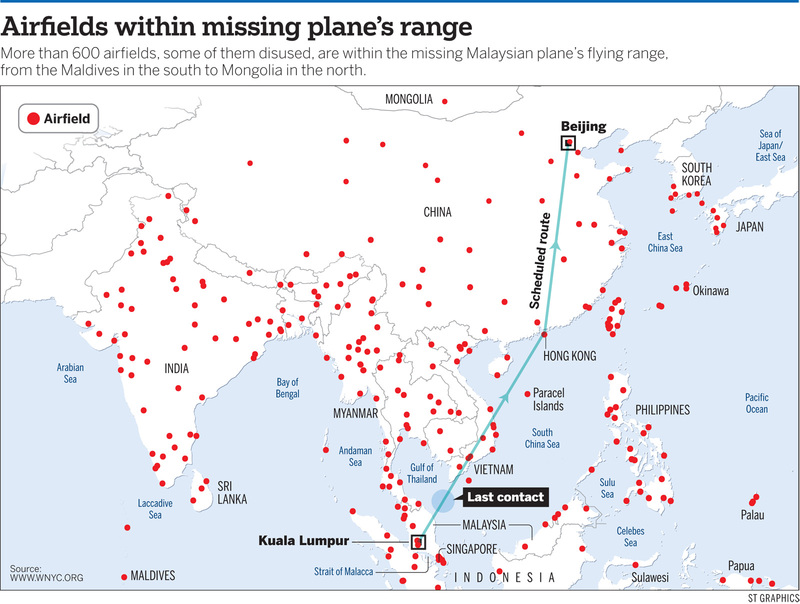 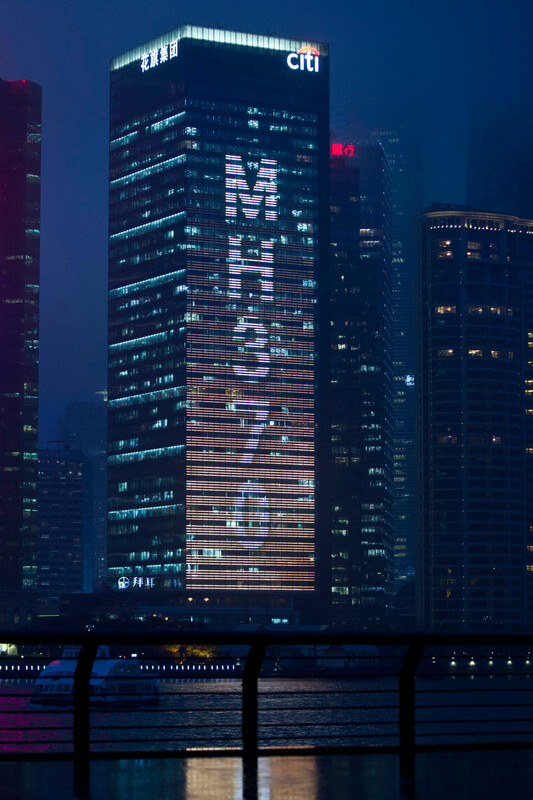 The plane disappeared from civilian radar at 1.30am. 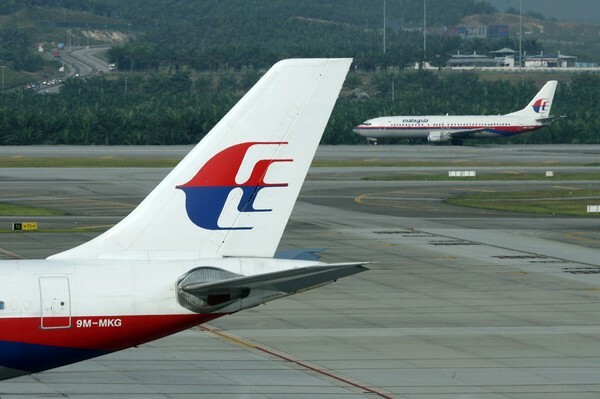 "Both manufacturers, who are here in Malaysia, said they did not receive such data after the final one that was transmitted by the engines (monitoring system) at 1.07am. 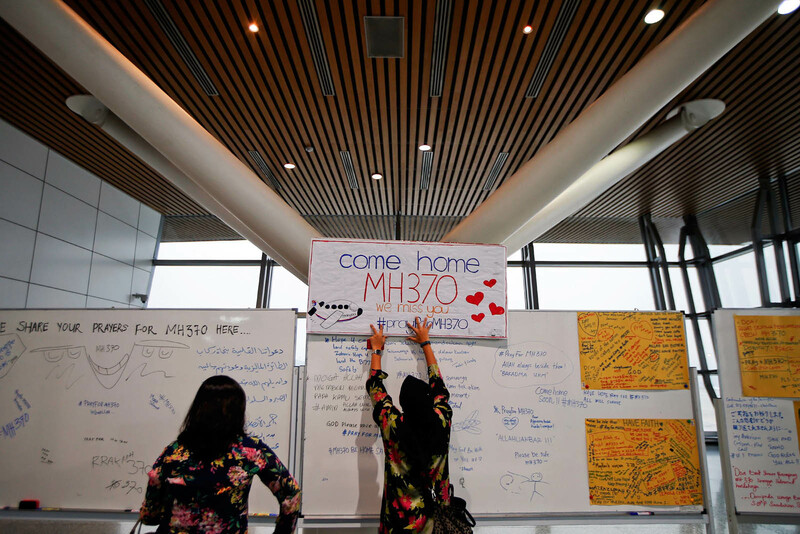 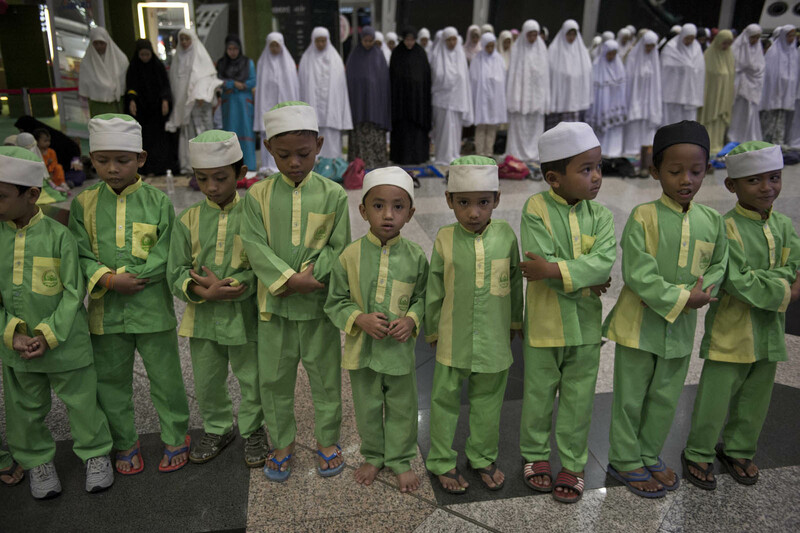 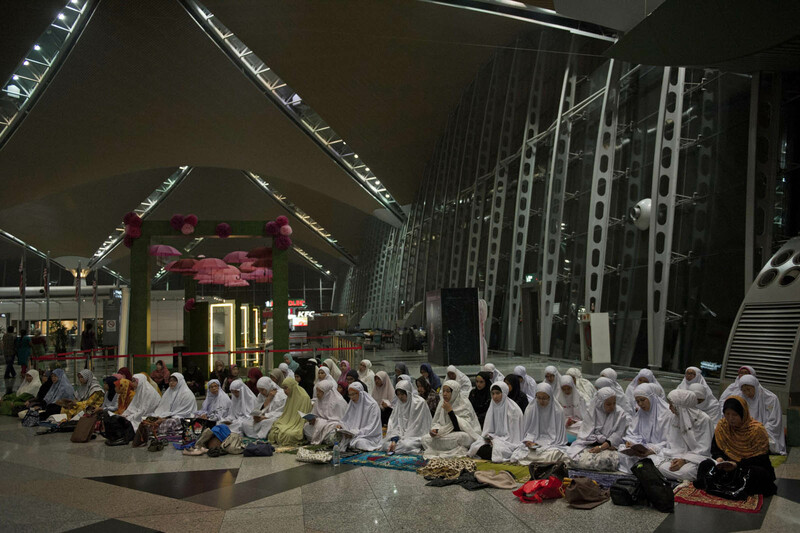 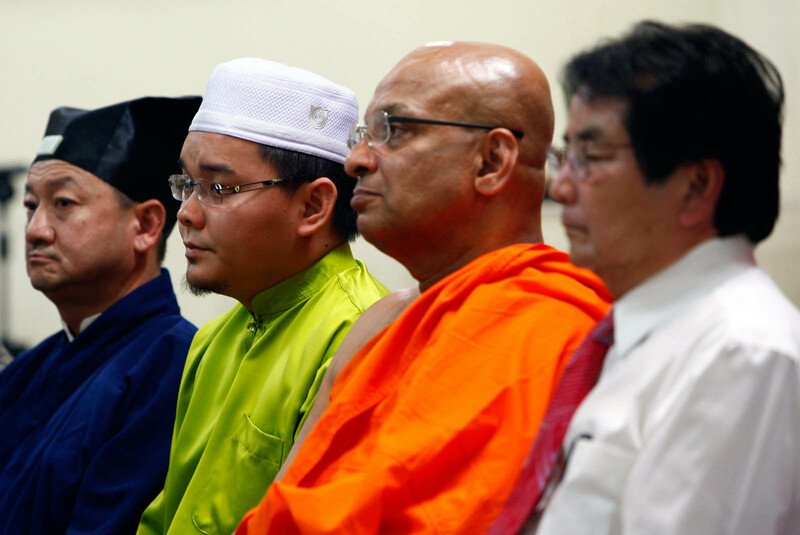 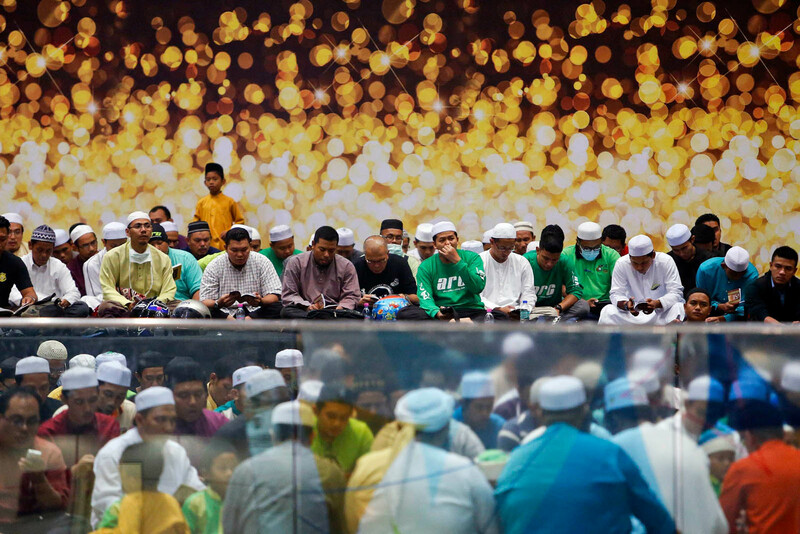 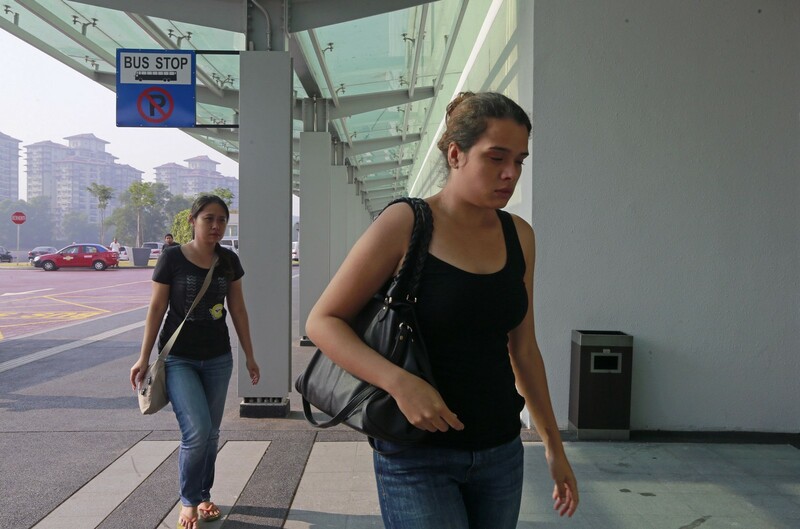 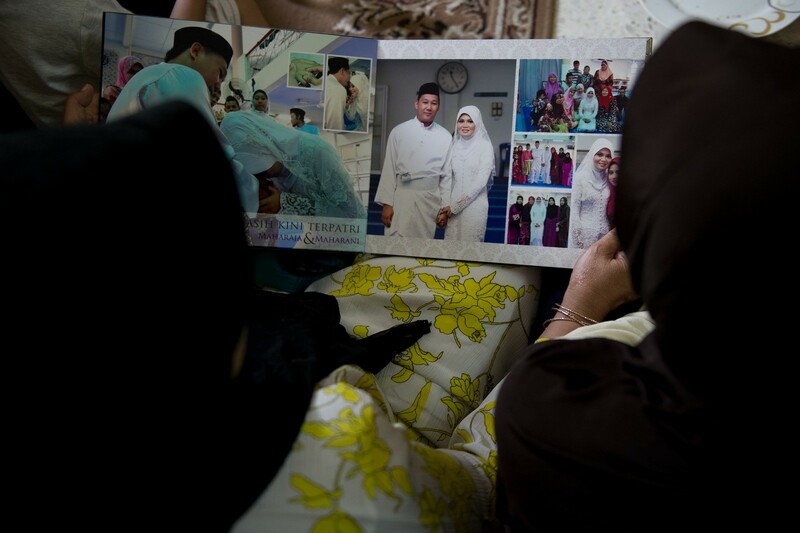 "That transmission indicated that everything was normal," Ahmad Jauhari said. 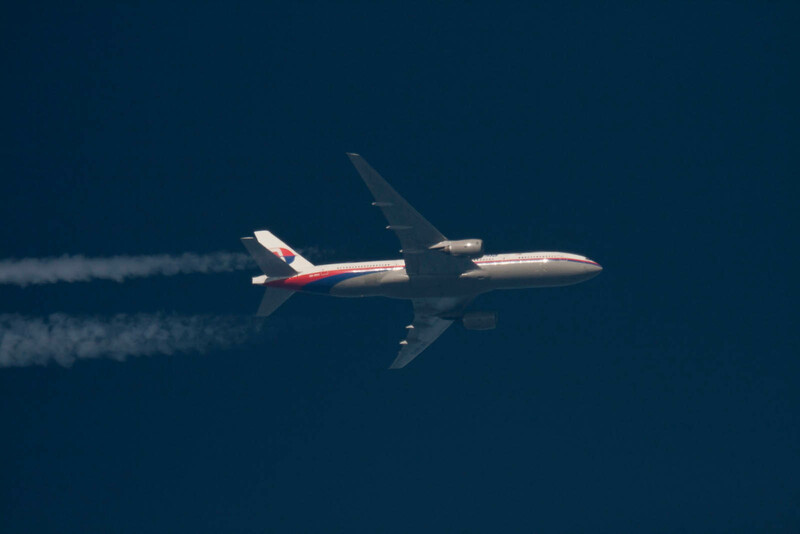 The Wall Street Journal had reported that US investigators suspected MH370 stayed in the air for about four hours past the time it reached its last confirmed location, based on data that was automatically downloaded and sent to the ground from the plane. 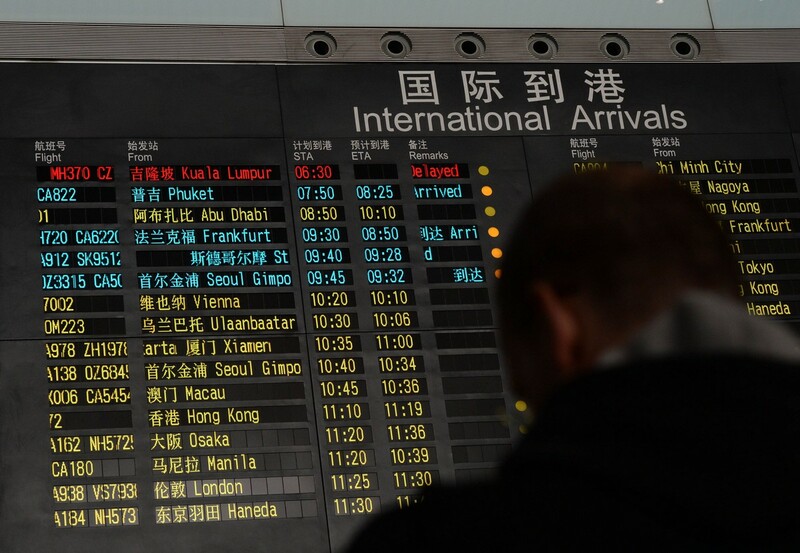 ACARS is a digital link between the plane and ground personnel which relays messages such as aircraft and crew status, engine and aircraft performance, weather and alternative flight plan requests. 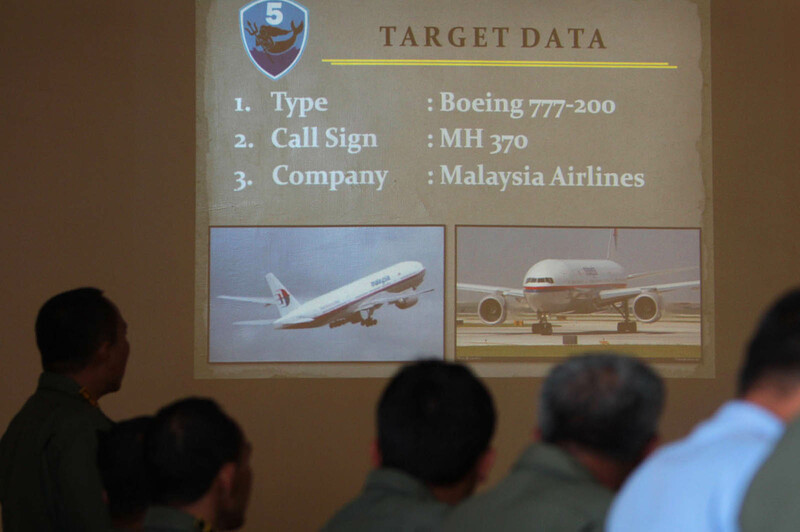 Ahmad Jauhari explained that ACARS could be programmed to transmit data at pre-determined intervals. 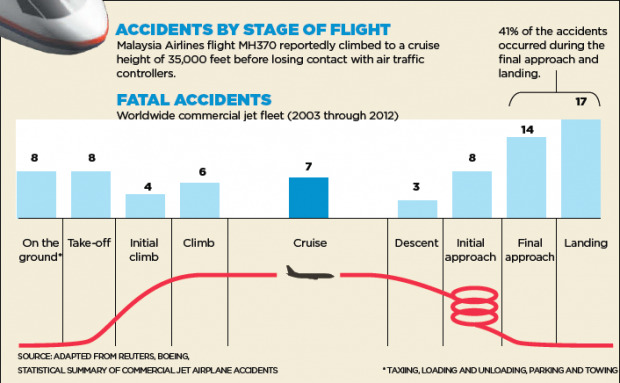 "This can be during a take-off, after reaching the top of a climb or every 30 minutes. 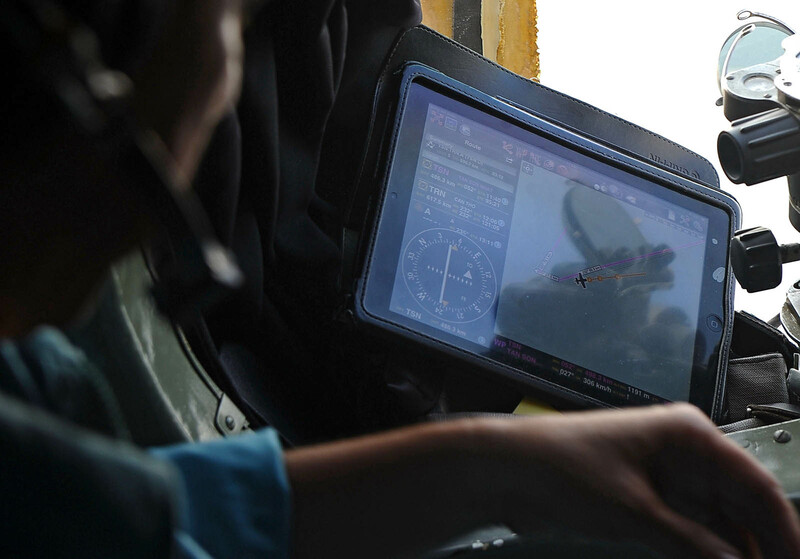 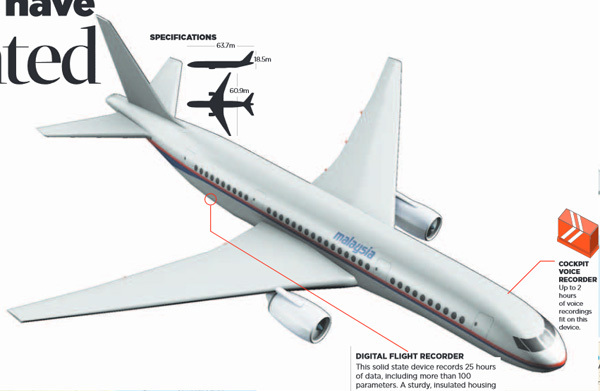 It can also transmit data in the event of any abnormality in the engines or airframe," he said. 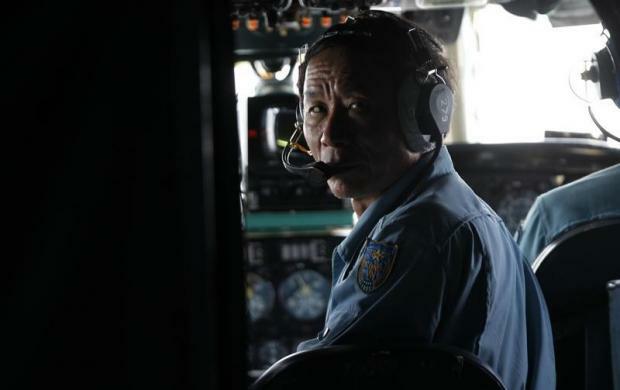 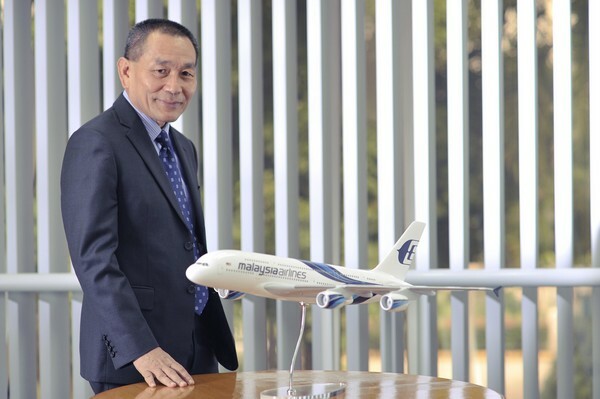 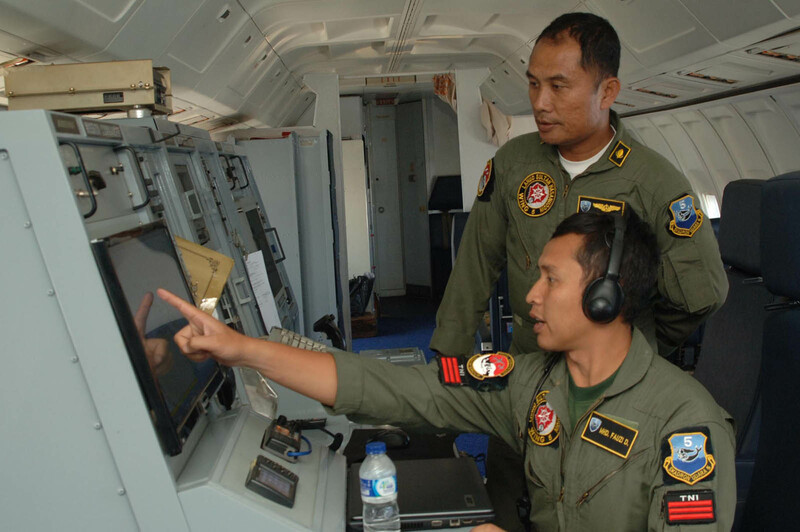 Asked whether ACARS could be manually switched off, Ahmad Jauhari replied: "Anything is possible in an aircraft system. 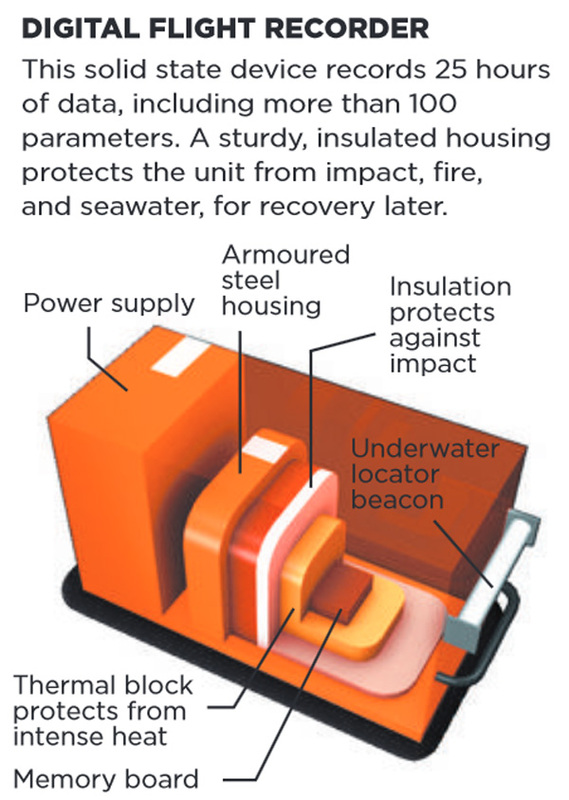 You can have total electrical failure and (if this happens) it won't transmit anything." 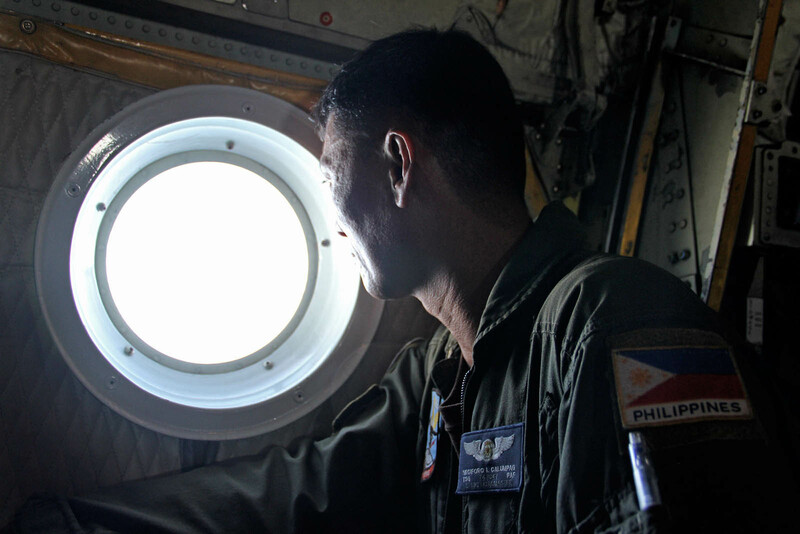 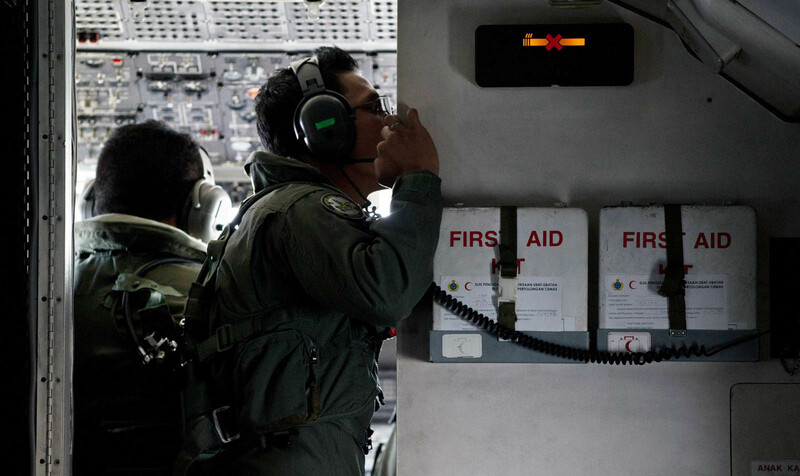 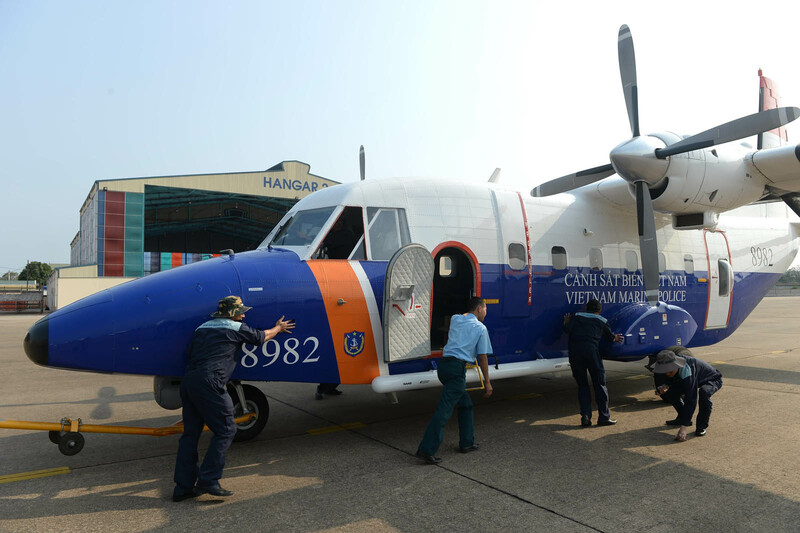 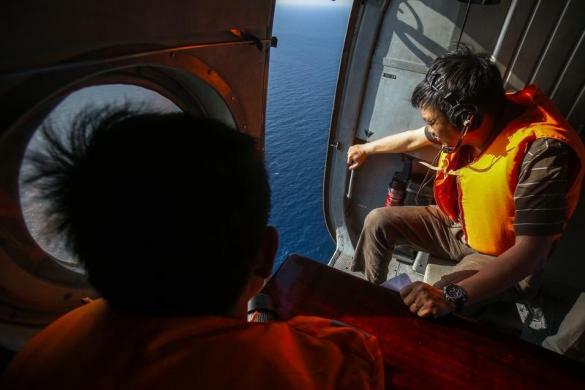 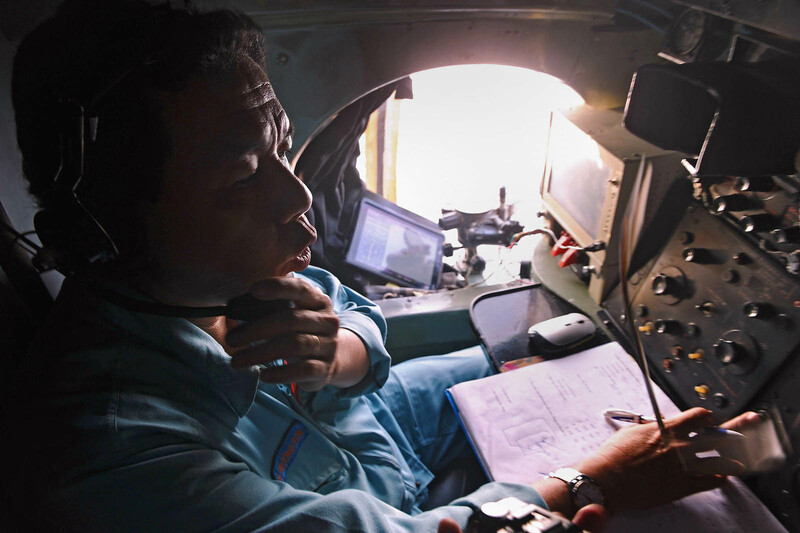 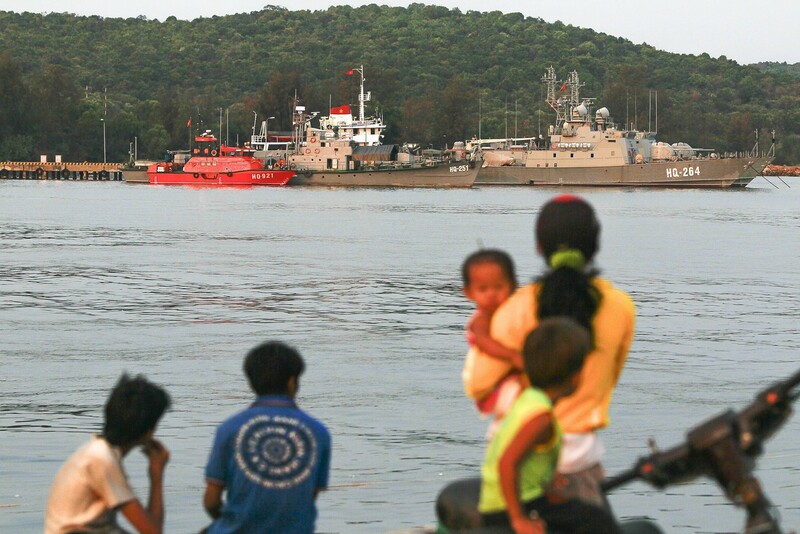 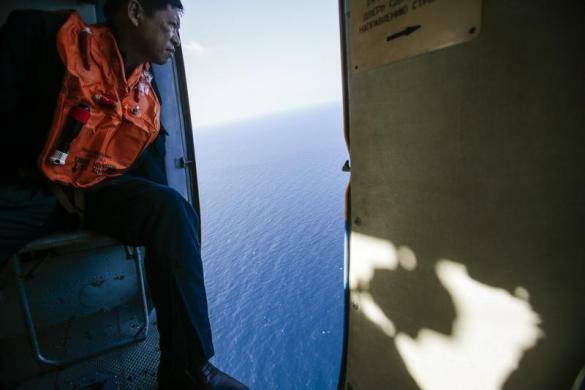 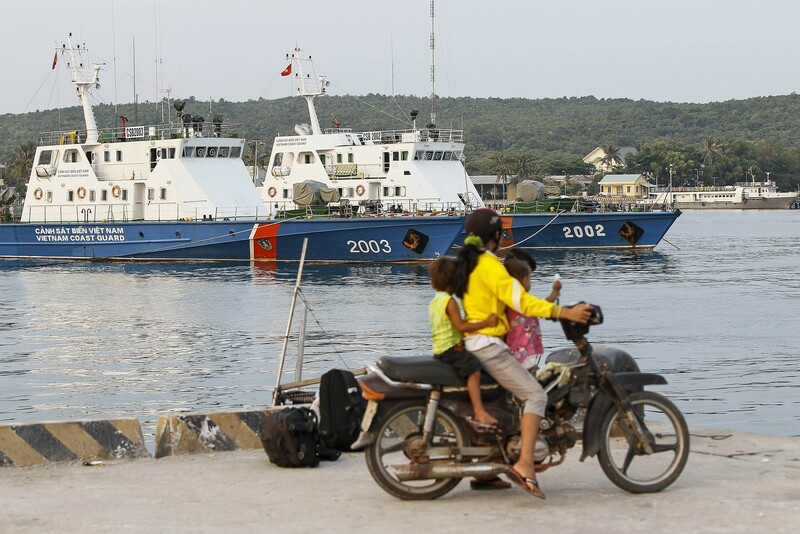 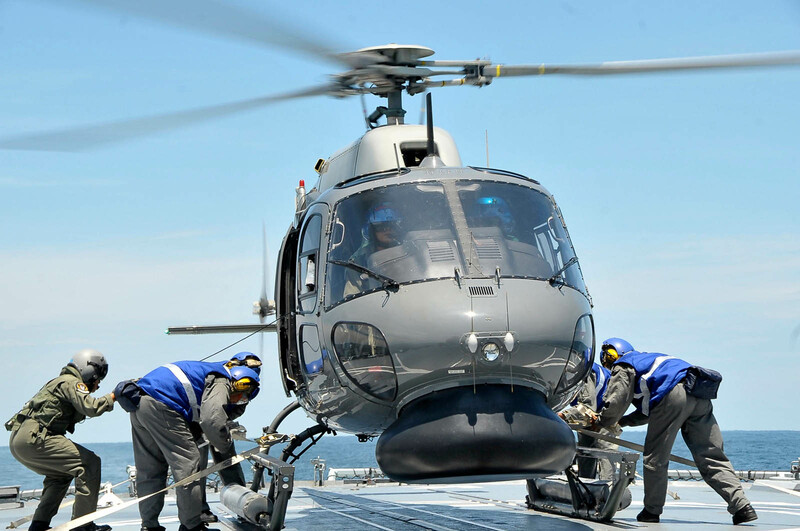 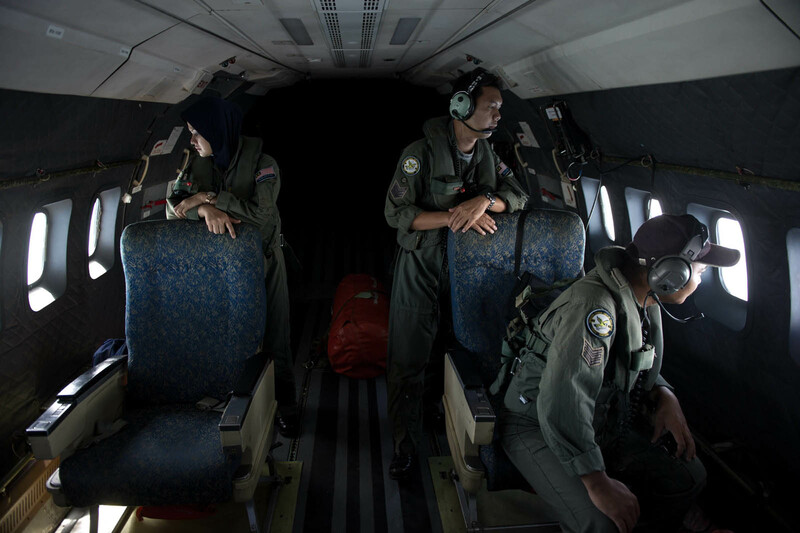 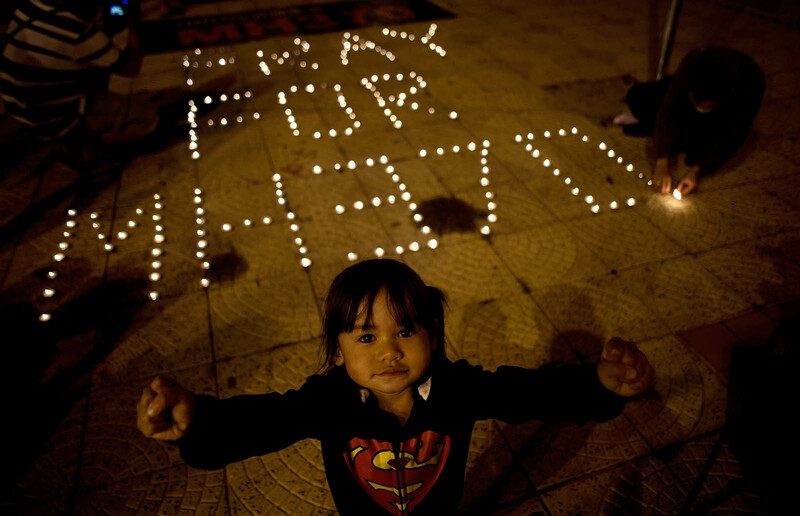 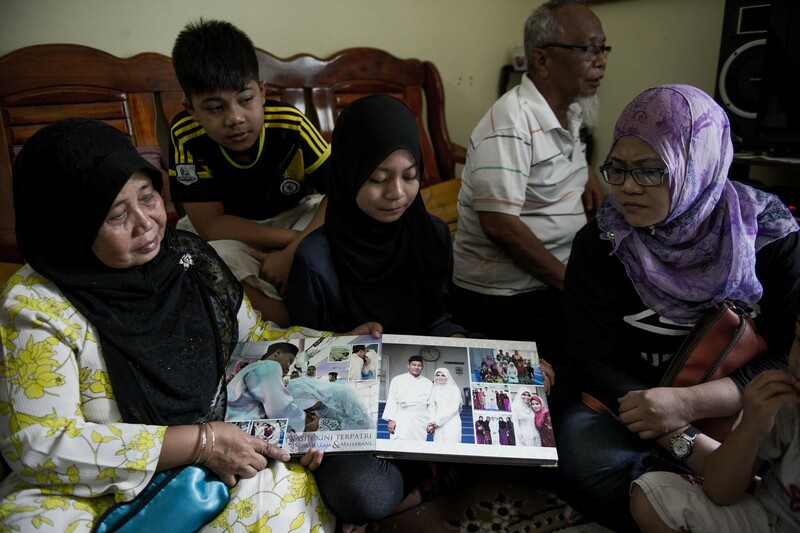 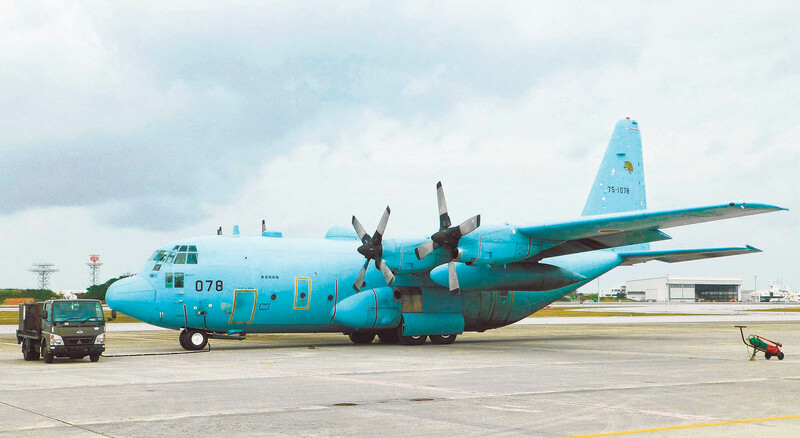 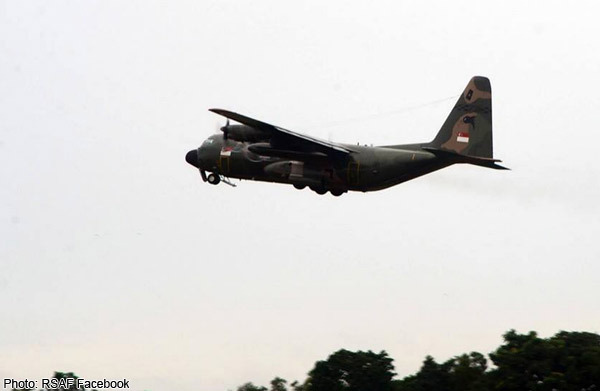 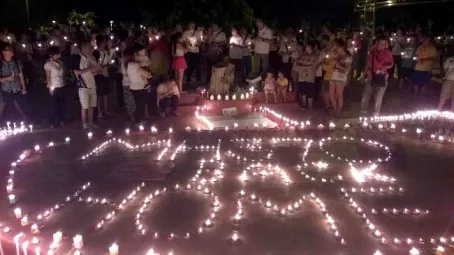 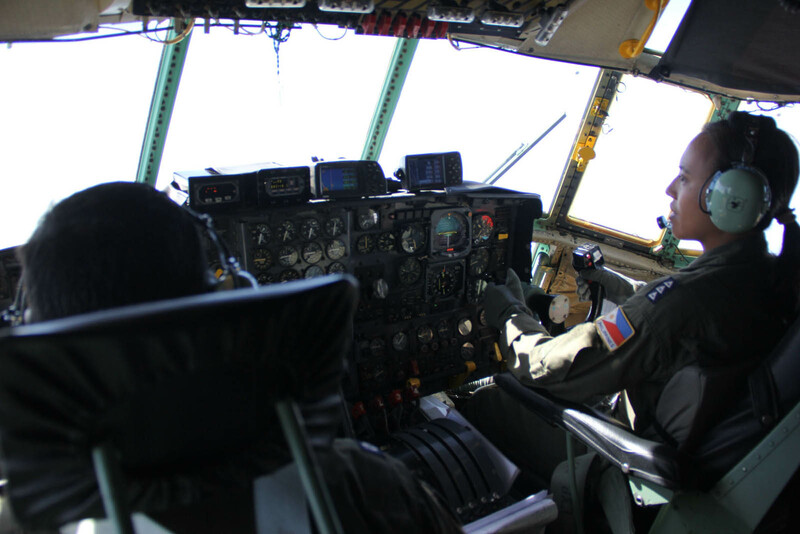 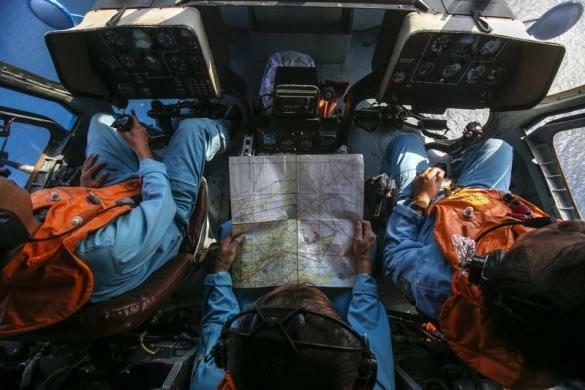 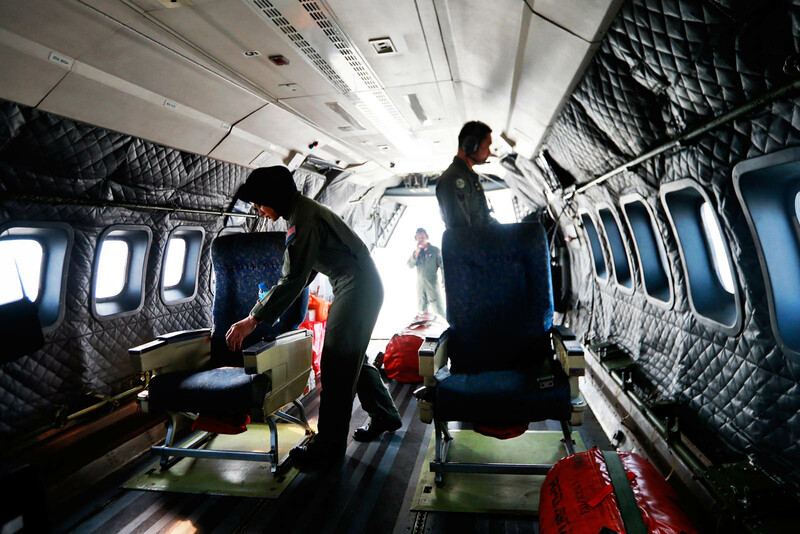 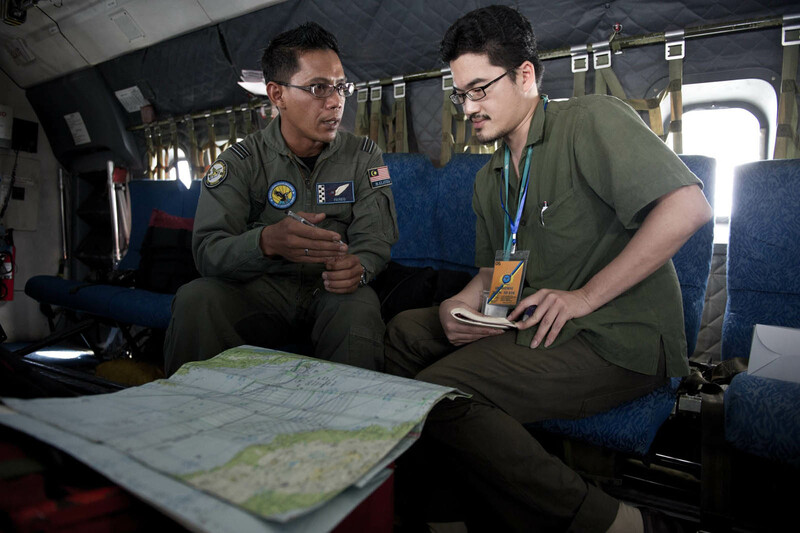 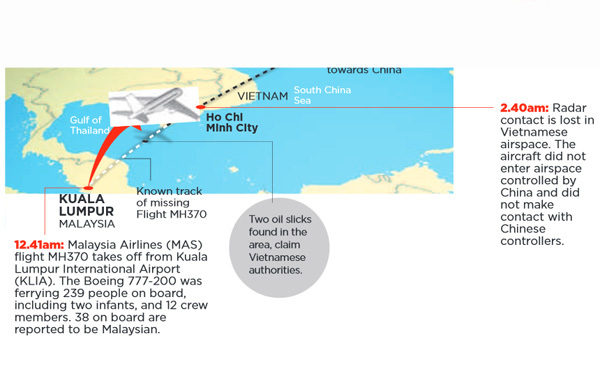 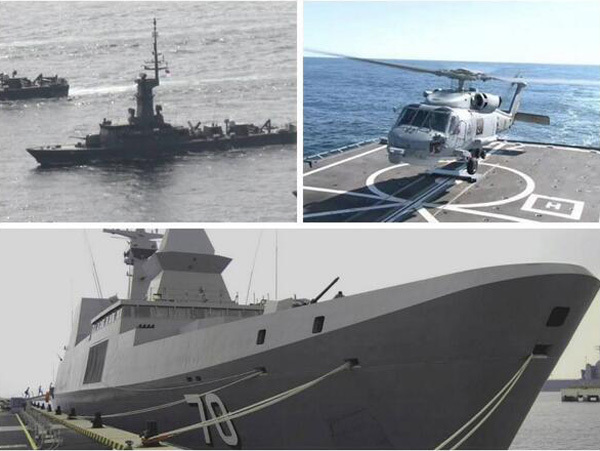 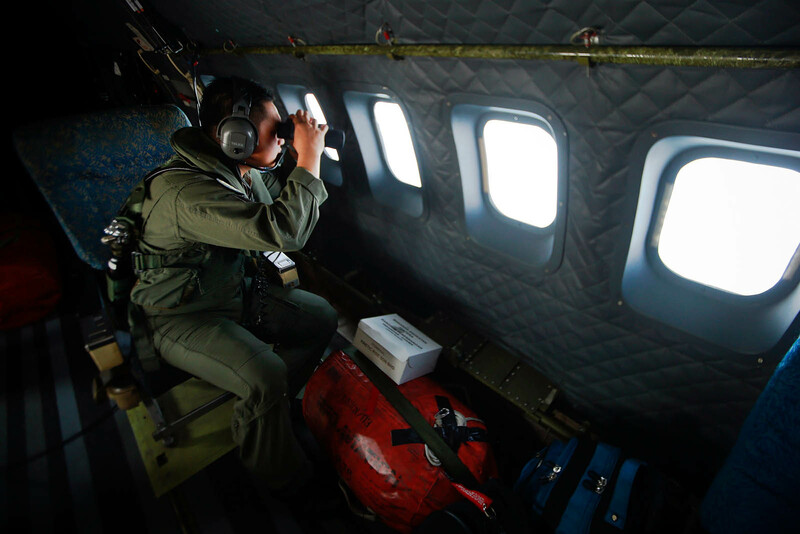 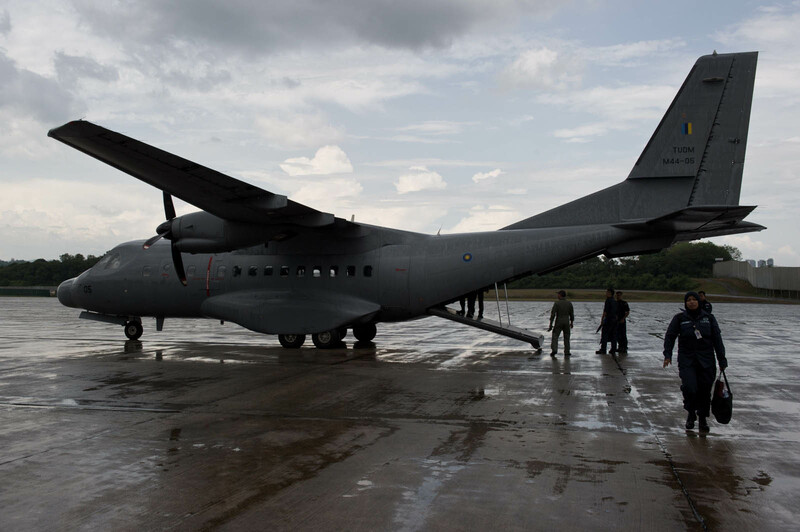 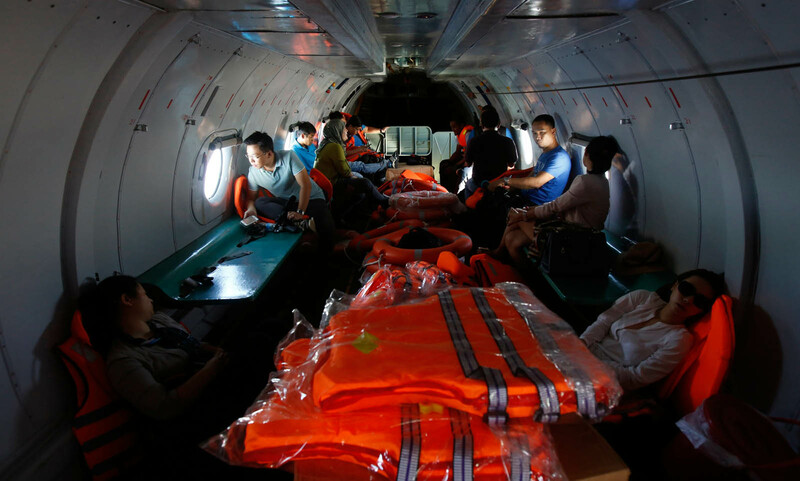 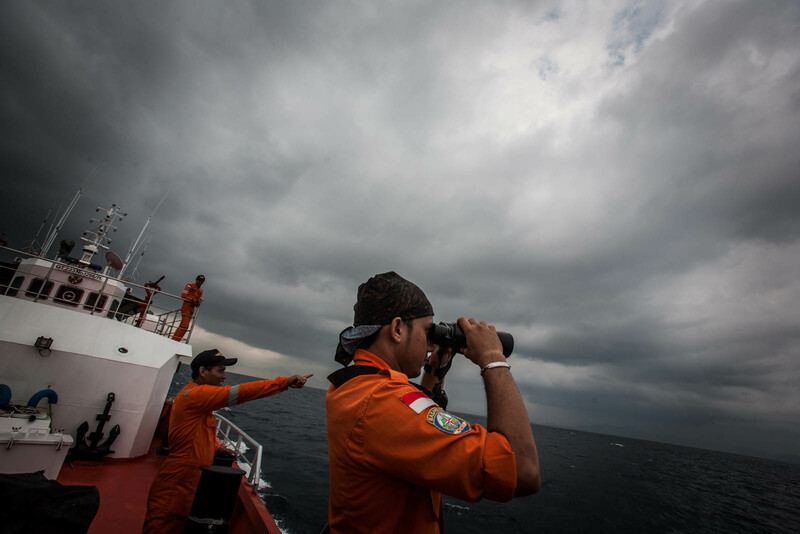 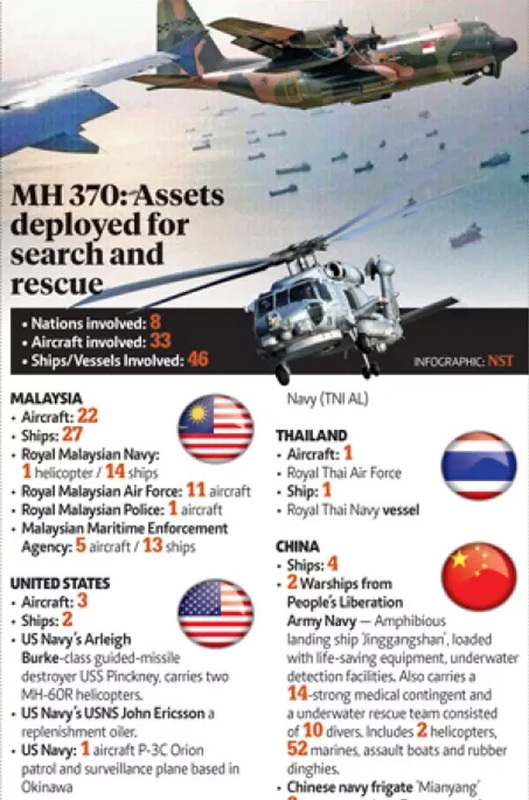 Hishammuddin said Malaysia would spare no effort and expense to find the missing aircraft, and had intensified its search and rescue operations. 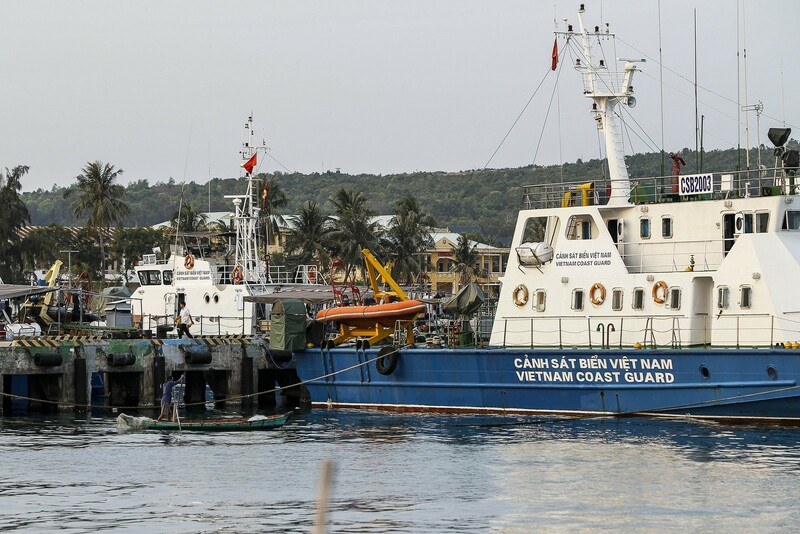 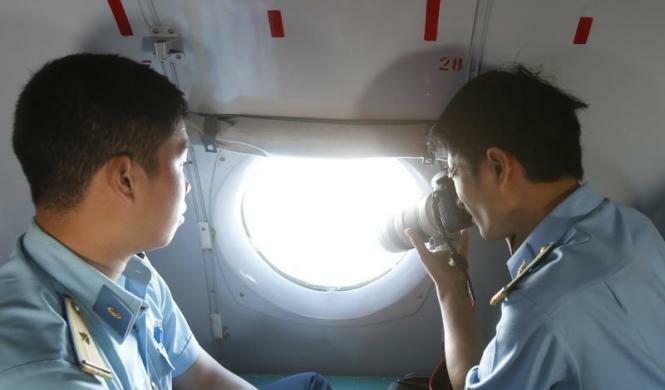 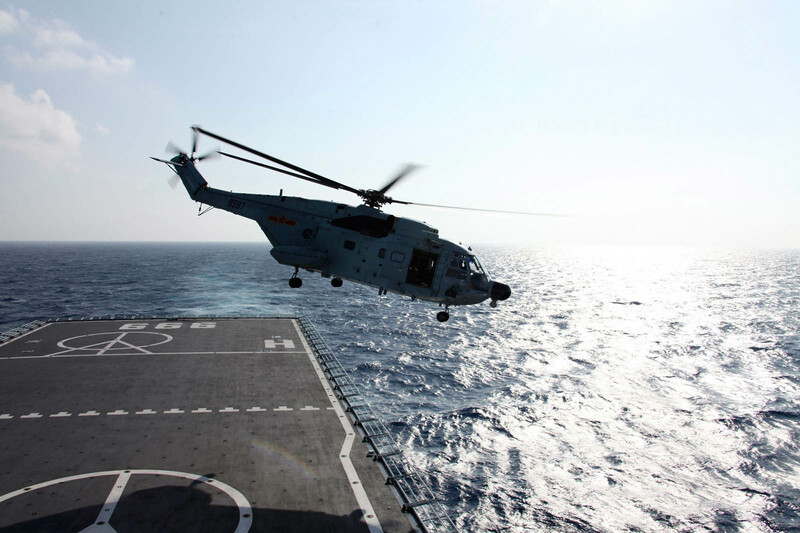 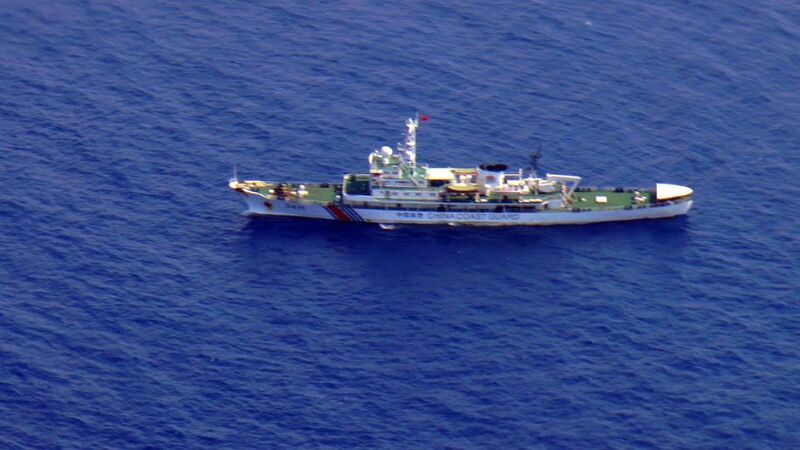 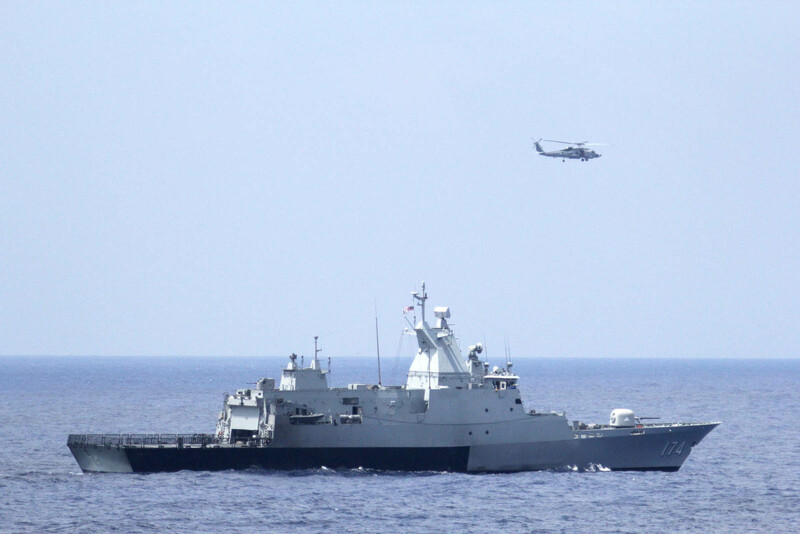 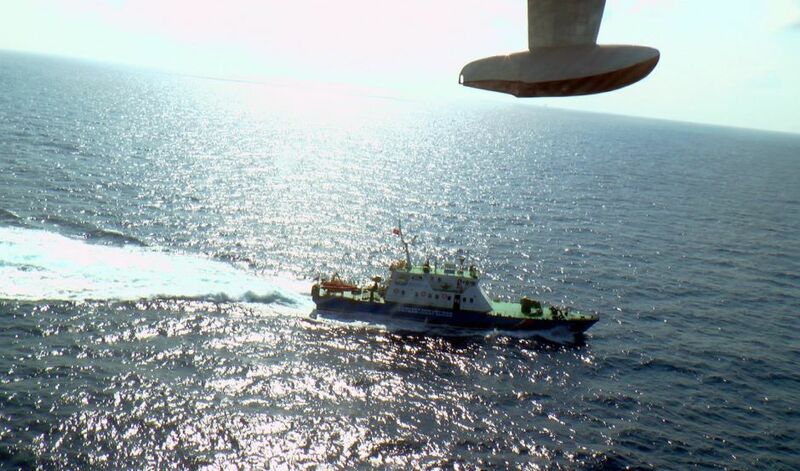 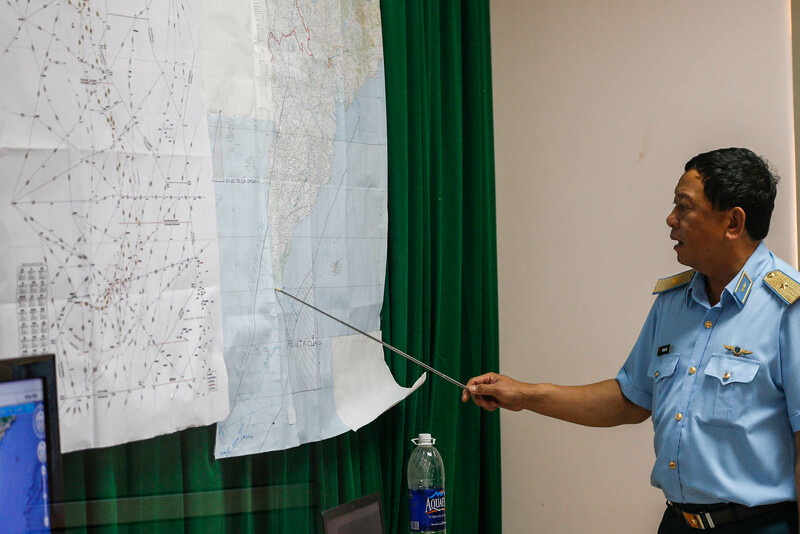 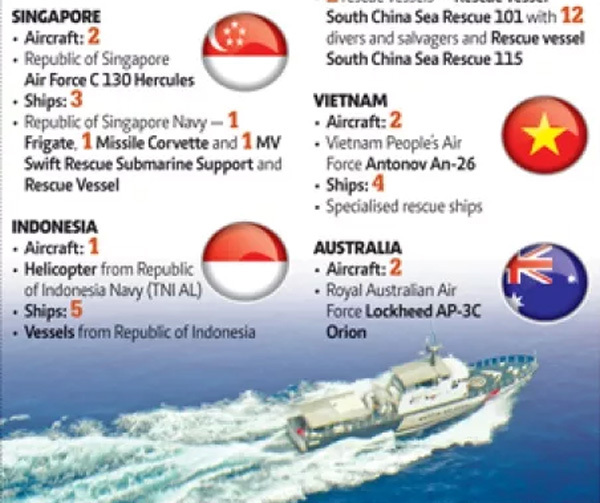 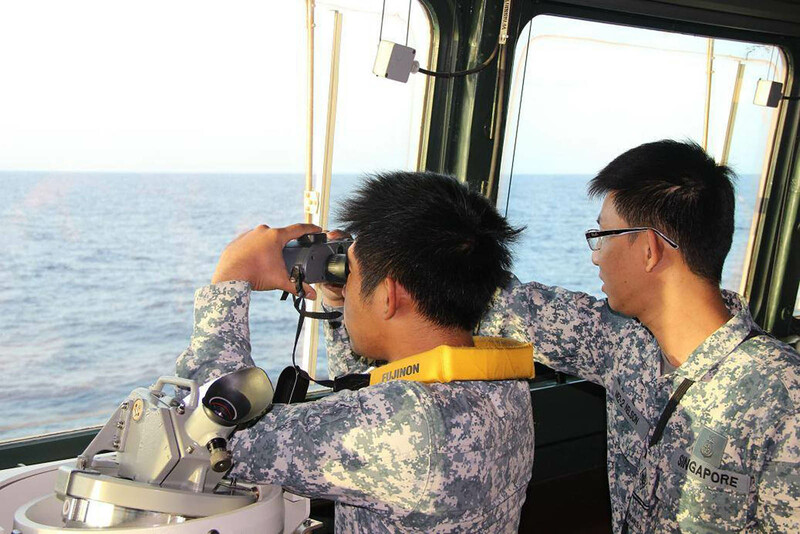 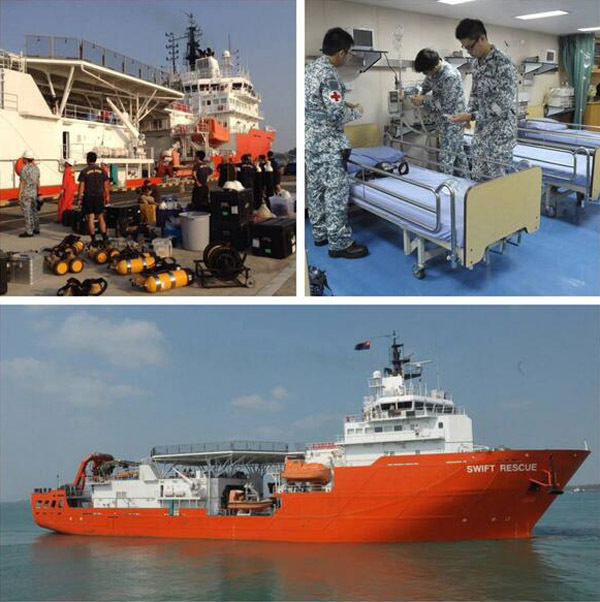 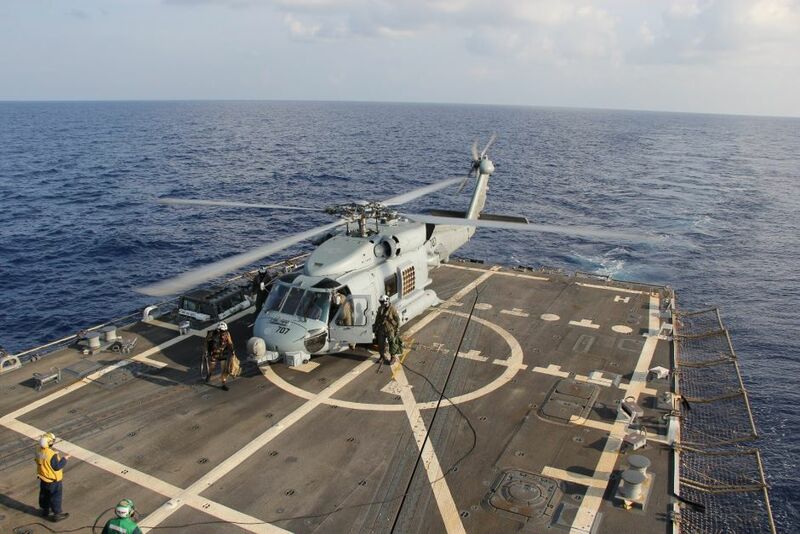 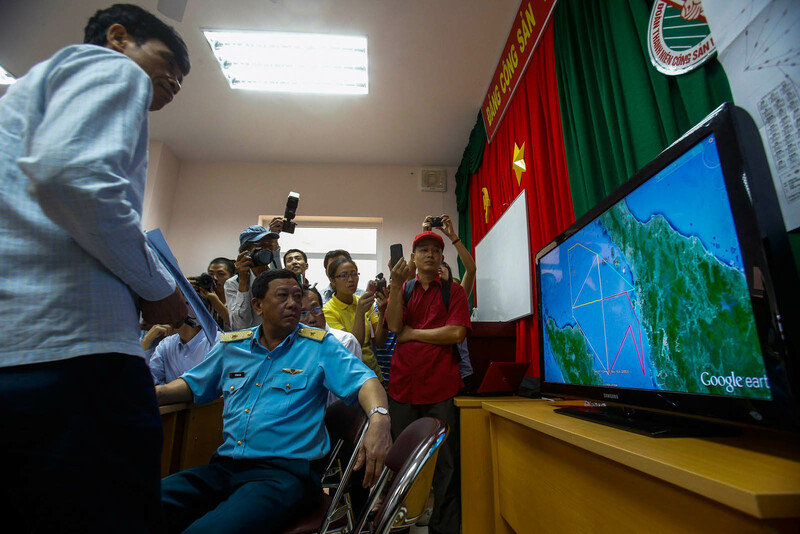 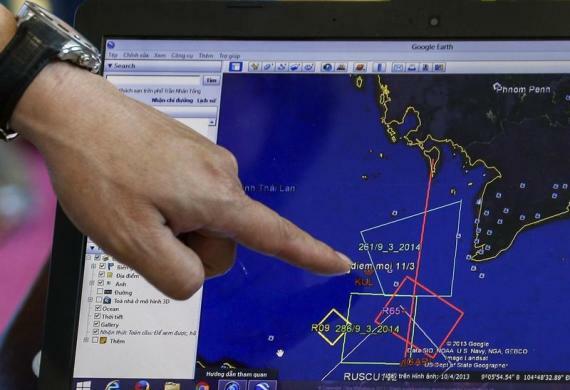 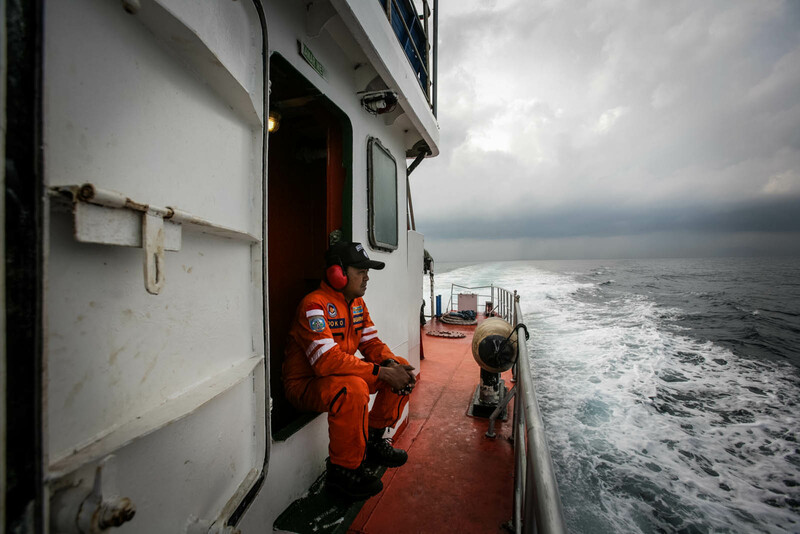 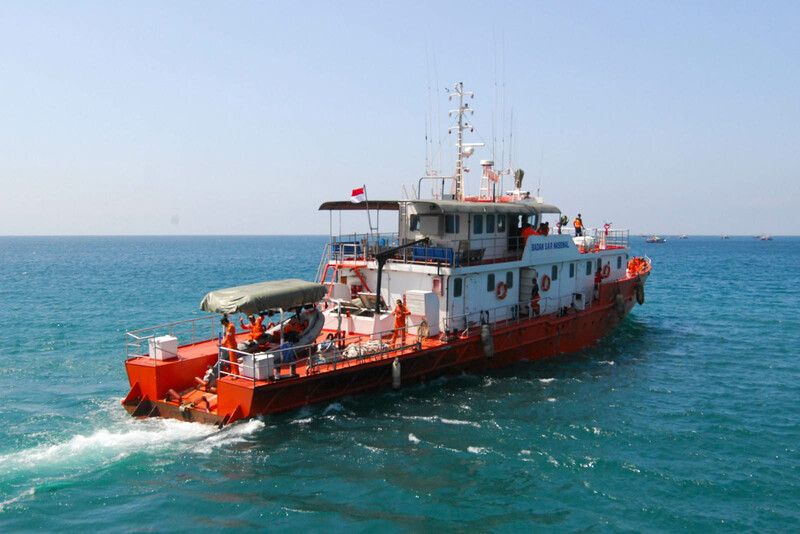 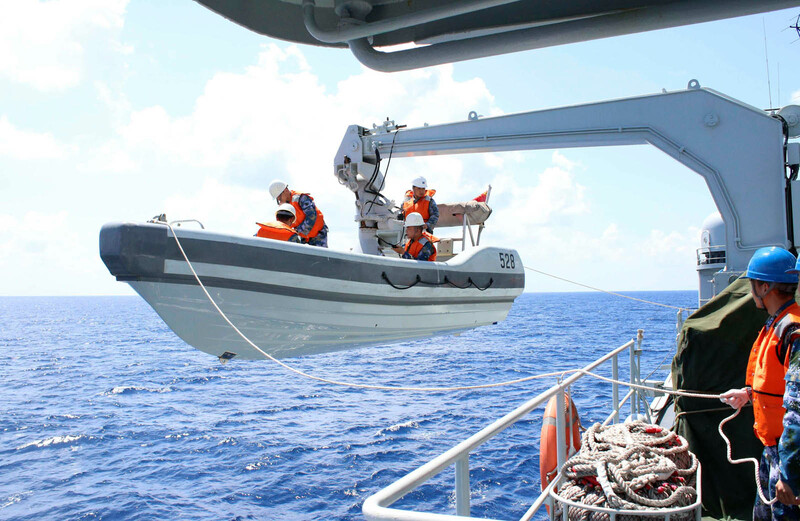 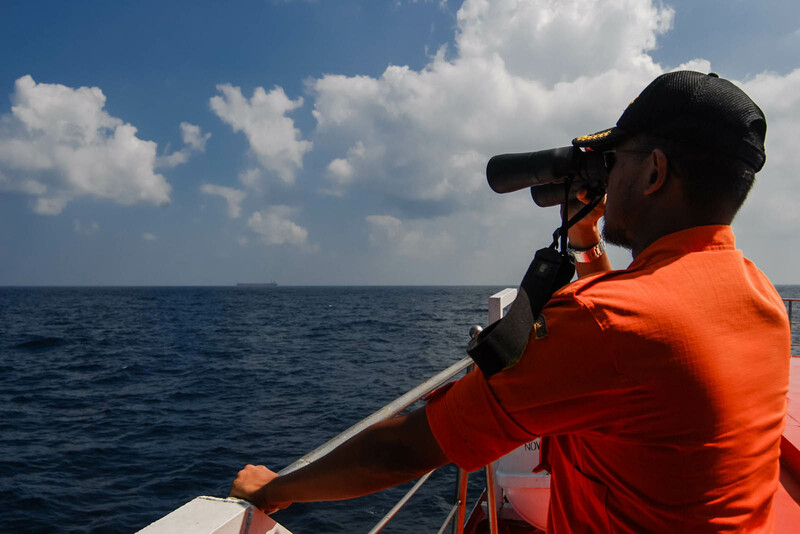 He said there were 43 ships and 40 aircraft conducting the search now, with 26 ships and 25 aircraft in the South China Sea and the rest in the Straits of Malacca. 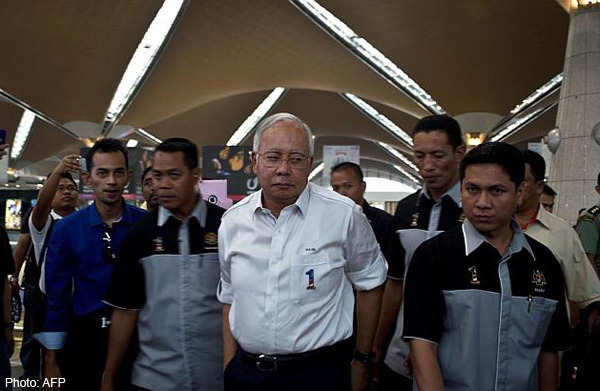 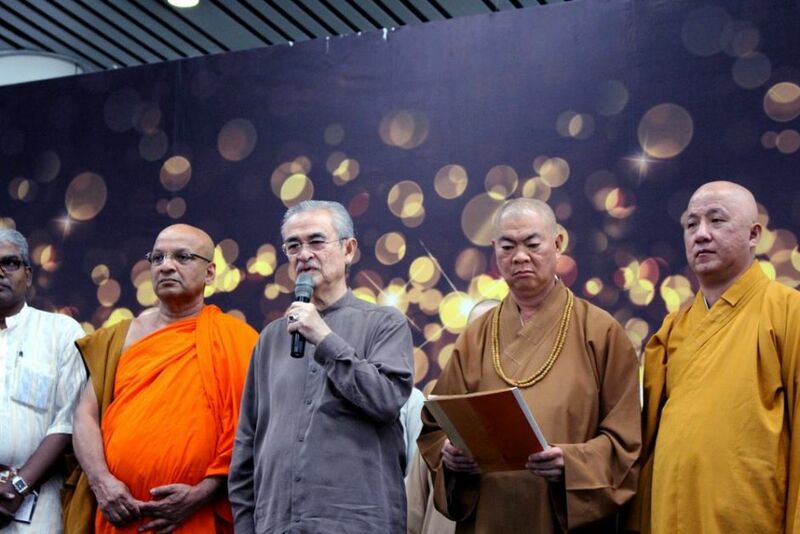 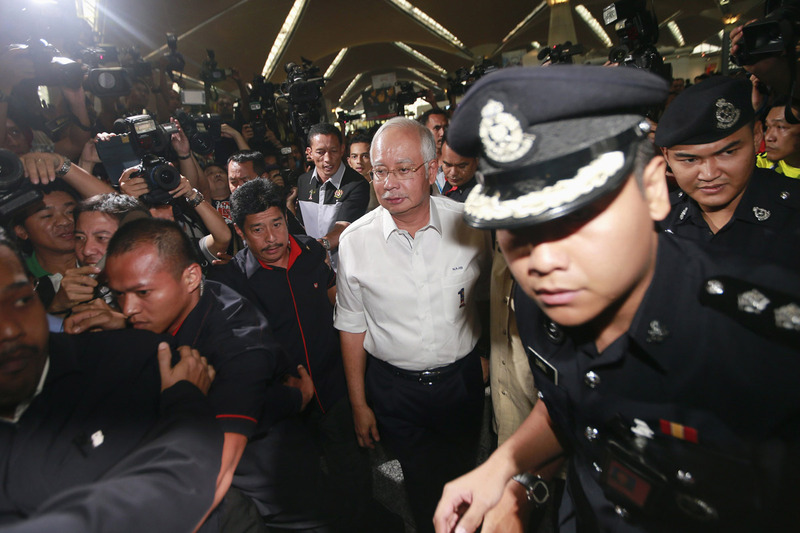 Malaysia, he said, was grateful for the assistance of the other countries. 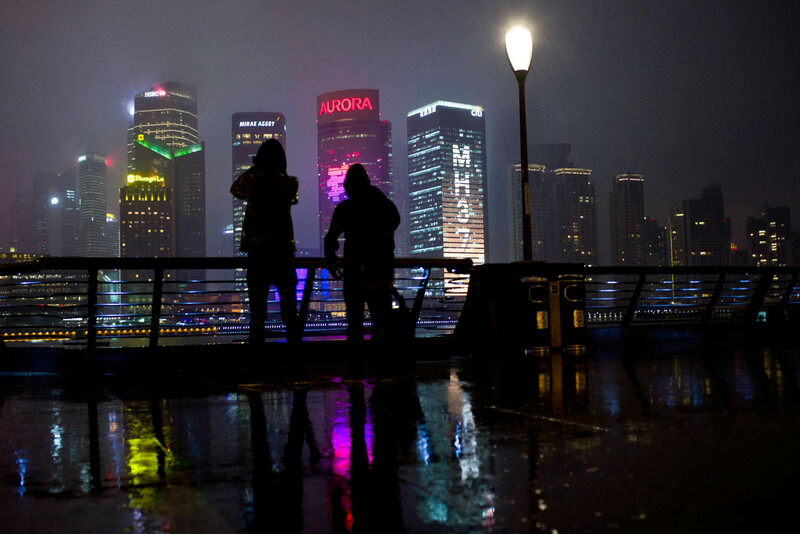 "With every passing day, the task becomes more difficult. 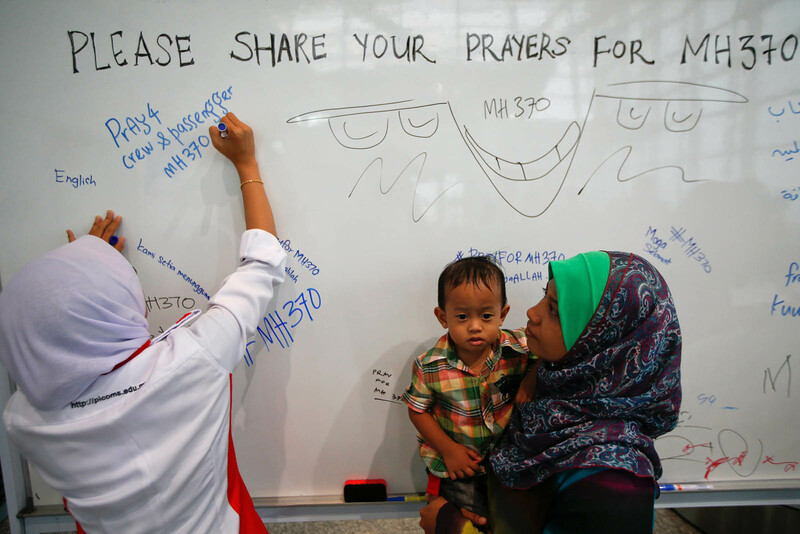 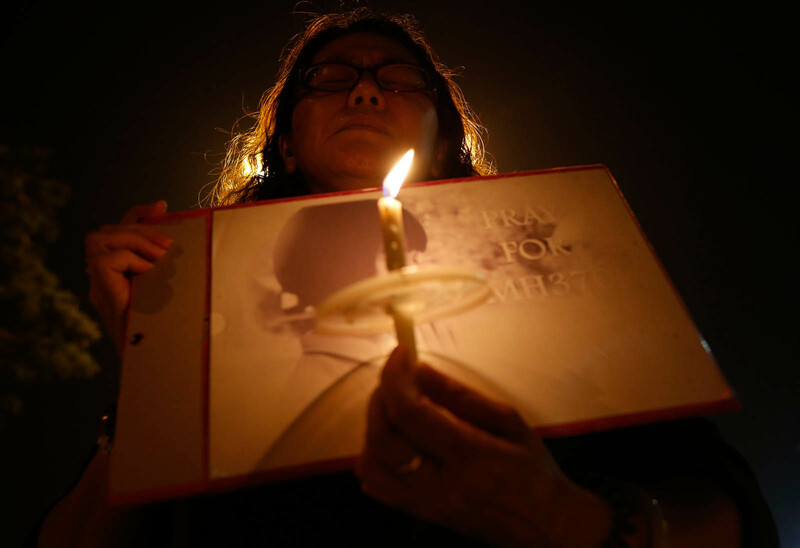 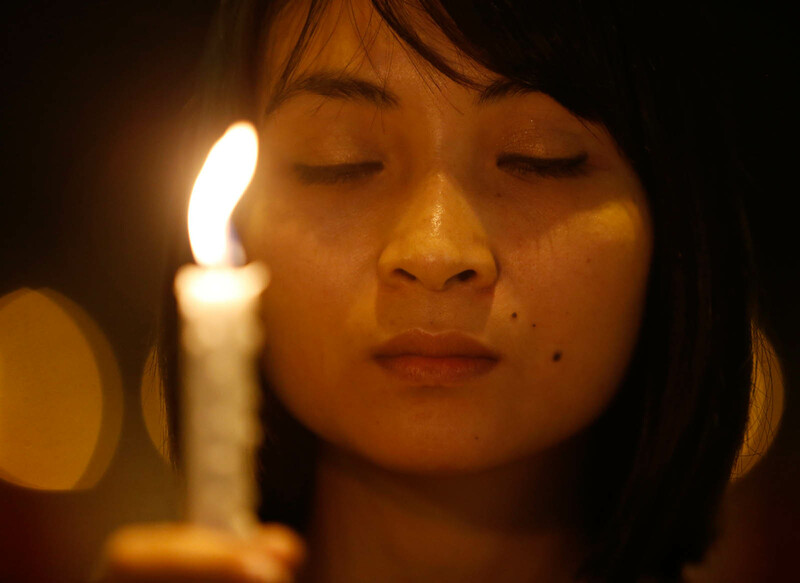 As always, our thoughts and prayers are with the families of those on the flight."